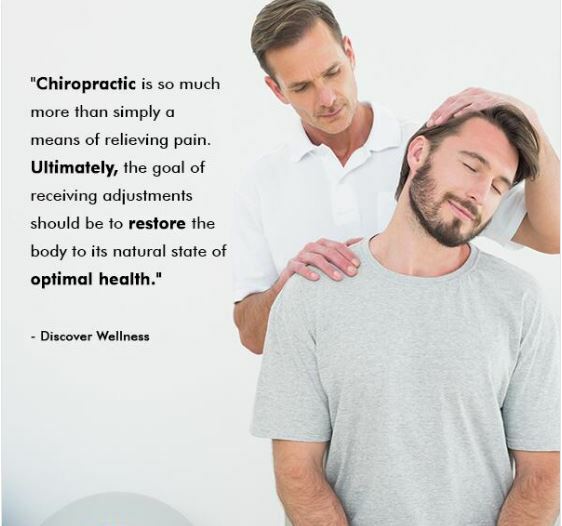 Chiropractic seeks to turn on the natural healing ability, not by adding something to the system, but by removing anything that might interfere with normal function.Call our Chiropractic office in Grapevine to schedule your appointment today! Stress causes an increase in both heart rate and blood pressure. 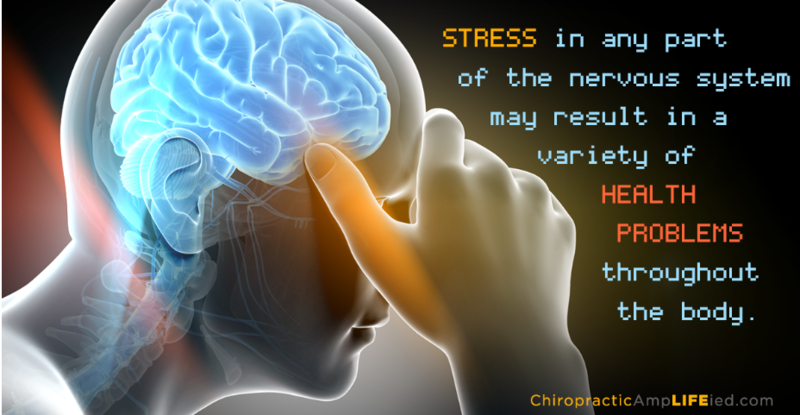 Chiropractic can reduce the stress on your nervous system. 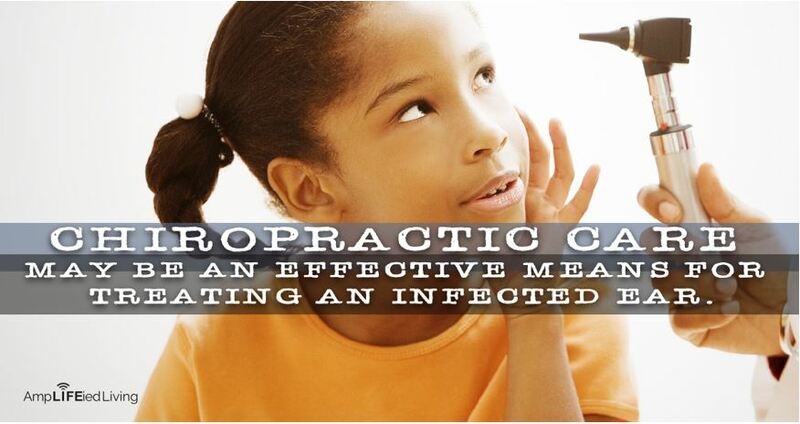 Chiropractic adjustments can improve middle ear drainage and decrease ear infections. 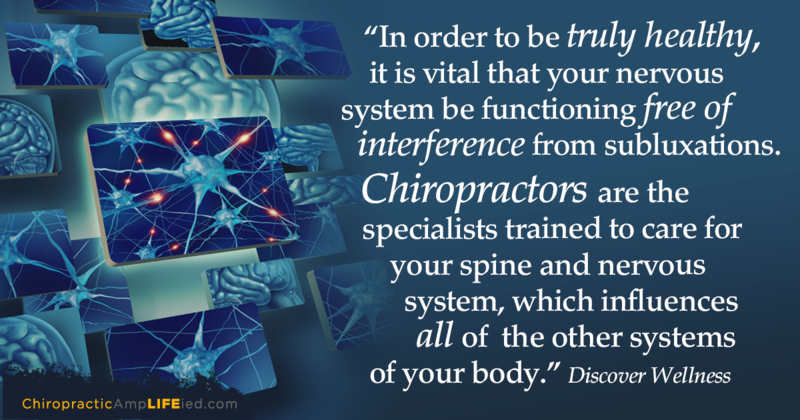 Chiropractic adjustments influence the system that runs all the other systems of your body. Call our Chiropractic office in Grapevine to schedule your appointment today! 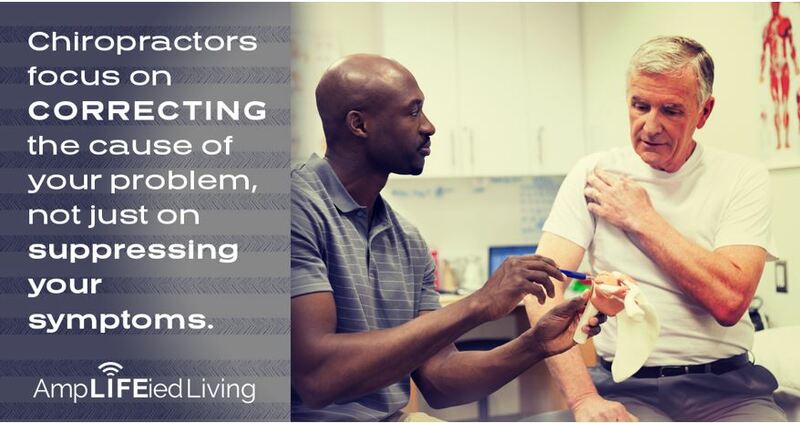 Chiropractors can use a variety of natural healing methods, including adjustments, massage, trigger point therapy, nutrition, exercise rehabilitation, and counseling on lifestyle issues that impact your health. 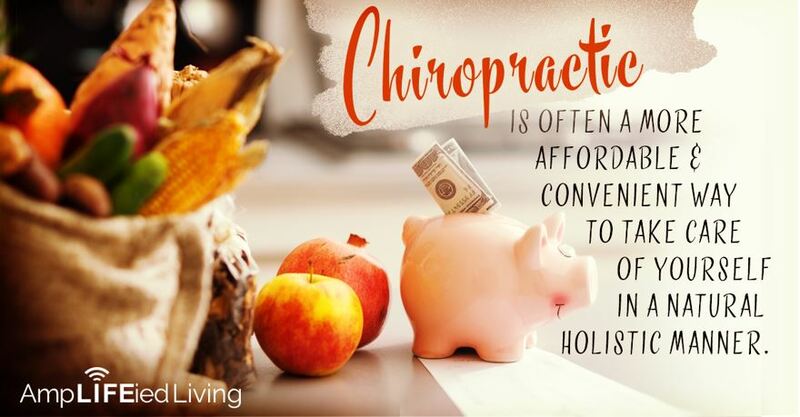 Call our Chiropractic office in Grapevine to schedule your appointment today! 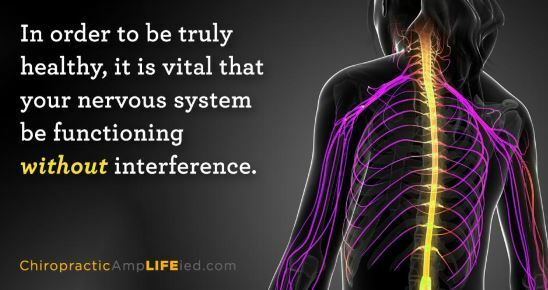 Whenever a misaligned spine compromises the nervous system, one of the first measurable changes that occurs in the body is a suppression of immune function. Call our Chiropractic office in Grapevine to schedule your appointment today! 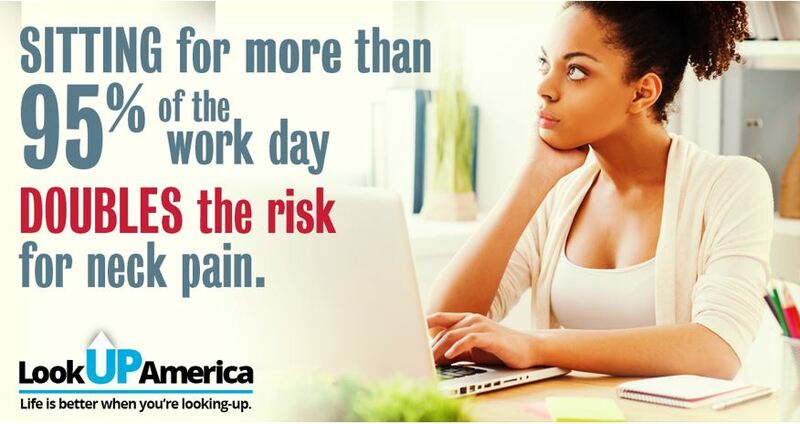 Sitting for long periods of time is very stressful for the low back. 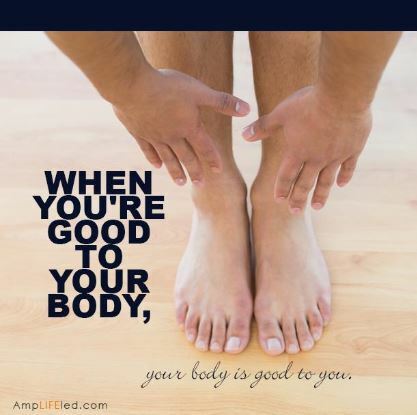 Your body has an innate intelligence that runs a series of complex systems that rely on proper balance and coordination in order to function correctly. 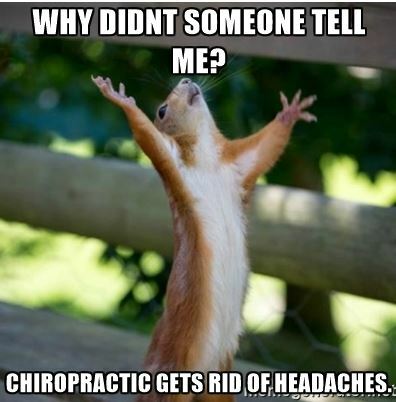 Call our Chiropractic office in Grapevine to schedule your appointment today! 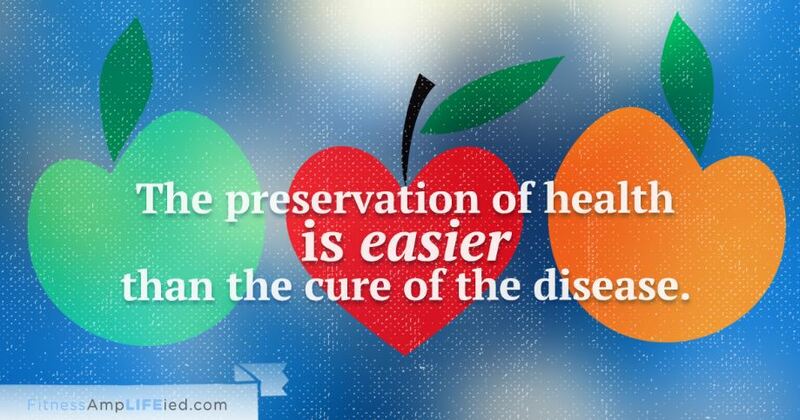 It is much better to prevent disease from happening in the first place than treating sickness once it happens. 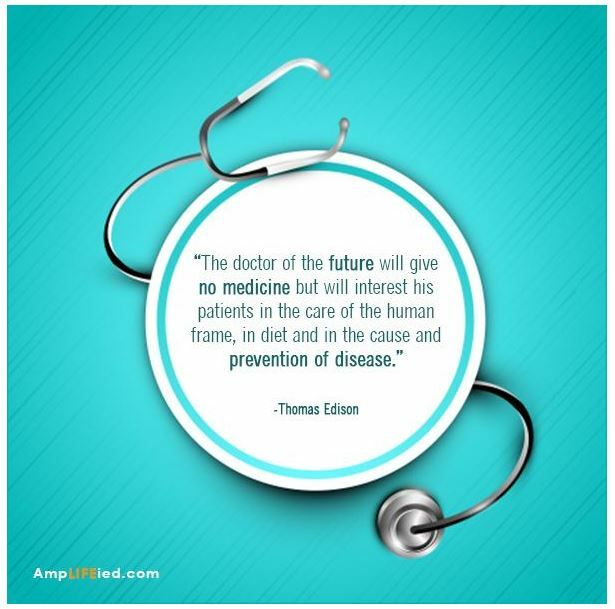 Acting now to promote better health and to prevent disease will pay dividends later in life. 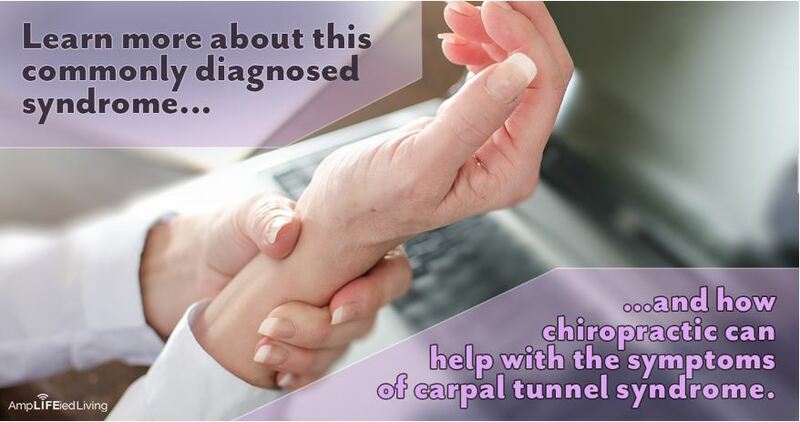 Call our Chiropractic office in Grapevine to schedule your appointment today! 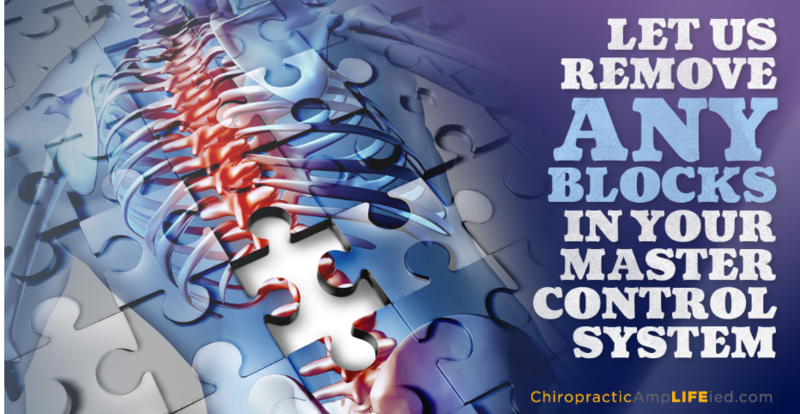 Chiropractic adjustments hep to re-establish normal vertebral motion and position in the spine. All other treatments only serve to decrease the symptoms of the problem and do not correct the problem itself. Call Lifetime Family Health Center in Grapevine to schedule your appointment today! 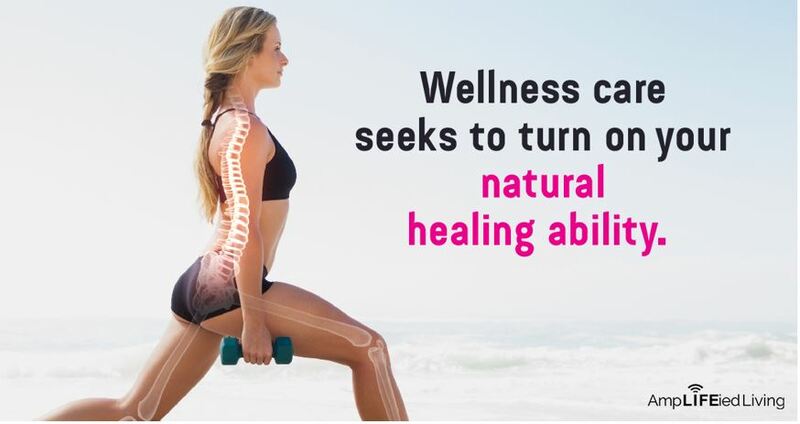 People are recognizing the benefit of seeking a wellness chiropractor who will help them achieve and maintain optimal health proactively. Call Lifetime Family Health Center in Grapevine to schedule your appointment today! Are your children living up to their full health potential? 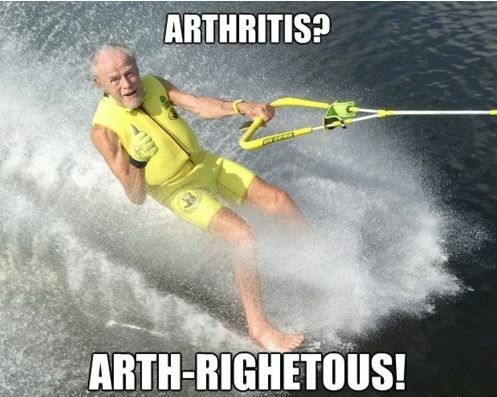 Have them checked for subluxations. Call Lifetime Family Health Center in Grapevine to schedule your appointment today! 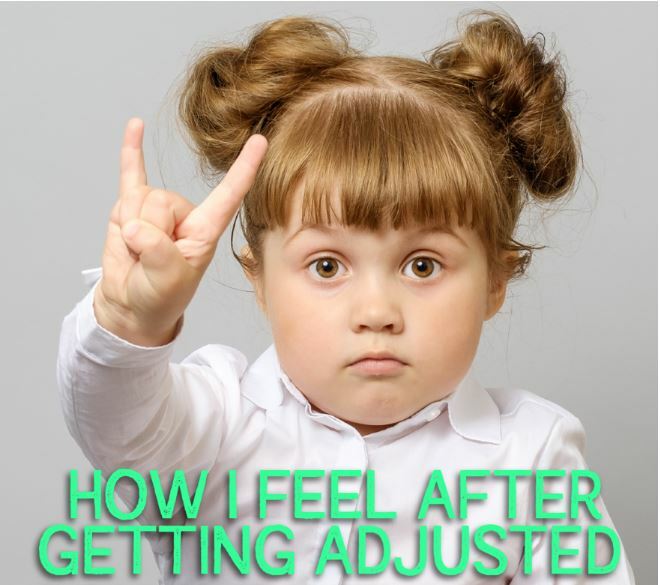 There's nothing like the feeling you get after a chiropractic adjustment. 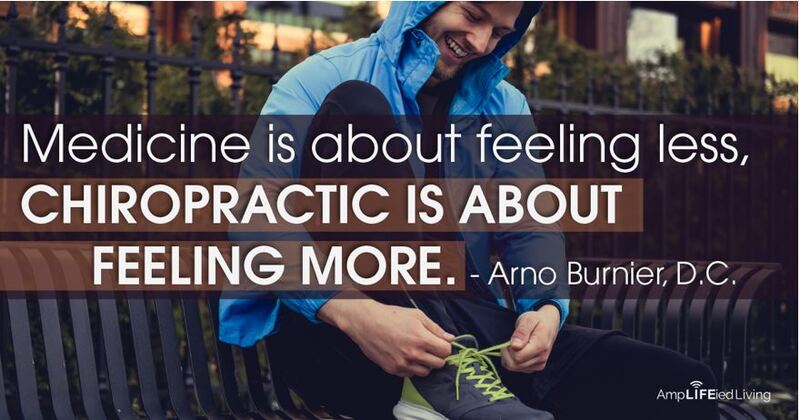 Routine chiropractic care can help you feel better, move with more freedom, and stay healthier throughout your lifetime. Call Lifetime Family Health Center in Grapevine to schedule your appointment today! 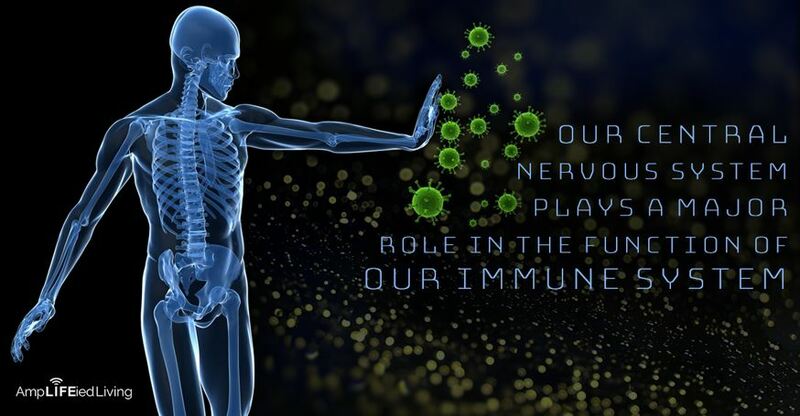 Believe it or not, our central nervous system plays a major role in the function of our immune system. Call Lifetime Family Health Center in Grapevine to schedule your appointment today! 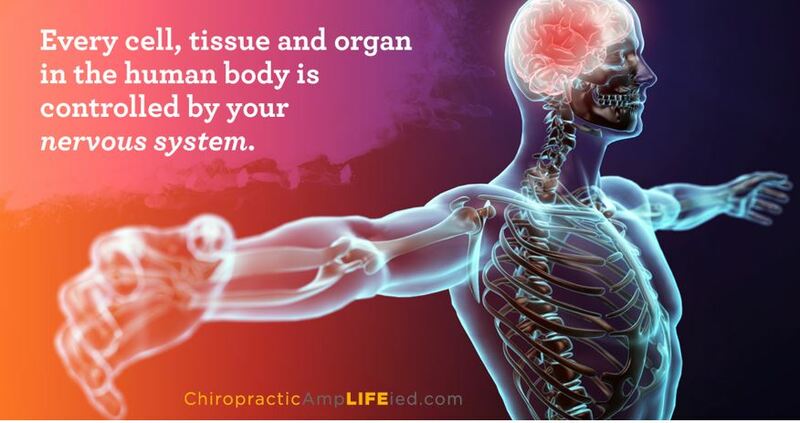 Your brain and nervous system control every other system in your body. 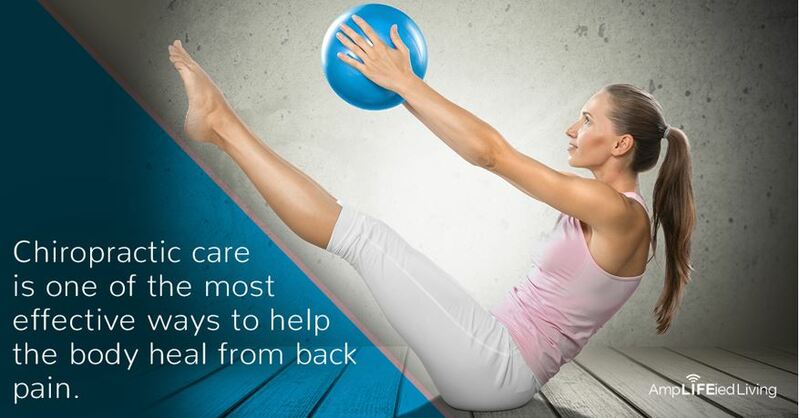 Keep it in tip top shape with regular chiropractic care. Pain is a signal from your body that something isn't right. Don't mask the pain. 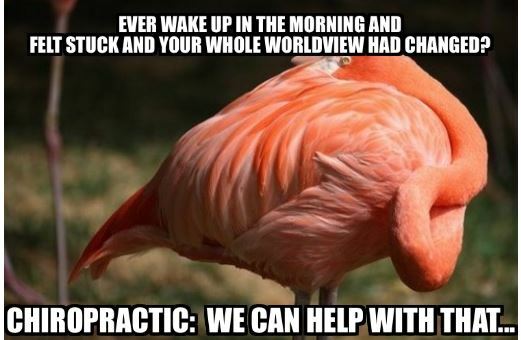 Chiropractic seeks to adjust the cause. Call Lifetime Family Health Center in Grapevine to schedule your appointment today! 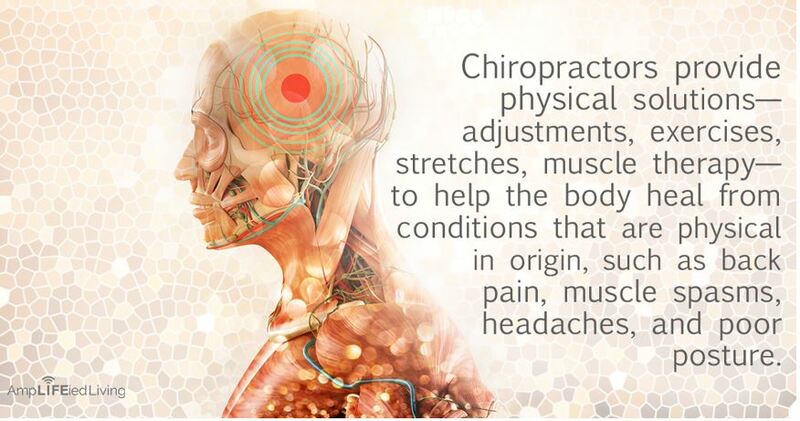 Chiropractic isn't just for neck and back pain. 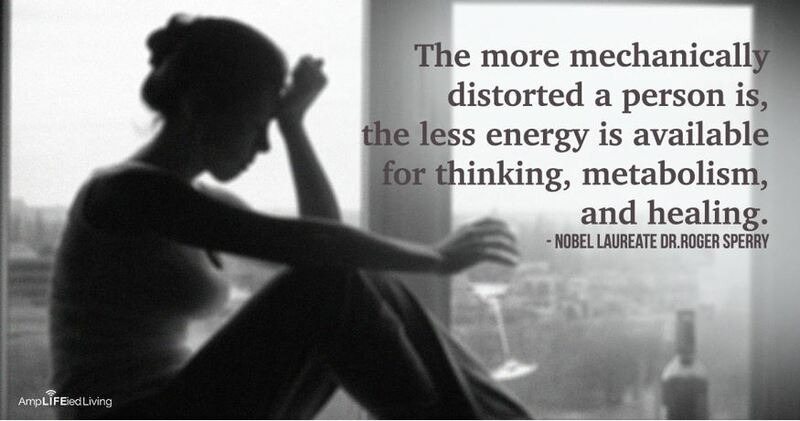 It can actually increase your energy levels. 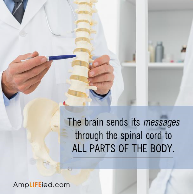 Every message from your brain is sent through the nervous system via your spine. We can remove the blocks. 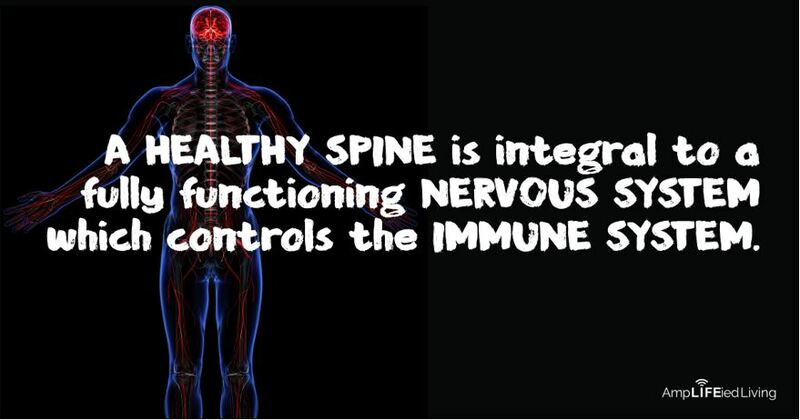 Your central nervous system plays a major role in the function of the immune system. 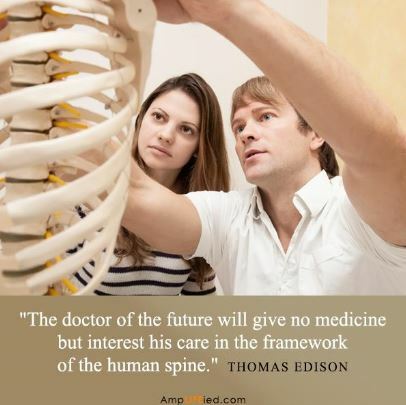 By specializing in the care of your spine, which includes knowledge of the bones, muscles, and spinal cord, chiropractors influence the system that runs all other systems of your body. 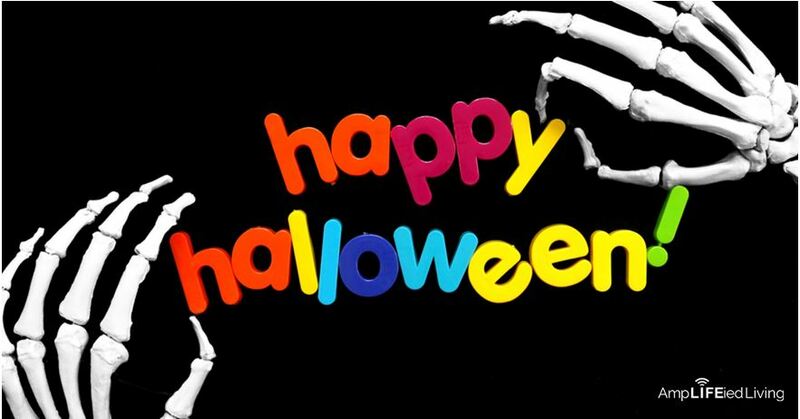 This Halloween, kick up your heels and rattle your bones. 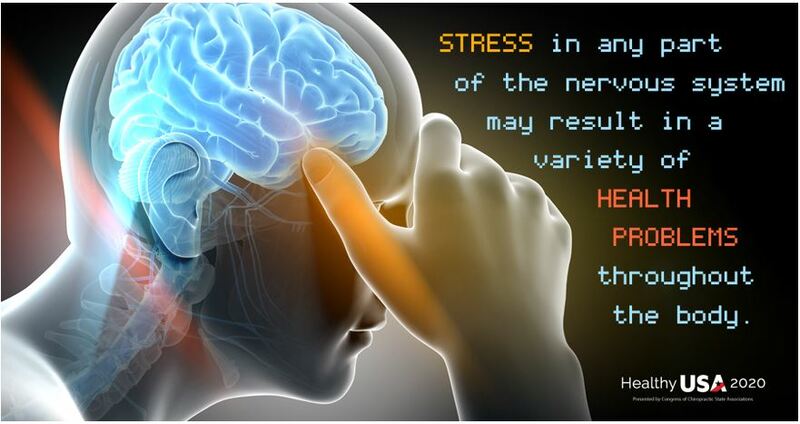 Stress in any part of the nervous system may result in a variety of health problems throughout the body. 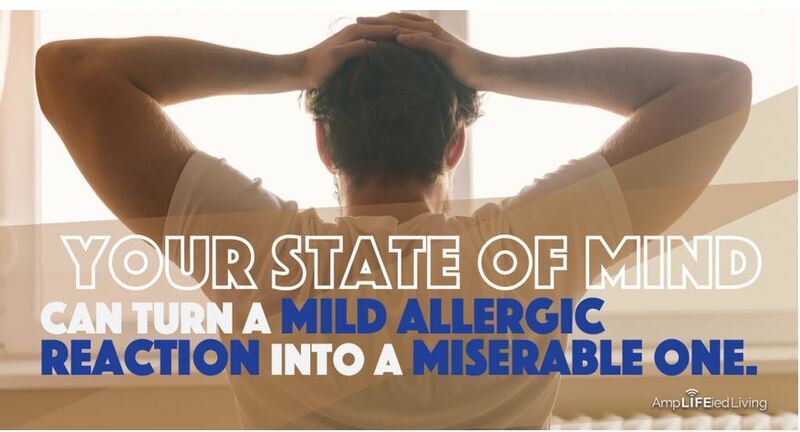 If you're experiencing seasonal allergies, get checked and get adjusted. 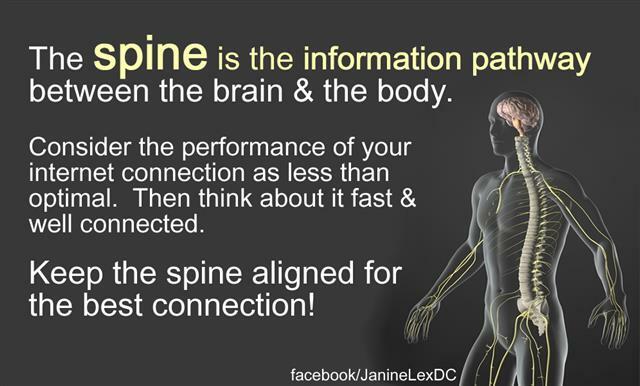 Don't let misalignments in your spine interfere with the messages your brain and body send to each other. 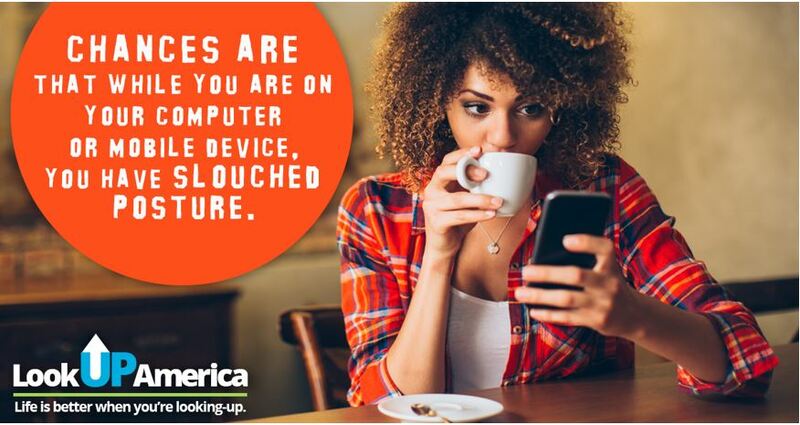 Get checked today. And that connection is the nervous system and spine. 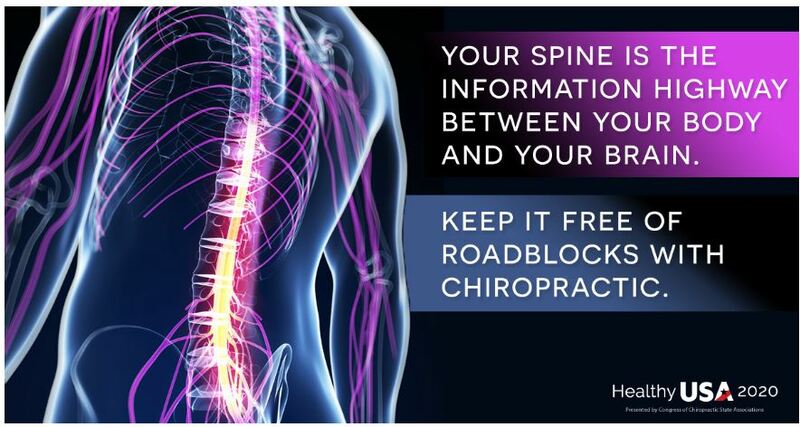 Keep it free of interference with chiropractic. 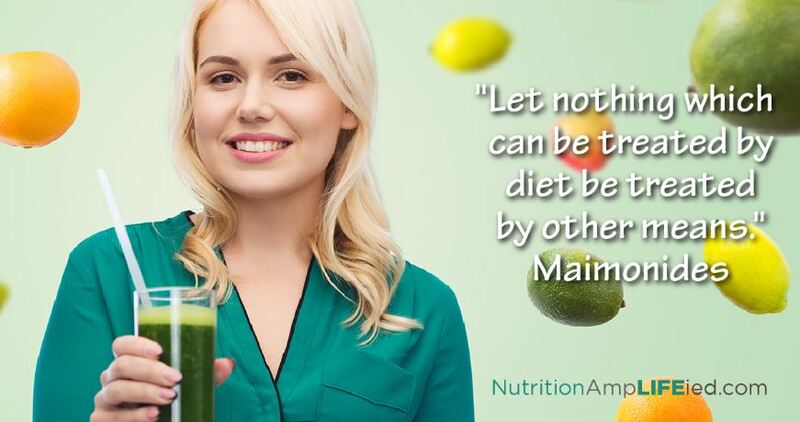 Your body has to go through a process in order to repair itself correctly and fully. 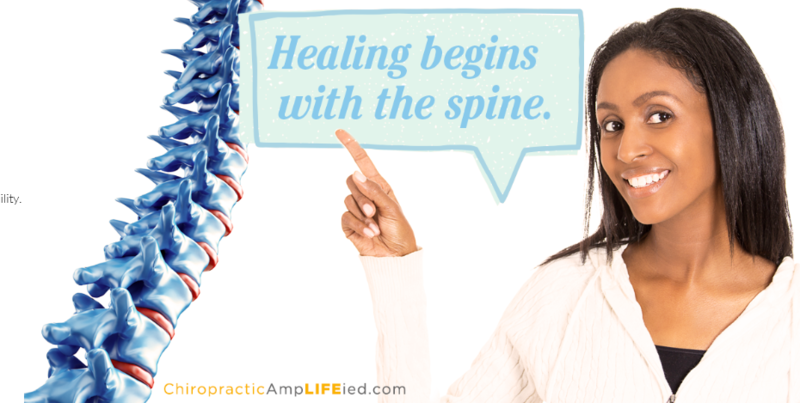 There are three general phases of chiropractic care: relief care, corrective/restorative care, and wellness care. Give it time to work. "All drugs in the world cannot adjust a subluxated vertebrae." B.J. Palmer, D.C., Ph.C. If you do a lot of driving, this may be the cause of your sore back. Medications may dull the symptoms of headaches, but that's only temporary. 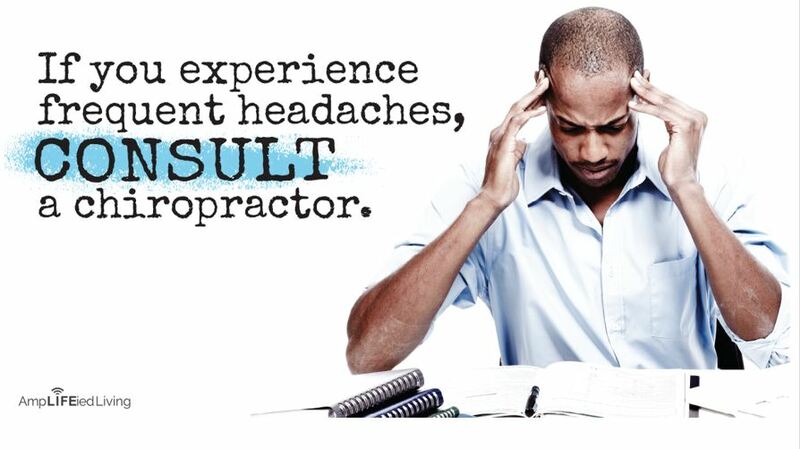 Chiropractic adjustments have been shown to reduce the frequency and severity of headaches, often after the first adjustment. 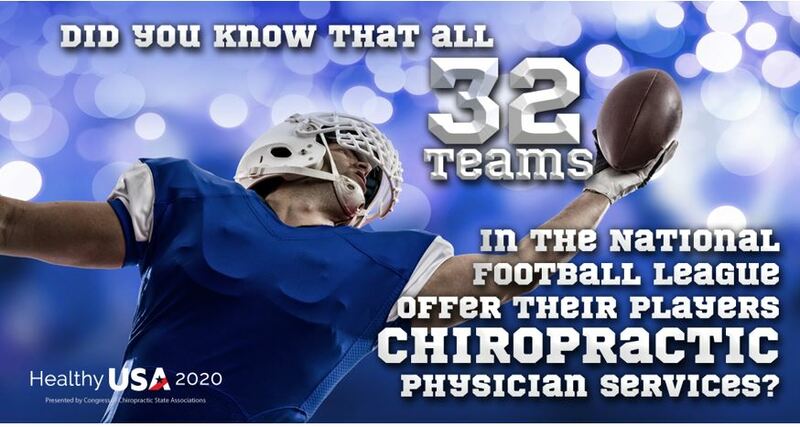 Seems the NFL thinks chiropractic is a super idea for their athletes! Exercise doesn't have to be complicated. Walking is one of the simplest ways to get your body moving and to break free from a sedentary lifestyle. 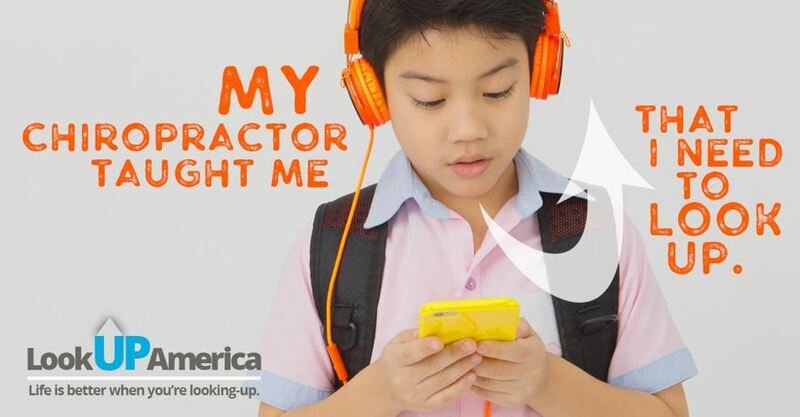 Overuse of technology with improper posture can lead to text neck. 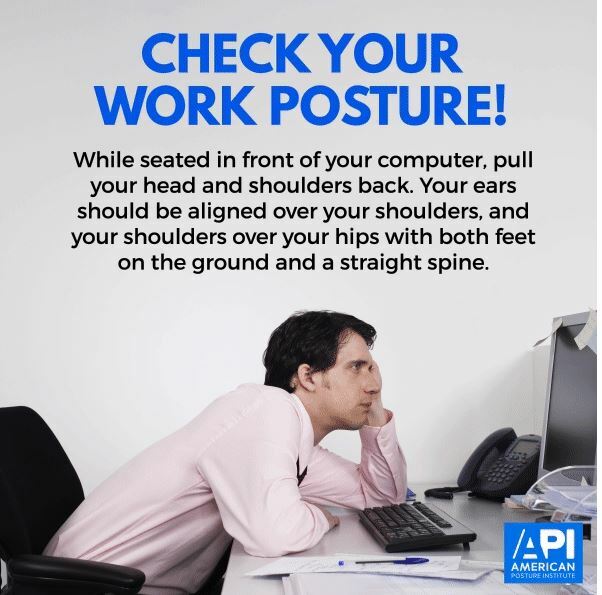 Take a moment now to check your posture. 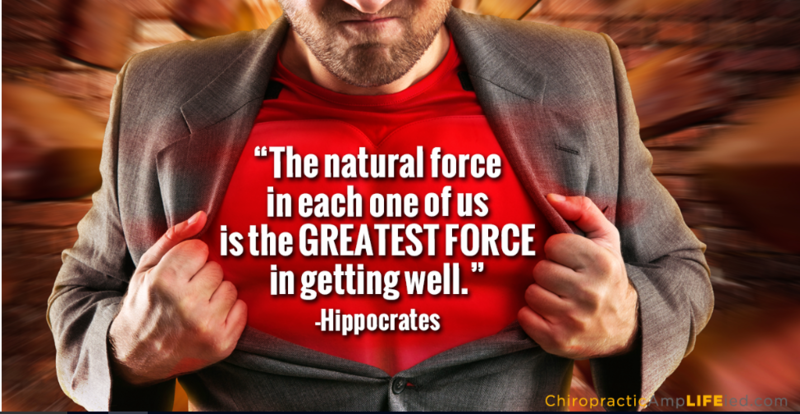 Power up with regular chiropractic care! 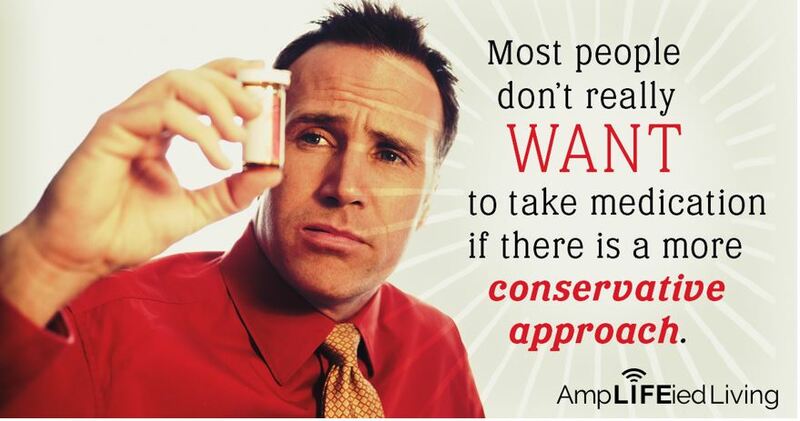 Most people don’t really want to take medication if there is a more conservative approach. 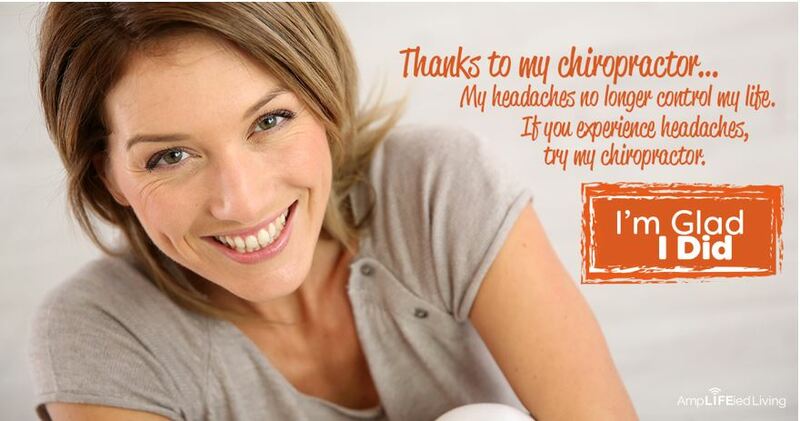 Try chiropractic first. 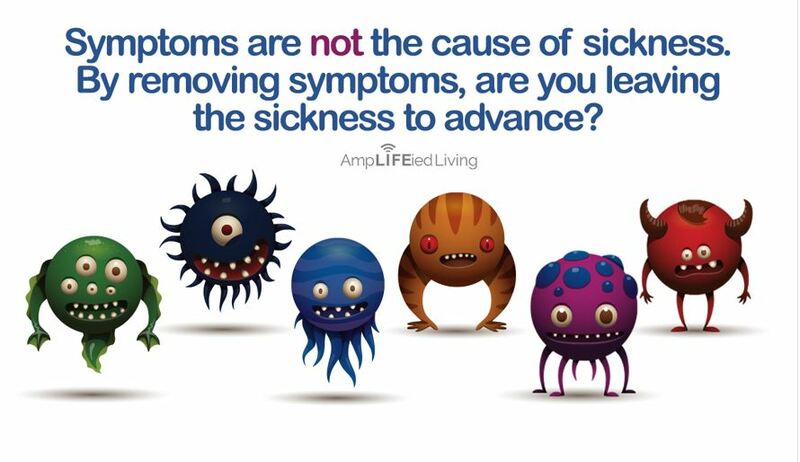 Don't treat symptoms. 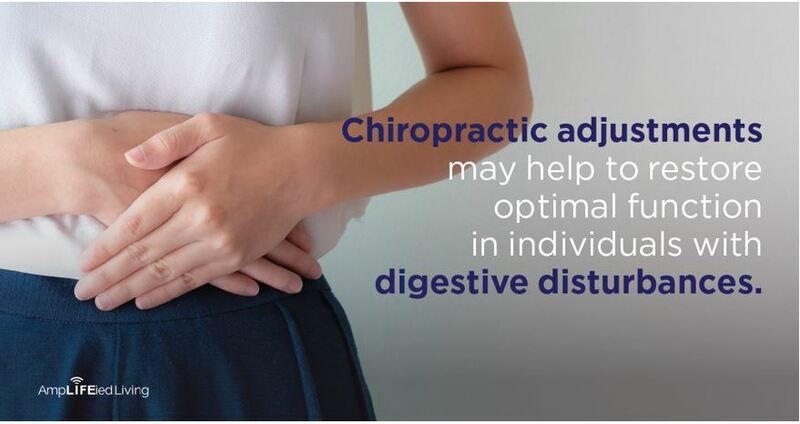 Chiropractic can get your digestive system working by focusing on the cause. Sitting on a half-inch wedge for hours at a time over a period of years is one of the most overlooked causes of spinal misalignments and spinal pain including back pain, neck pain, and even headaches. The official beginning of chiropractic is dated to 1895 when Daniel David Palmer discovered the benefits of manually adjusting the spine. 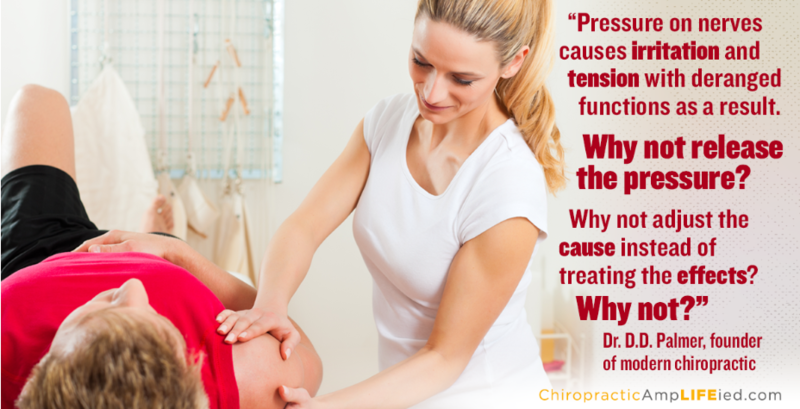 Chiropractors focus on correcting the cause of your problem, not just on suppressing your symptoms. If 90% of the world's best athletes are using chiropractic to help them reach optimal performance levels, shouldn't your athlete do the same? Sports chiropractic is proven to increase hand-eye coordination, mobility and balance, not to mention the benefits to your muscles and joints! 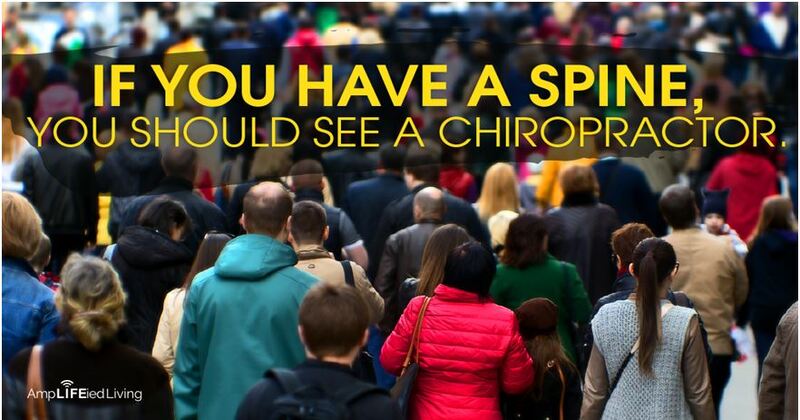 Do you know someone who needs chiropractic? Of course you do! 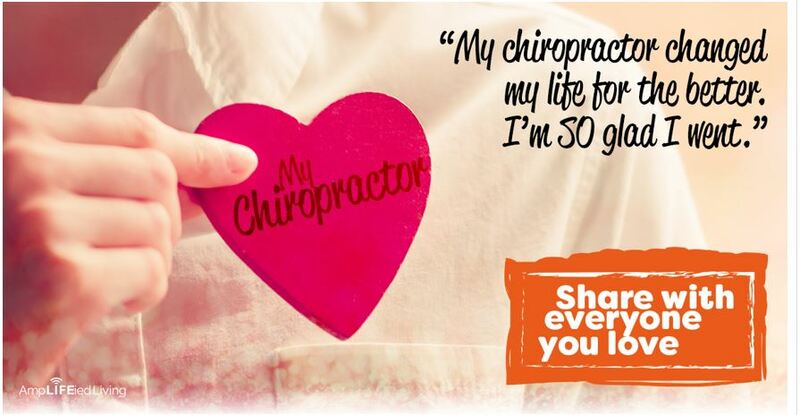 Share your chiropractic story and help your friends and family discover their full potential. The human body craves alignment. 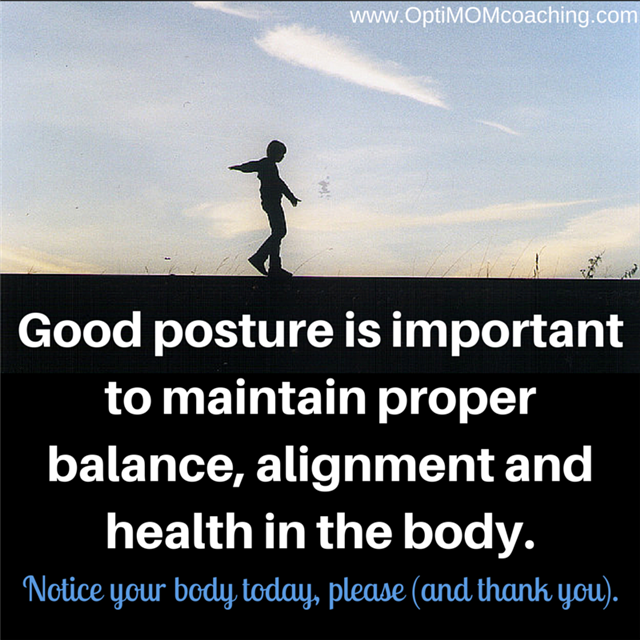 The big payoff with proper posture is that we feel healthier, have more energy, and move gracefully. 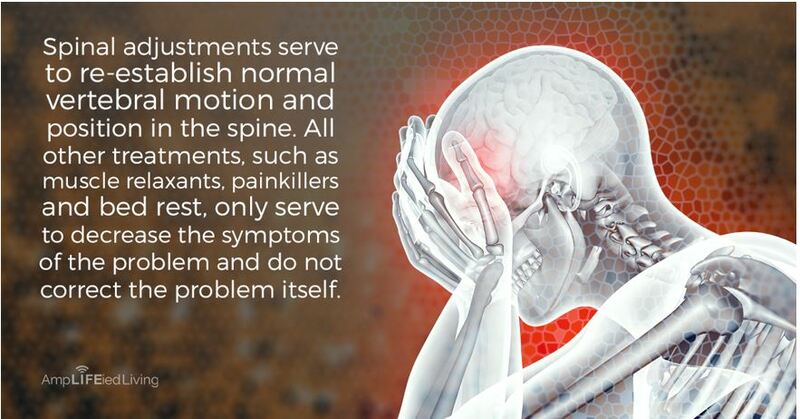 Subtle dislocations of the vertebrae, called subluxations, can lead to spinal degeneration and debilitating pain. 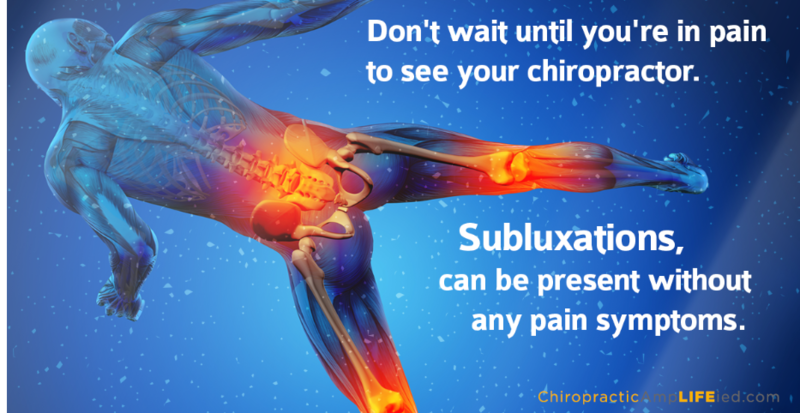 Fortunately, subluxations are easily managed by spinal adjustments, and often a significant reduction in pain is experienced almost immediately after care. 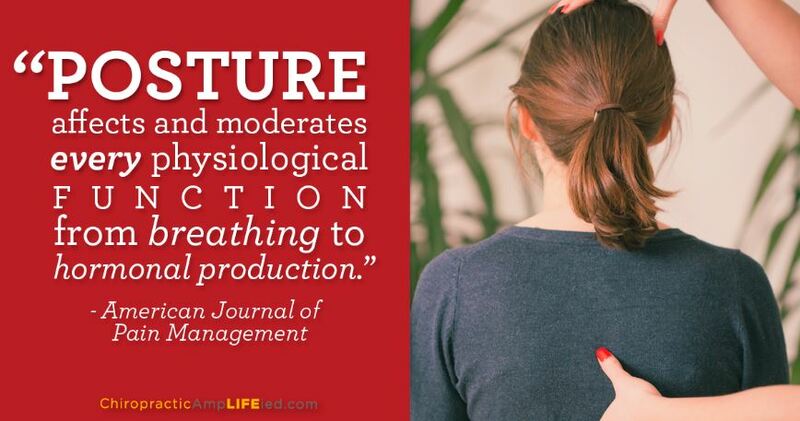 Restoring the natural curves of your spine with chiropractic helps to improve your posture and range of motion. 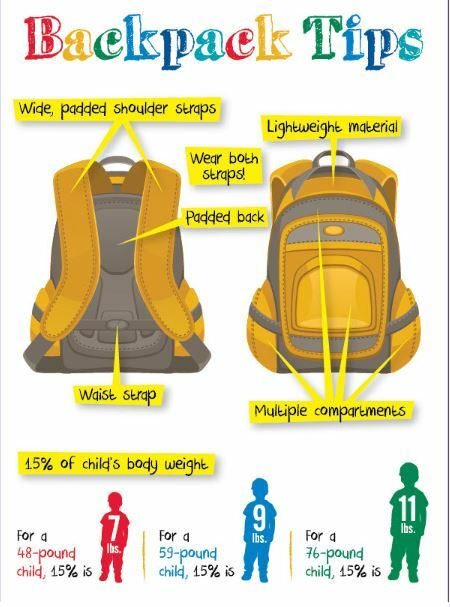 Be sure to buy a backpack appropriate to your child's size, and that the contents weigh no more than 10-15% of their total body weight. 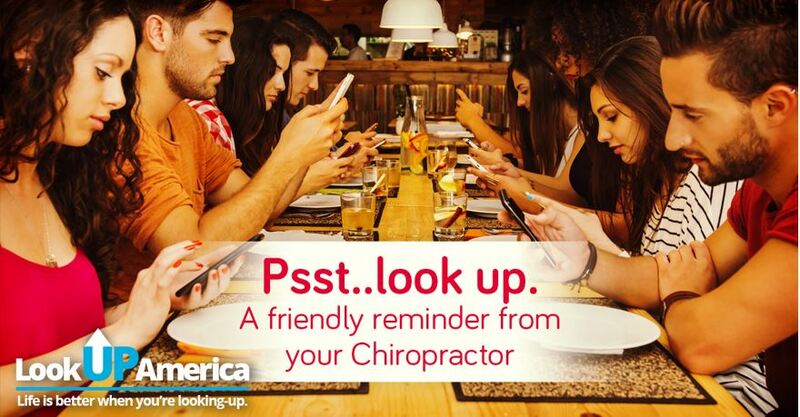 Looking up is good for your neck and your social life. 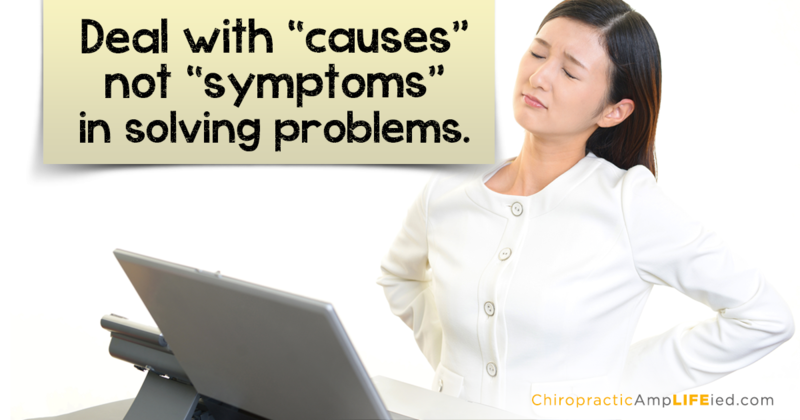 Chiropractors focus on correcting the cause of your problem, not just on suppressing your symptoms. Wouldn’t it be best to start with the most conservative options first? 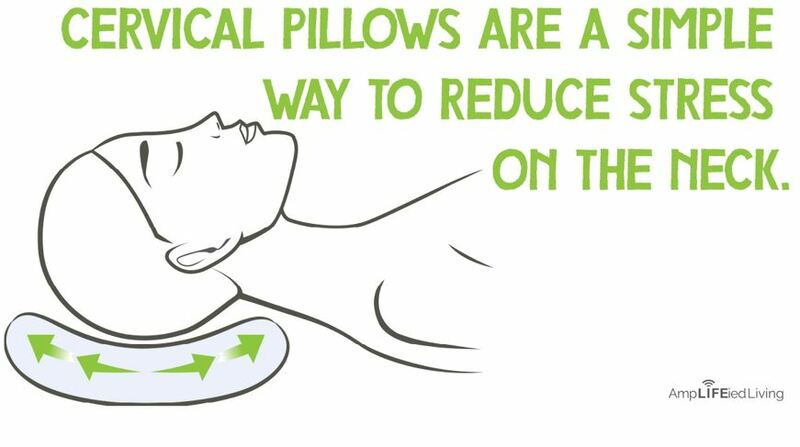 If you are like most people, you sleep on your pillow for six to nine hours every night. Shouldn’t you sleep on something that will help you maintain your good health, not something that will slowly allow your posture to get worse and worse over the years? Please clean out your wallet and carry only what is really necessary. 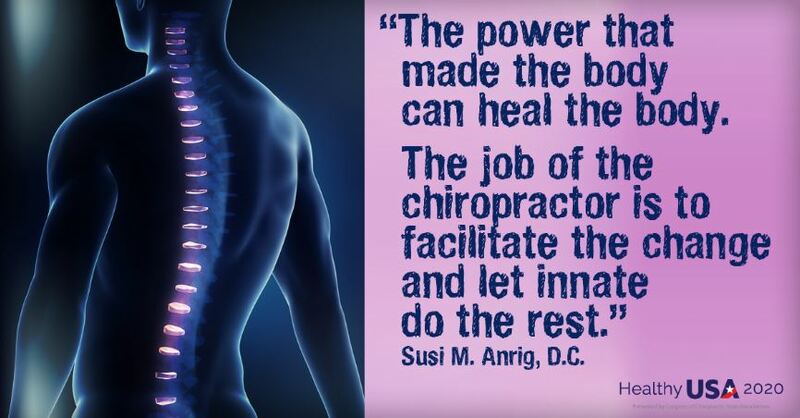 Your spine will thank you! We're passionate about preventing text neck! Give your neck a much needed break and look up! If things aren’t moving the way they are supposed to move, it will have a negative impact on your ability to function. 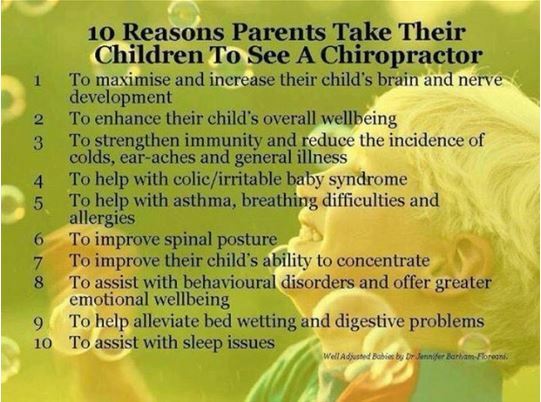 Chiropractic for kids is a MUST! 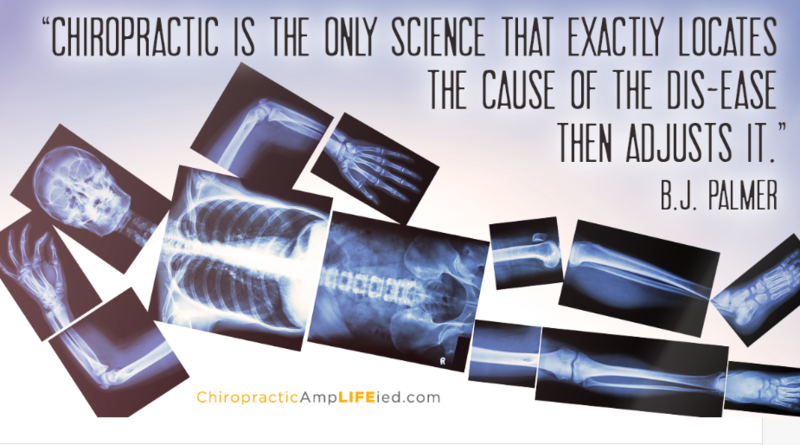 Chiropractors are trained to look for the cause of the problem by analyzing the spine and nervous system. Your brain is your body's powerhouse. 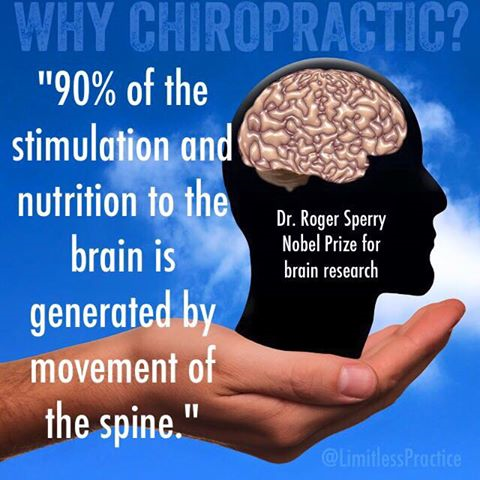 But the efficiency with which your brain communicates with your body depends on a healthy spine. Even when firing at full power, nerve messages can be dampened down by subluxations irritating delicate spinal nerves. To express your maximum potential from the inside out, be sure to maintain a clear nervous system. The following is an alert from the Texas Public Health Information Network. This alert was sent to all doctors in the county. I thought it was important to share it with the rest of the community. Please visit https://www.txphin.org/publicalert/12057 to view this alert. Remember that motion is life. Everything about the human body is designed with motion in mind: nerve fibers stimulate the muscles to contract, muscles contract to move the bones, bones move around joints, and the nervous system controls it all. Does your child have ear infections? 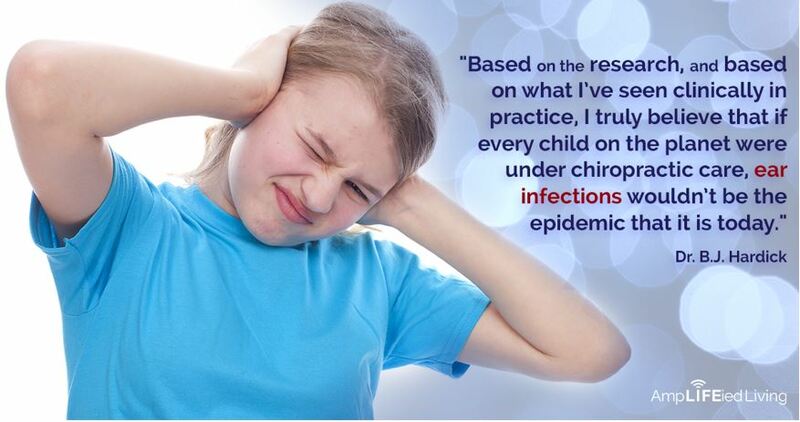 Talk to your chiropractor if you have a child who experiences frequent ear infections. 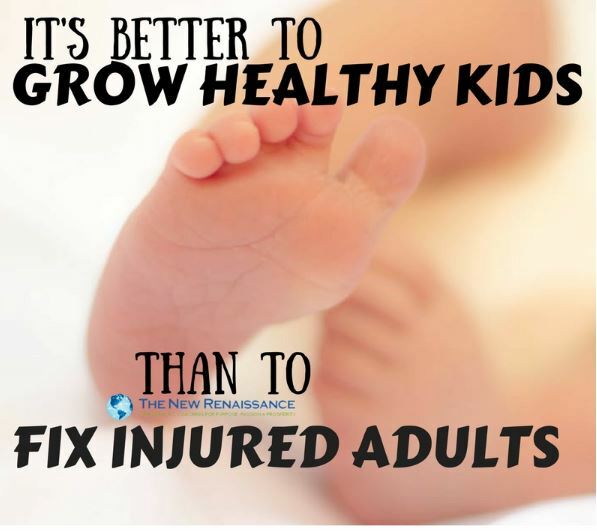 Chiropractic adjustments are very safe gentle and effective for babies. They are more neurologically touch based rather than a forceful manipulation and many moms state that their fussy babies often sleep shortly after an adjustment. Join in on the FUN! We are giving away a free gas grill. See how to participate below. Calling all past and current patients. Lifetime Family Health Center would like to thank you by offering 40% off any service. You can use this for your next visit, or for a friend or family member coming for the first time. 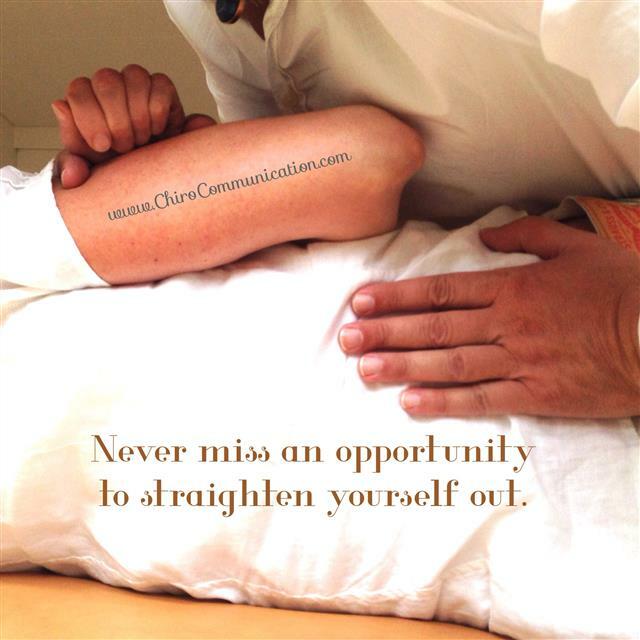 Offer good for massages, adjustments and new patient exams. Just mention this offer when scheduling your appointment. 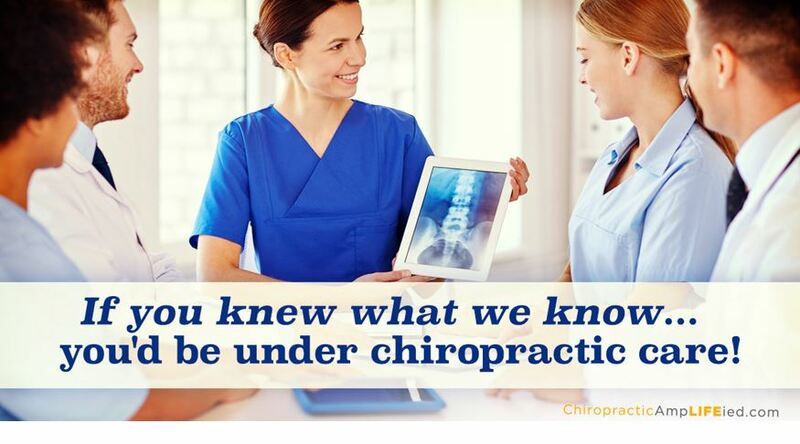 If you knew what we know, you'd be under chiropractic care! Call us today to set up an appointment. 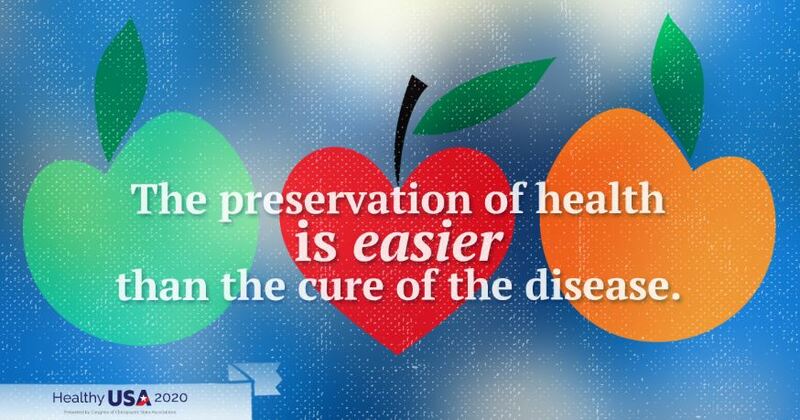 It is much better to prevent disease from happening in the first place than try to treat it once it occurs. Call Lifetime Family Health Center in Grapevine today for your appointment. Make an appointment to talk to a chiropractic doctor about chiropractic and high blood pressure. Call Lifetime Family Health Center in Grapevine today for your appointment! 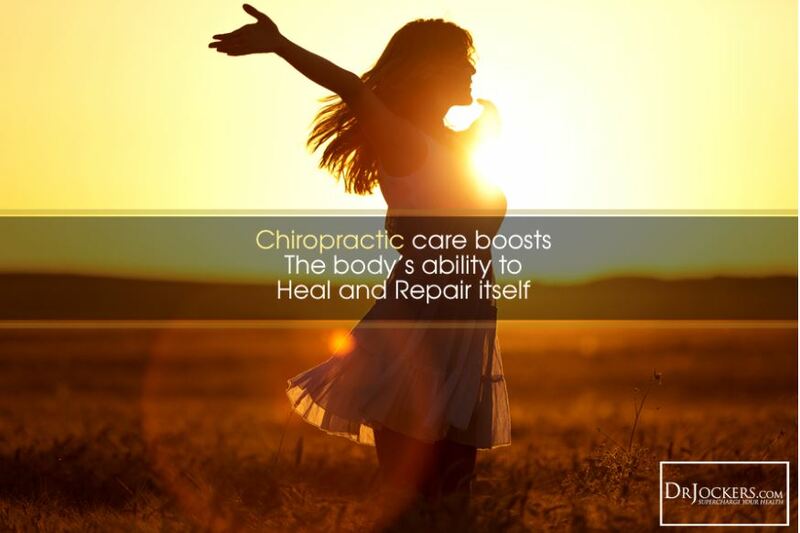 Chiropractic patients enjoy increased flexibility, improved posture, improved or eliminated pain, a more relaxed and calm state, and an enhanced energy level—in short, an improved overall quality of life. 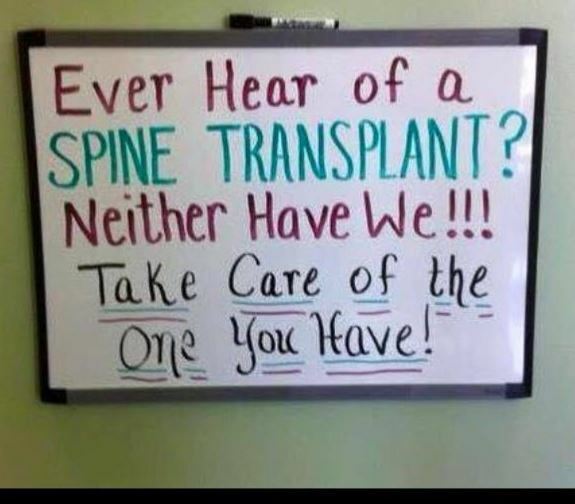 Call Lifetime Family Health Center in Grapevine for all your Chiropractic needs. Need a Boost? 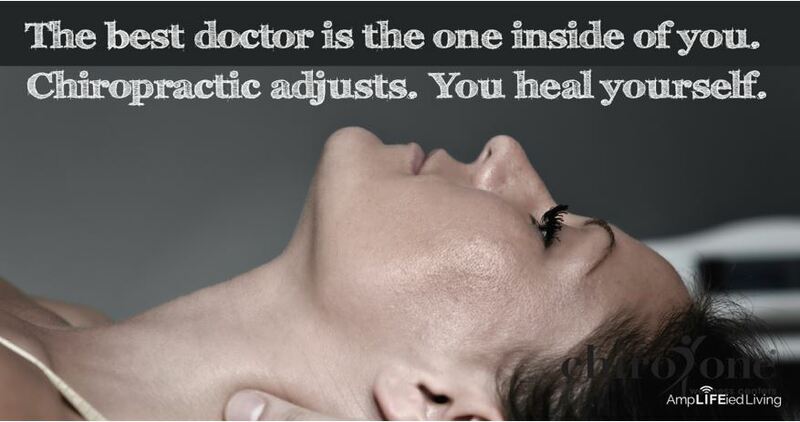 Get Adjusted. 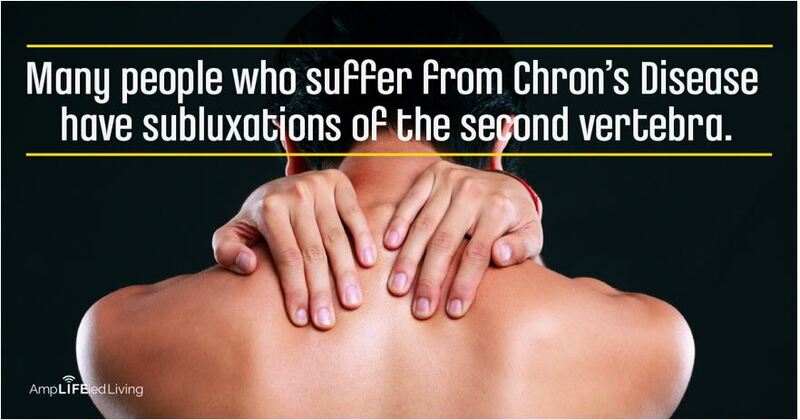 Chronic subluxations sap your nerve expression and reduce your body's efficiency. Increased fatigue is a common result of a stressed nervous system. 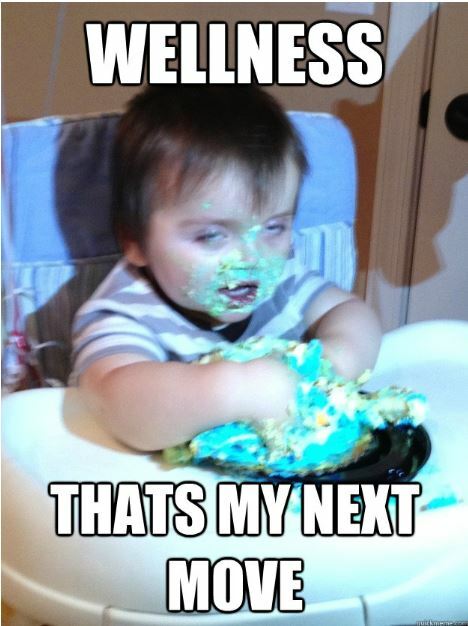 To be at your best, and most energetic, be sure to stay well adjusted! 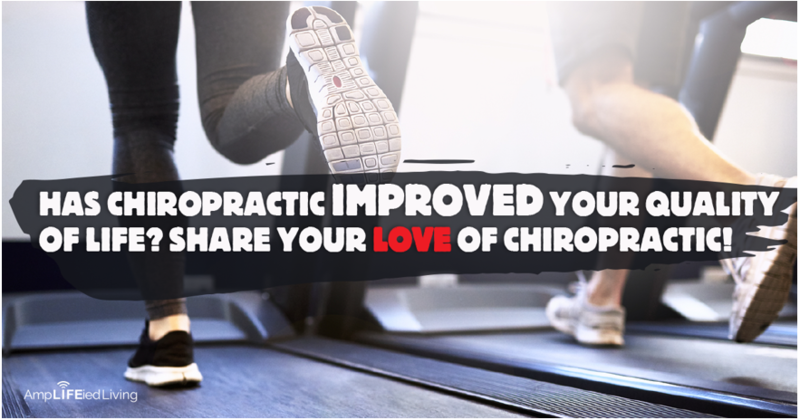 Chiropractic seeks to restore your natural, innate connection with health and wellness. 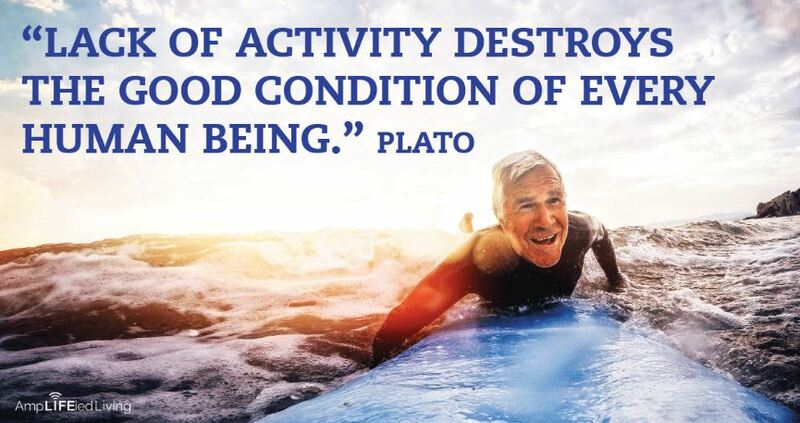 We can help you build a foundation of wellness that preserves a well attitude, wellness-driven lifestyle choices, and an overall well experience in life. 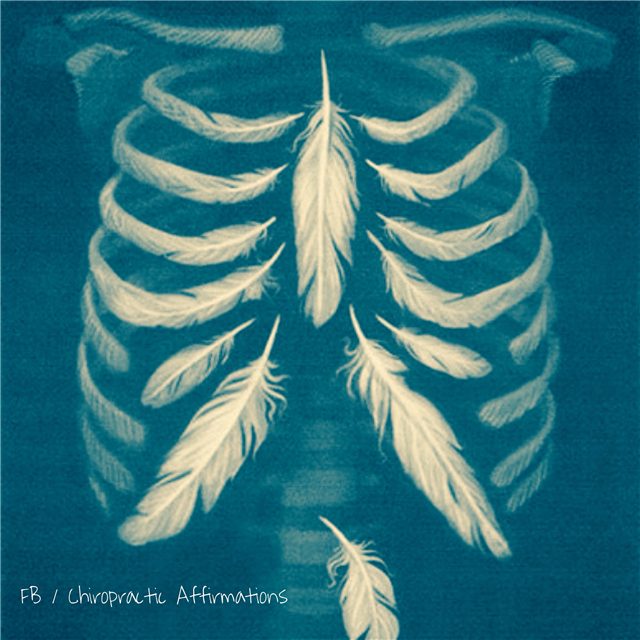 Infinite interactions occur within your body at any given moment, and they are all coordinated by your nervous system. Without the direction of your nervous system your body would just be a jumbled collection of cells and tissues with no meaningful existence. 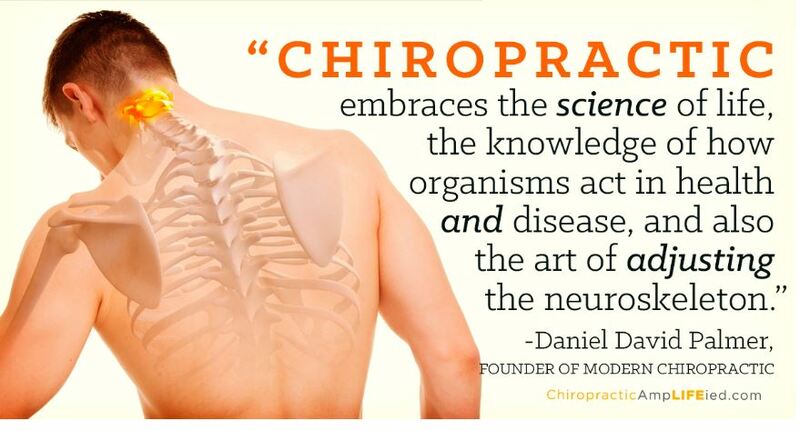 Chiropractic optimizes the function of your nervous system, and in turn, the quality of your life! 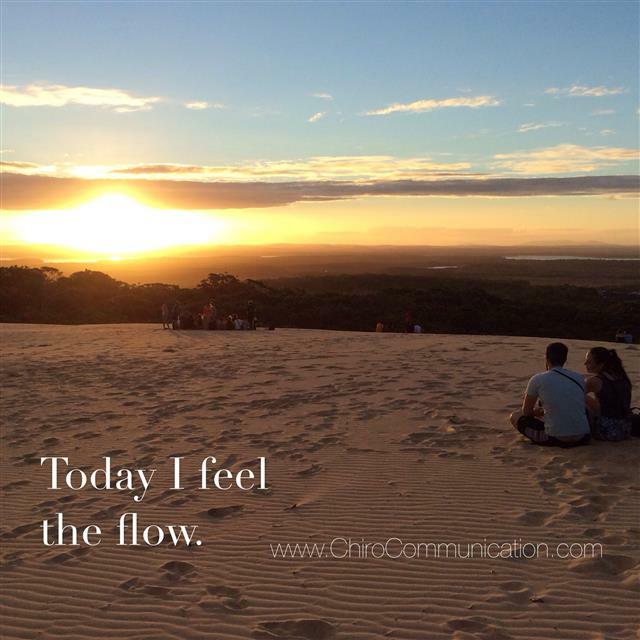 Do you have a chiropractic success story? 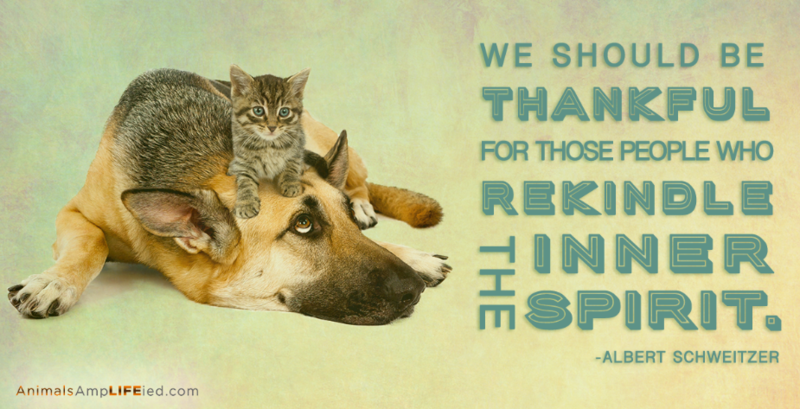 Share it with everyone you love! 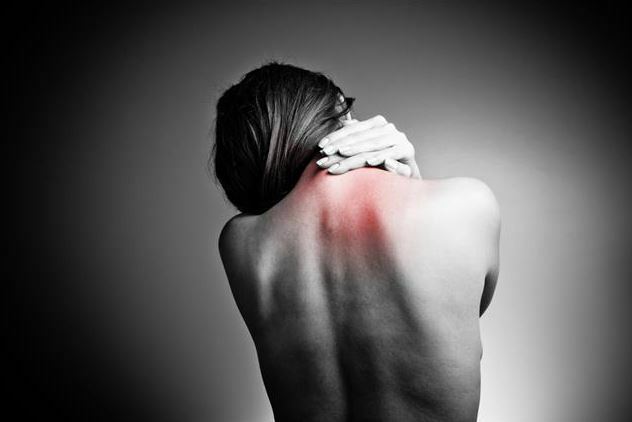 Subtle dislocations of the vertebrae, called subluxations, can lead to spinal degeneration and debilitating pain. 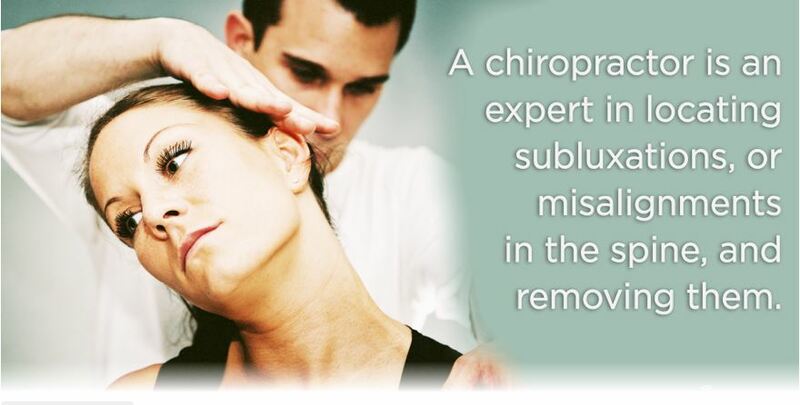 Fortunately, subluxations are easily managed by spinal adjustments. 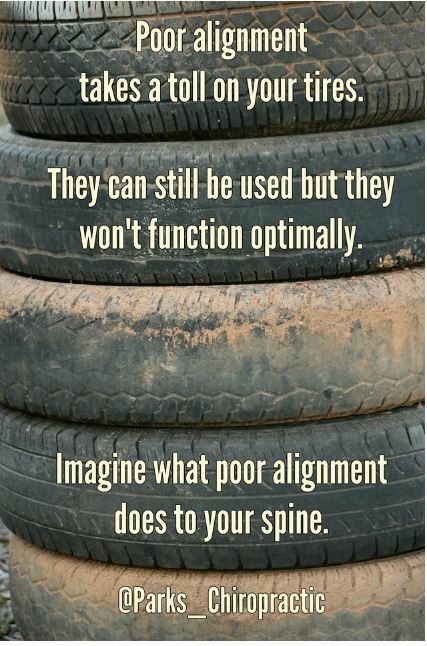 Your spine goes through a lot of wear and tear. 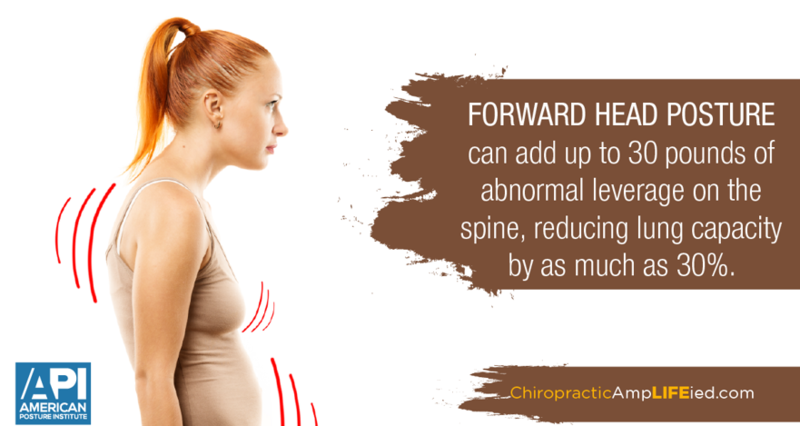 Keep it aligned with regular chiropractic care. As the old saying goes, an ounce of prevention is worth a pound of cure. 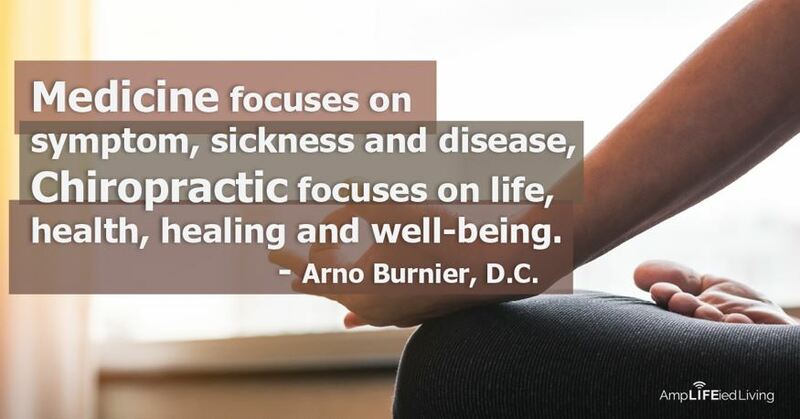 Chiropractic puts the focus back on wellness. 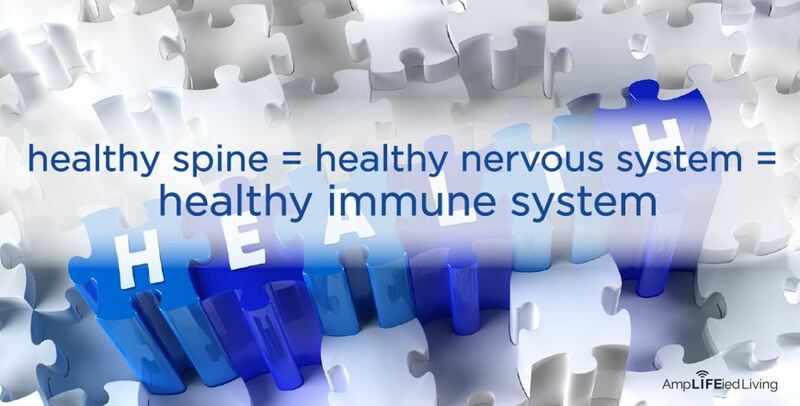 Your central nervous system plays a major role in the function of your immune system. 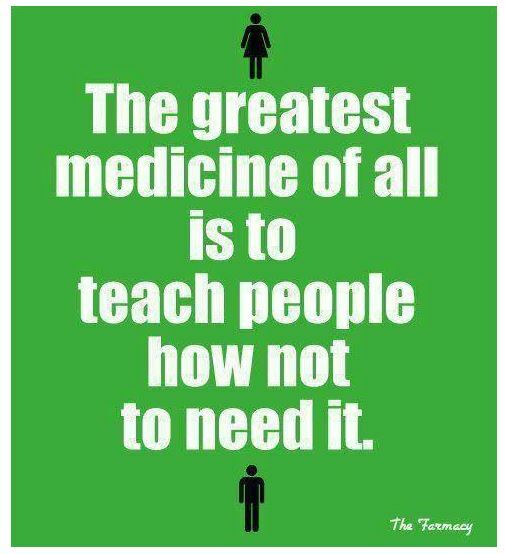 Have you thought about bringing your family to a chiropractor as an alternative to traditional medicine? 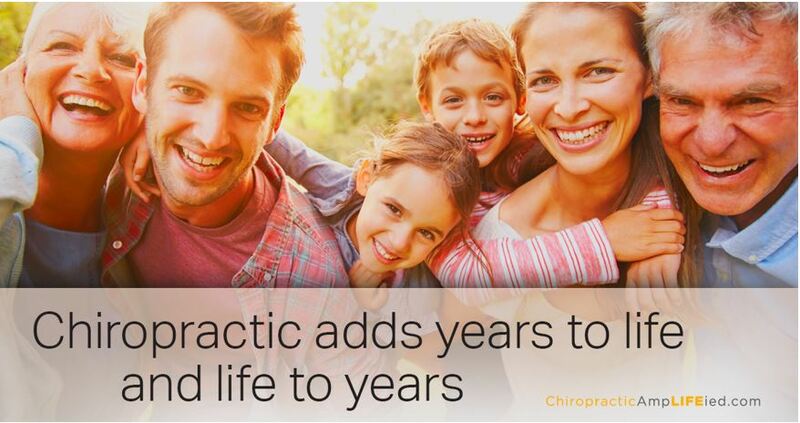 Not sure about having your spine popped or how chiropractic could benefit your children. 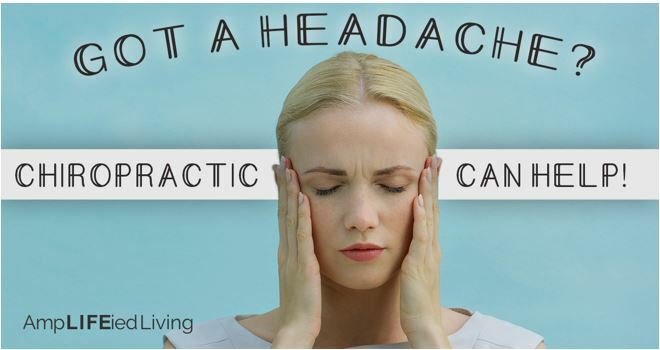 Come to our chiropractic workshop to learn about how regular chiropractic care can not only treat low back pain, neck pain, headaches, sports injuries, car accident injuries, but has also been proven as a preventative model to maintain health and wellness and avoid sickness. 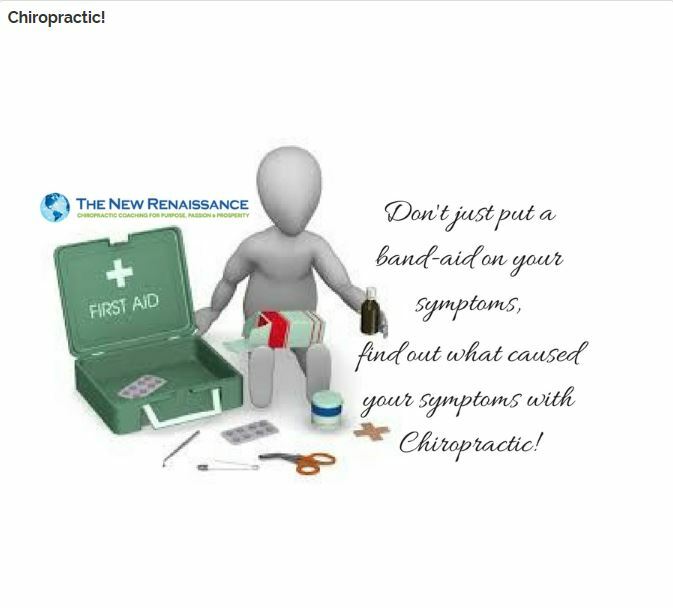 So take charge of your health and sign up for our chiropractic workshop this Tuesday March 7th at 6:00 p.m.
Left unchecked, imbalances tend to get worse, not better. Call our health center and get checked today. Spinal adjustments serve to re-establish normal vertebral motion and position in the spine. 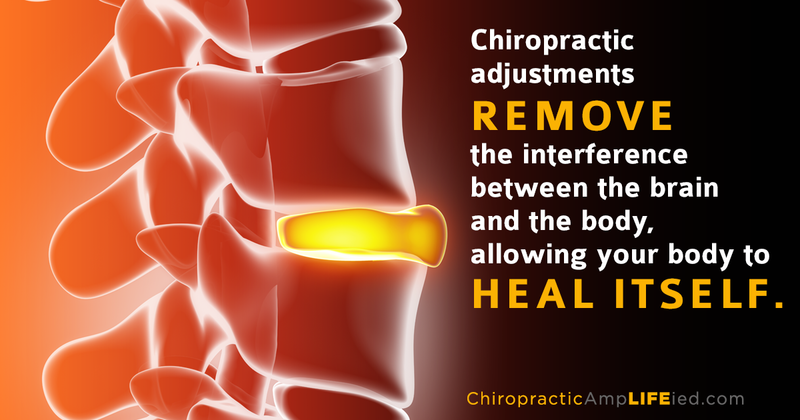 Chiropractors offer adjustments to improve spinal alignment and overall well-being before symptoms develop. 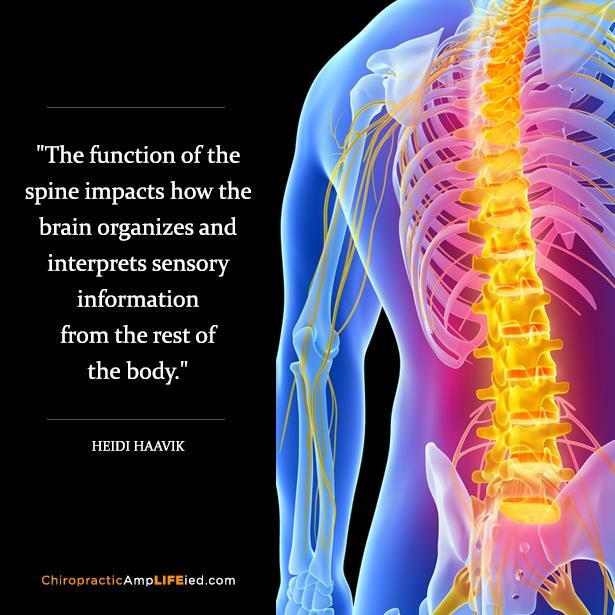 The Spine is not just a roadway for nerves. Muscles attach here, the vascular system has its own interstate through the spine, the brain gets nourishment from the CSF that also bathes the spinal cord within the confines of the spine. 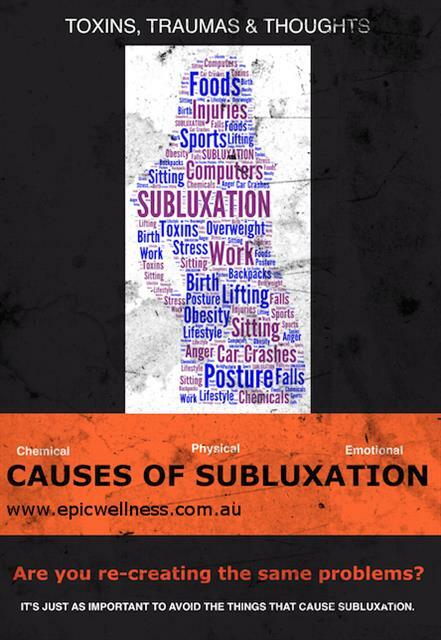 There is a lot that happens when a subluxation occurs, we all focus on the pain but not the damage. 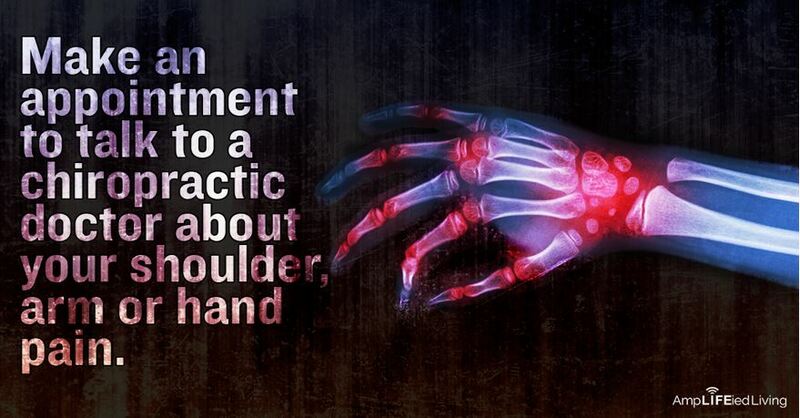 See your chiropractor today before the pain, you could just save your own skin. 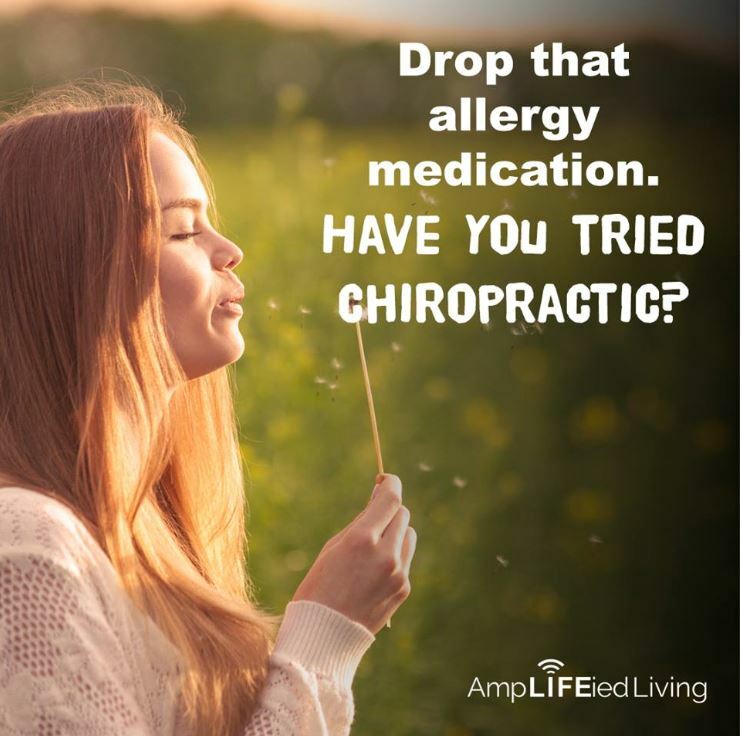 Boost your immune system and decrease allergies with regular chiropractic care. 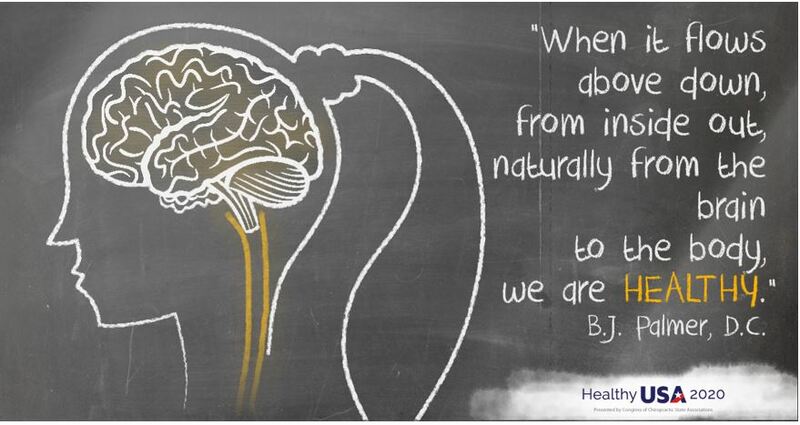 What connects the brain to the body is the nervous system. 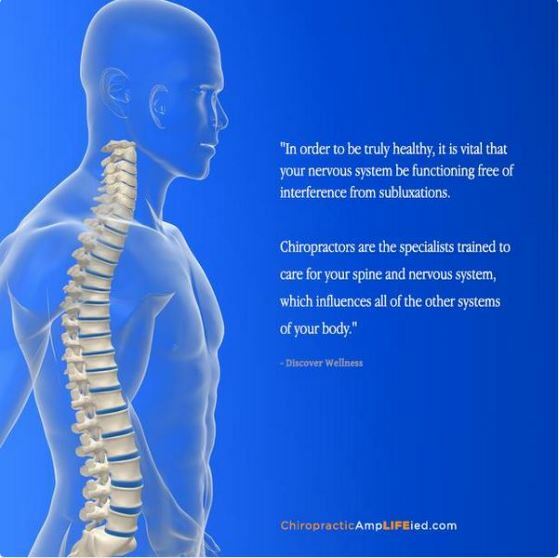 The spine and nervous system are connected to every aspect of our expression of health and wellness. 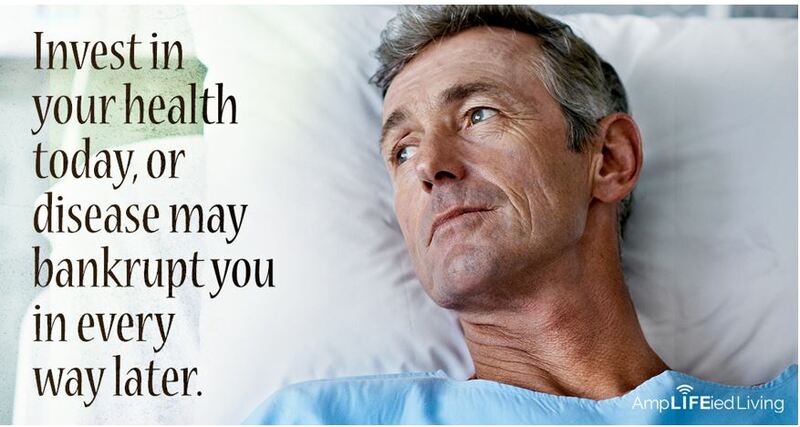 Having health issues? 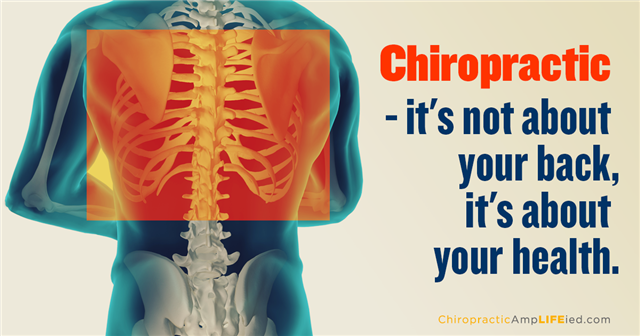 Get a chiropractic check-up to assess the health of your nervous system. 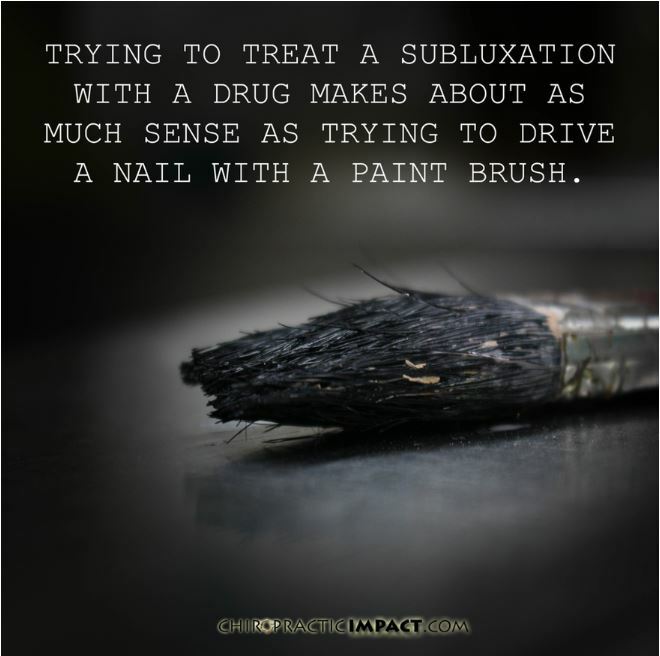 If your problems are the result of a subluxation (a spinal misalignment that is stressing your nervous system) chiropractic is the right tool for the job. 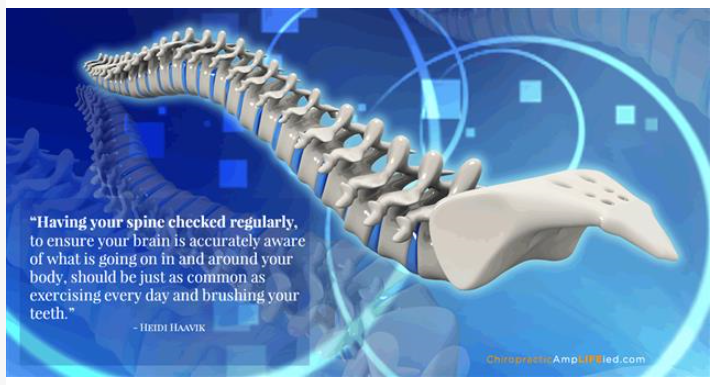 Chiropractors are the only health care providers trained to detect and correct vertebral subluxations. 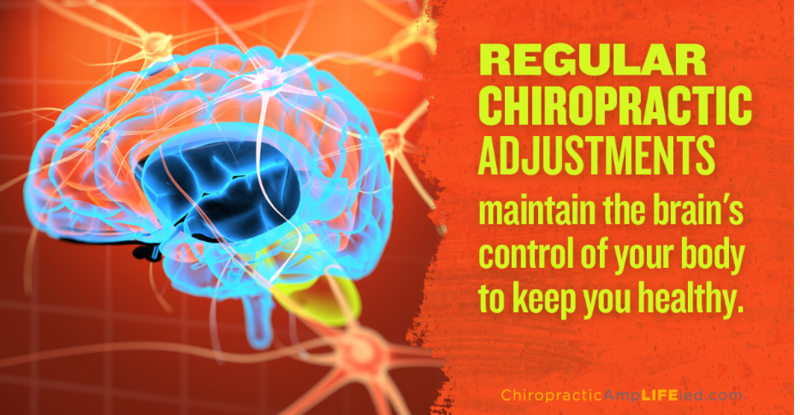 Adjustments are important for reducing stress on the nervous system. 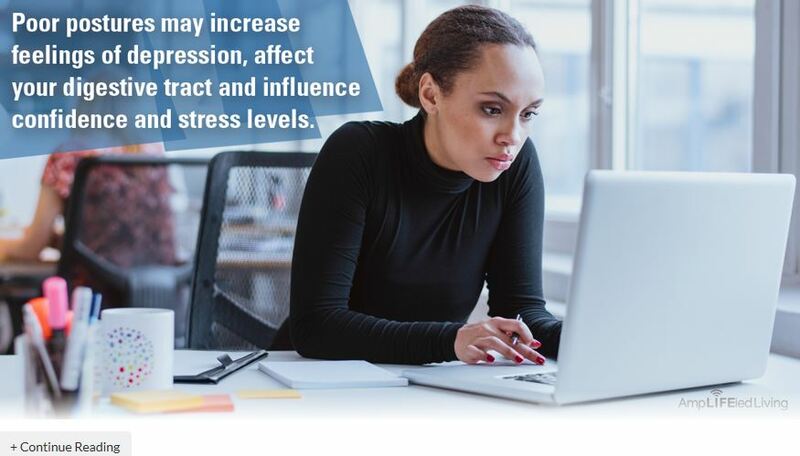 Because the nervous system is your master control, reducing stress on the nervous system will frequently lead to improved health in the entire body. Cold and flu remedies don't foster health. 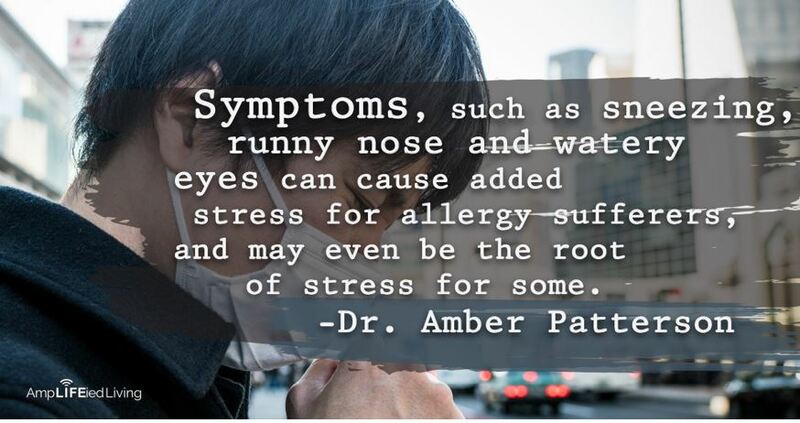 They simply mask your symptoms. 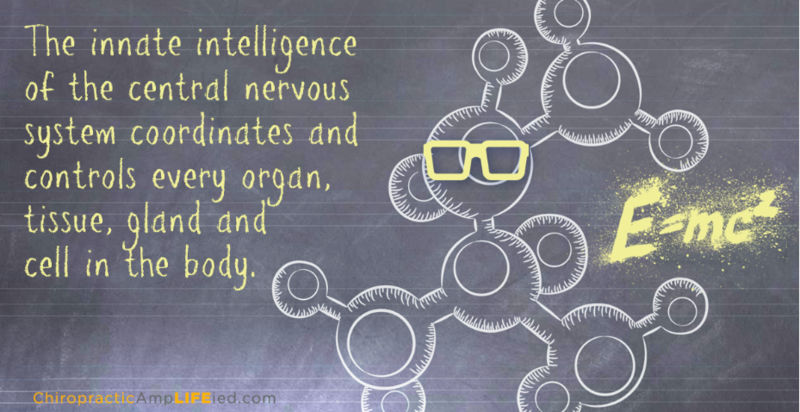 Your nervous system controls your immune response. 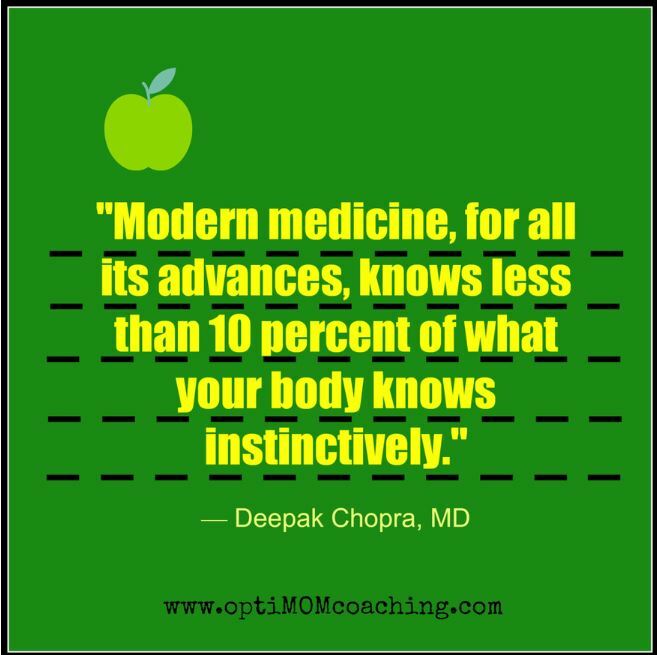 If you're feeling under the weather, be sure to get adjusted to optimize your natural, innate healing. Looking for a post-workout reward? Try SP Complete Chocolate. Just add water, mix and go! 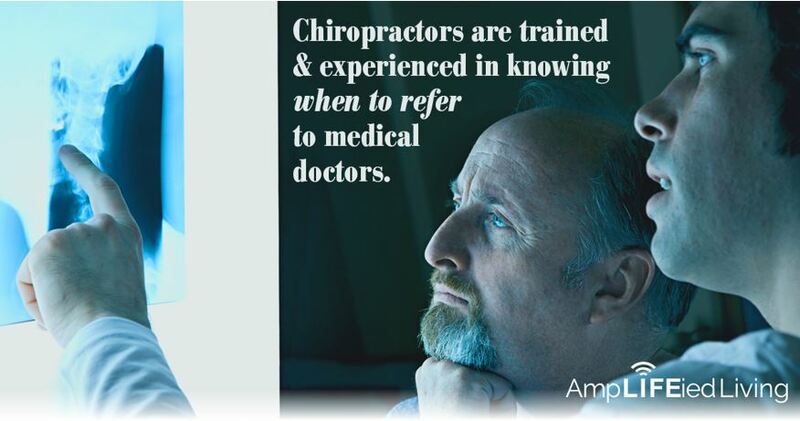 Tell someone you know about Chiropractic. 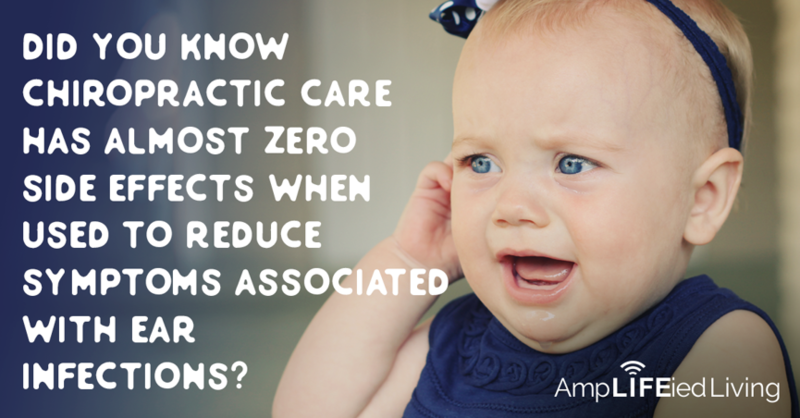 Chiropractic care has almost zero side effects when used to reduce symptoms associated with ear infections. 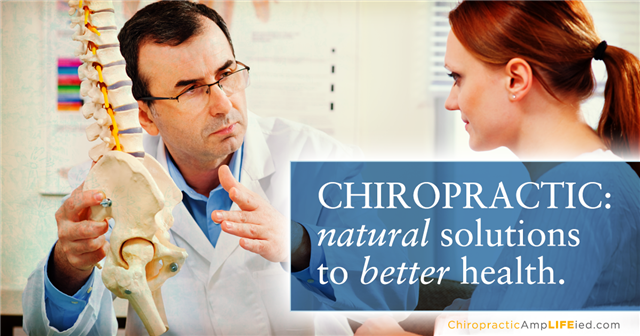 Discover the benefits of creating better health through chiropractic. Water is responsible for the transport of nutrients, oxygen, and waste products, as well as for regulating your body temperature and serving as the medium in which all of your body’s chemical reactions take place. Most people do not drink enough pure clean water. 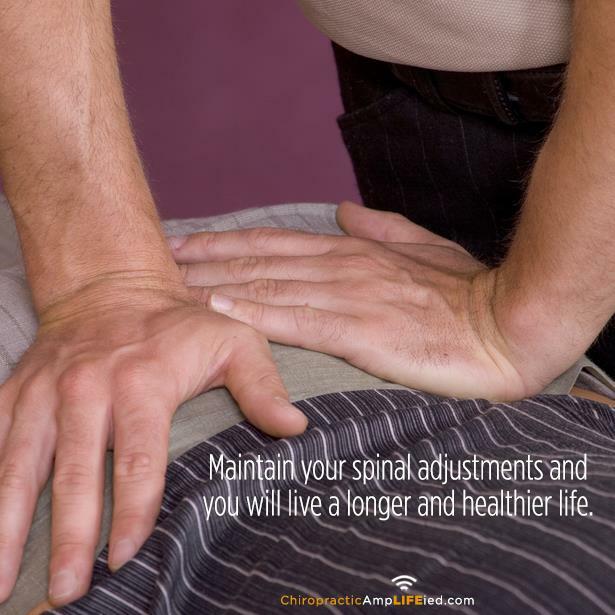 Improved spinal alignment can be beneficial to people of all ages. It only makes sense that if you have a spine, you should see a spinal expert who is trained to help you keep your spine healthy. 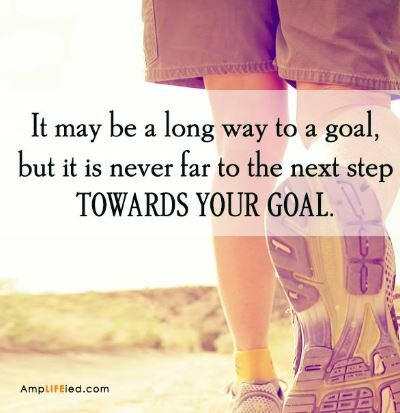 We can help you with lifestyle changes you can implement today to improve your overall quality of life. With all injuries, you will want to consult with your chiropractor to ensure to that your spine and joints are properly aligned. 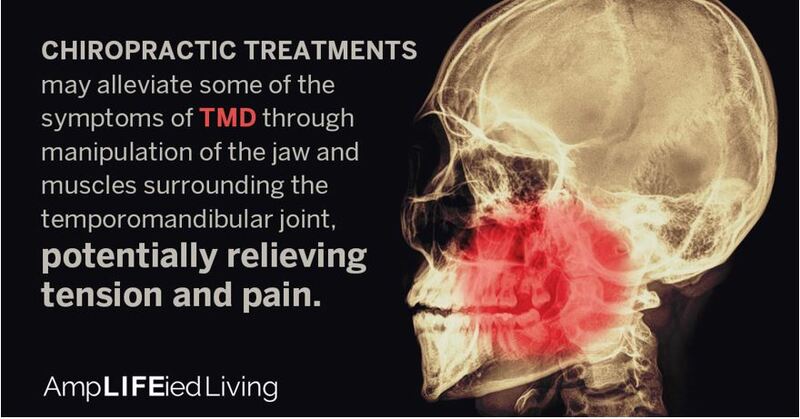 Make an appointment to talk to about chiropractic and TMJ/TMD. Make an appointment to talk to us about how chiropractic care may be able to help reduce the frequency of ear infections. The focus of chiropractic care is to remove any physiological blocks to the proper expression of the body’s innate wisdom. 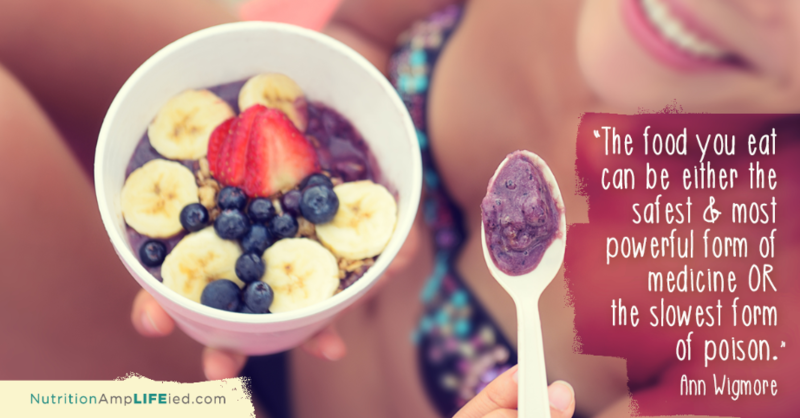 Make wellness your lifestyle, not your guilt appeasement. 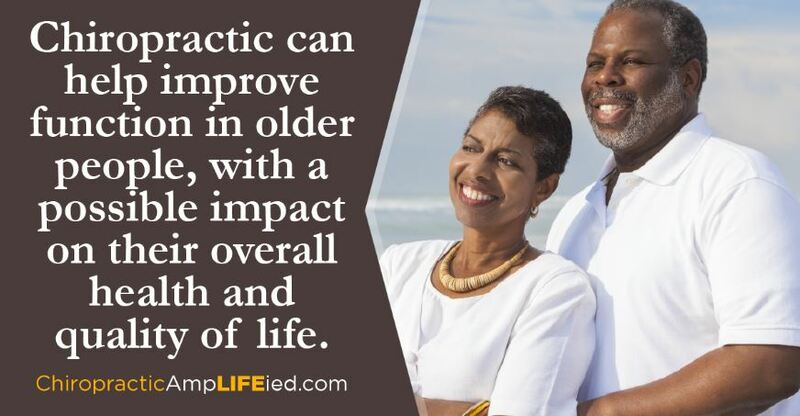 Chiropractic adds years to your life and life to your years. Spoil someone with a relaxing Massage for Christmas! 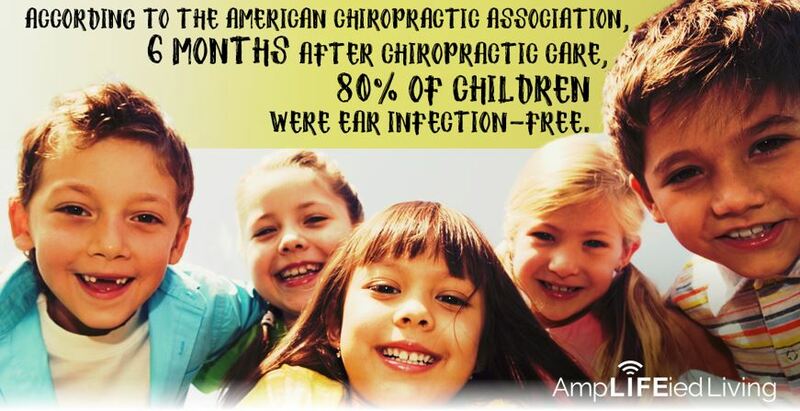 Make an appointment to talk to us about how chiropractic care can help with ear infections. 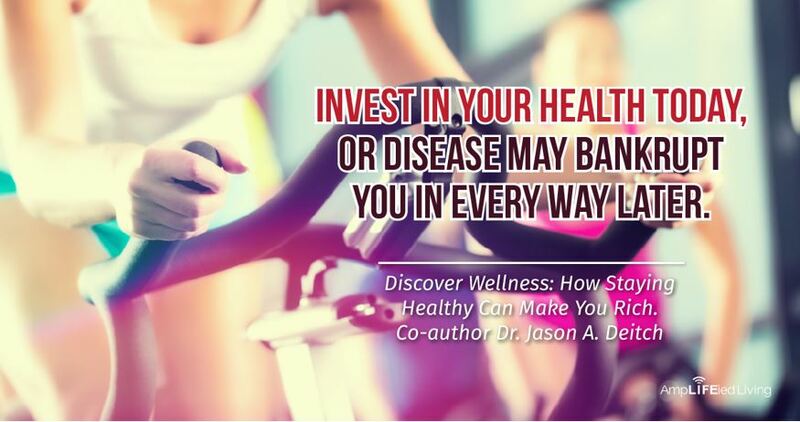 Your health is the wisest investment you can make. Give a gift everyone would love to receive! 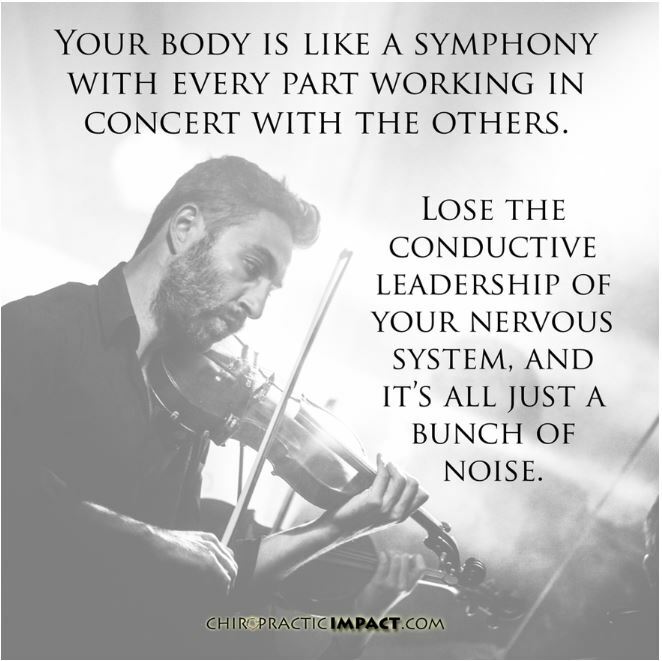 The central nervous system plays a major role in the function of our immune system. Keep your immune system working properly by keeping your spine healthy and aligned. 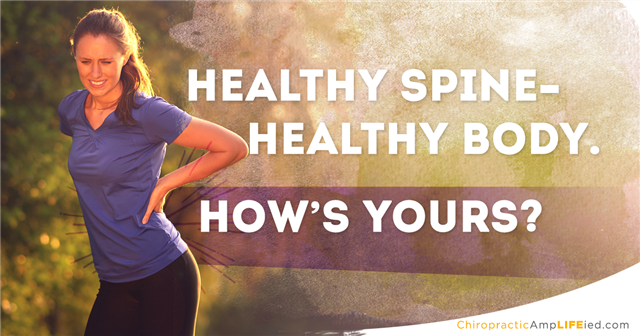 If you'd like to be healthy and avoid illness, chiropractic will help you achieve and maintain optimal health proactively. Give a gift of health and relaxation! 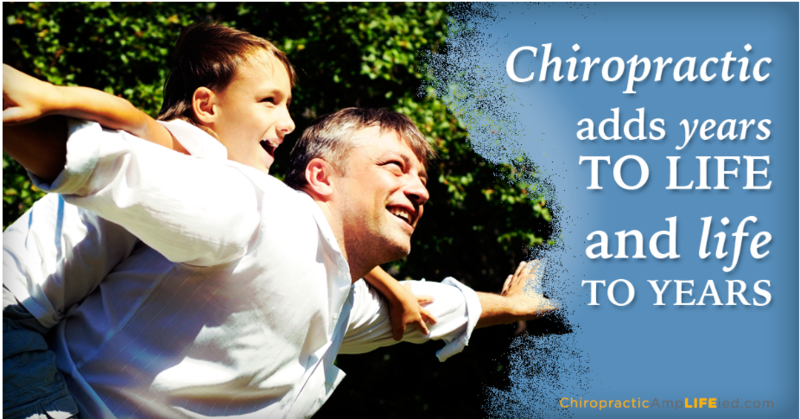 It's never too early - chiropractic is beneficial for people of all ages. 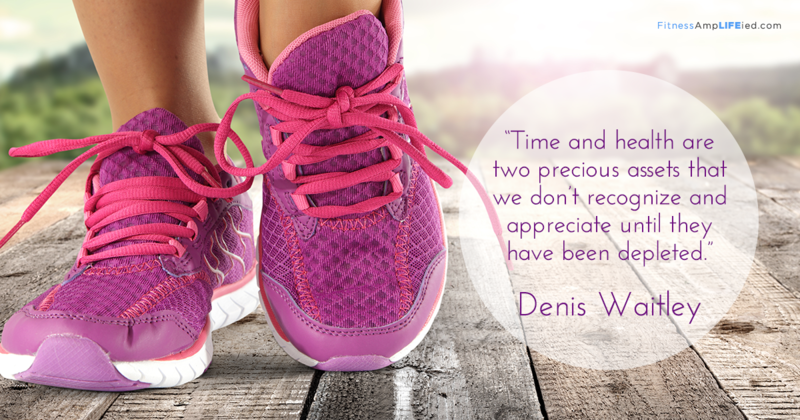 The investment you make in your health and wellness will come back to reward you many times over. Texting can lead to extra stress on the muscles of the neck and upper back. A very common problem with working at a desk job is that your upper back does not have the opportunity to move very much. Take stretch breaks every 20-30 minutes to keep your joints and the muscles in your upper back nice and loose. 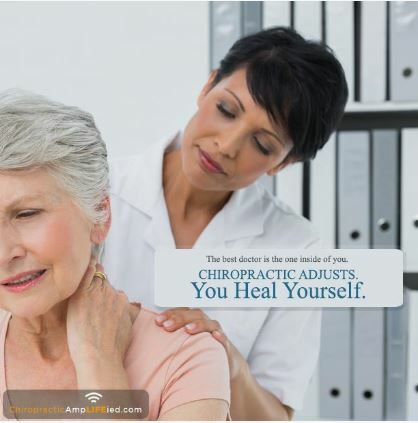 Chiropractors provide physical solutions—adjustments, exercises, stretches, muscle therapy—to help the body heal from conditions that are physical in origin, such as back pain, muscle spasms, headaches, and poor posture. 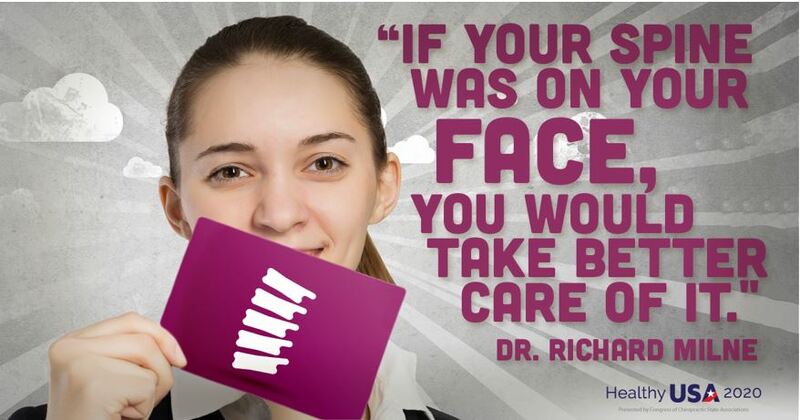 Want to get more out of your chiropractic care? Don't limit your adjustments to crisis mode. 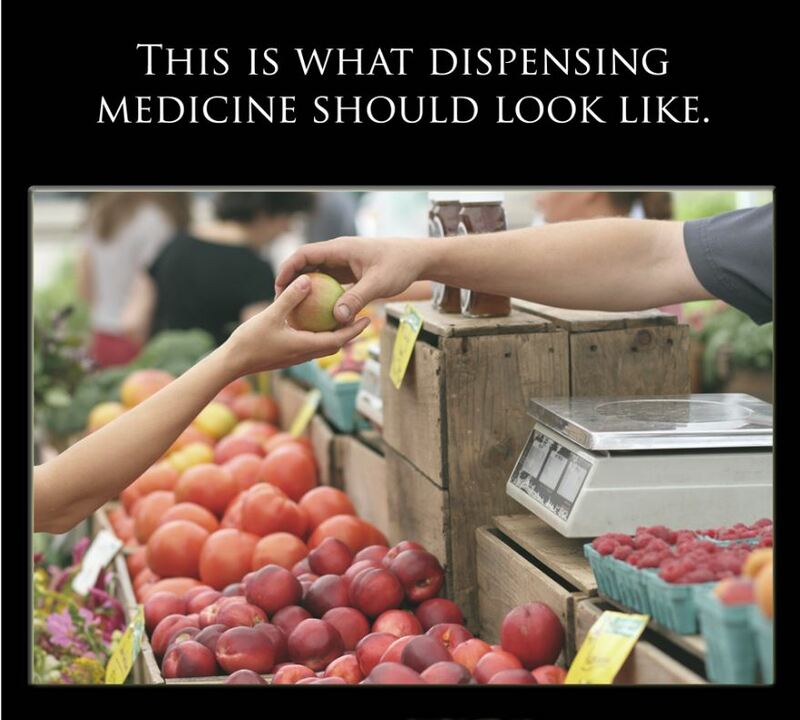 Chiropractic is not aspirin. A regular schedule of adjustments helps counteract the stresses of life and optimizes the function of your nervous system. Start living life at a higher level! Invest in your health today. 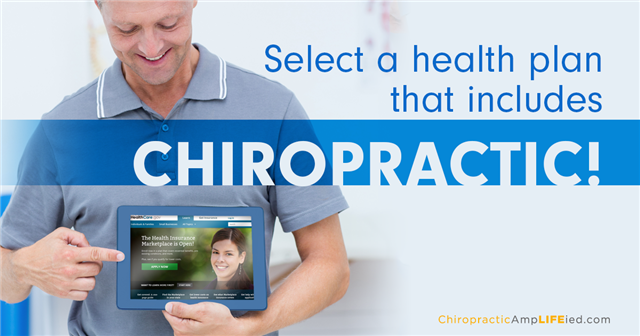 Enroll in a healthcare plan that includes chiropractic care. Your body knows...do you know that? 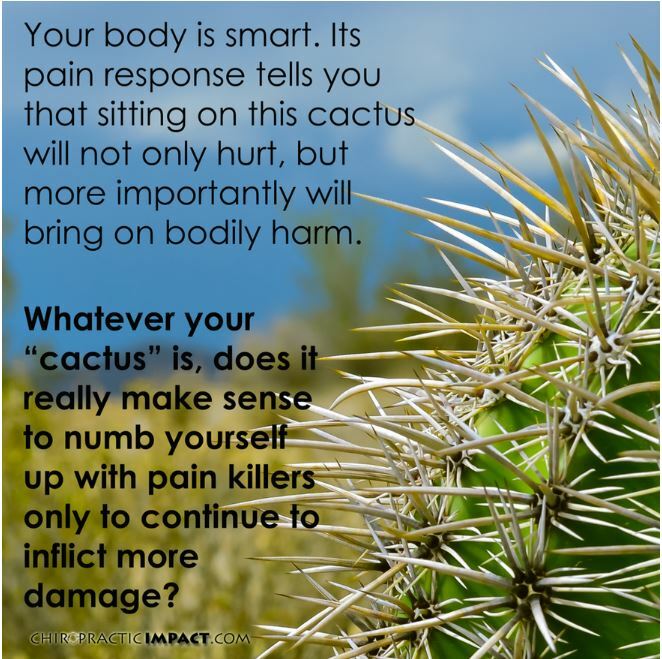 Usually if something you do causes pain, your body is trying to tell you to take a different approach. You can override your body's warning system and push through, but doing so would risk further damage. 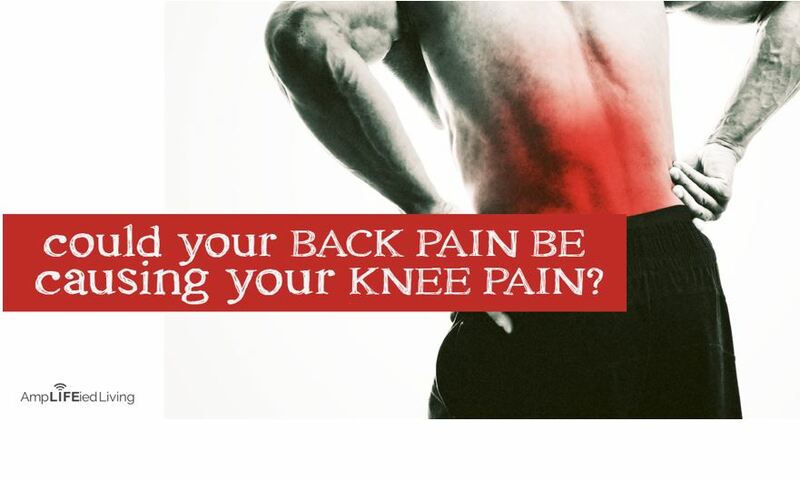 The sensible approach would be to identify the source of pain and work to correct it. Focus on healing your body with positive thoughts, healthy foods, daily exercise, chiropractic care, plenty of sunlight and happiness. It is necessary to do whatever you can to keep your immune system working properly. One way to do this is to remove any source of irritation by keeping your spine healthy and aligned. Hand, Foot and Mouth disease got you worried? Fear not! 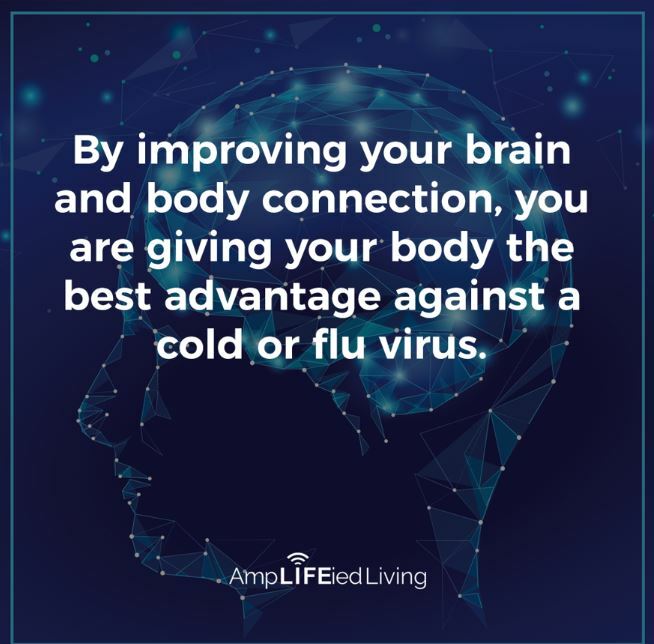 Chiropractic care releases the pressure on your nervous system, unleashing the power of your immune system to protect you against virus and bacteria. 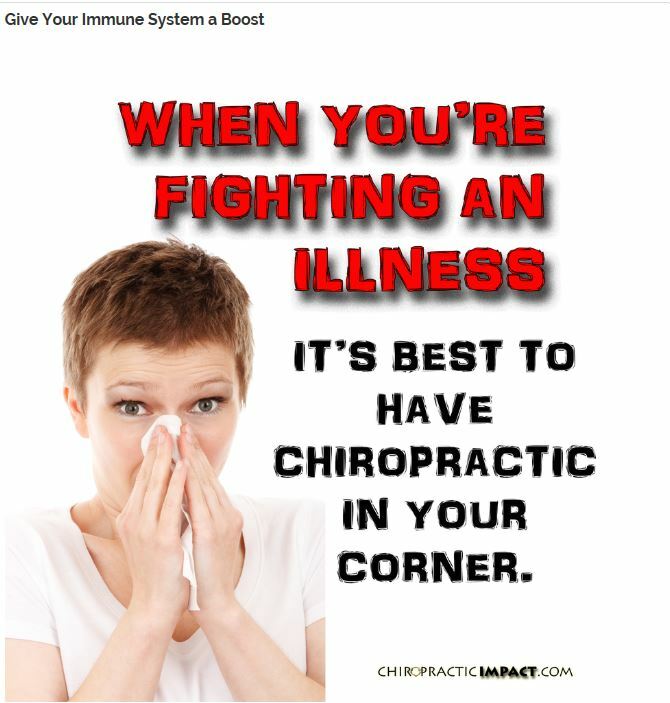 See your chiropractor today for a more effective immune response. 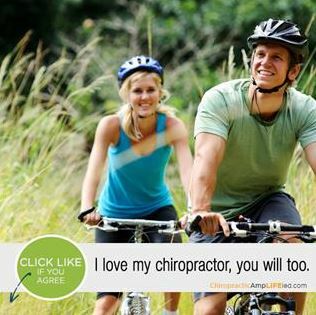 Chiropractors are well rounded professionals that provide a nearly one-stop shop for all your needs. Just because you can't see it doesn't make it any less important. 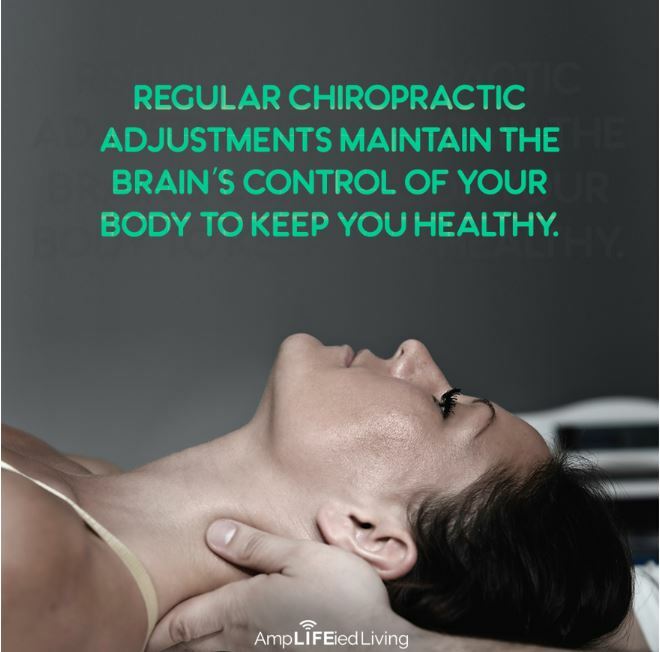 Include regular chiropractic care to keep your nervous system functioning at its best. 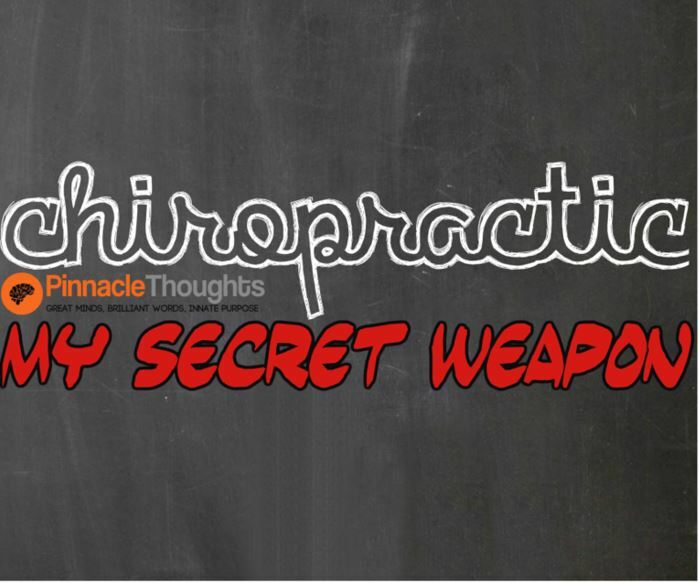 When people ask you how you do it, how you have so much energy, how you never get sick, how you stay so healthy, tell them you have a secret weapon! 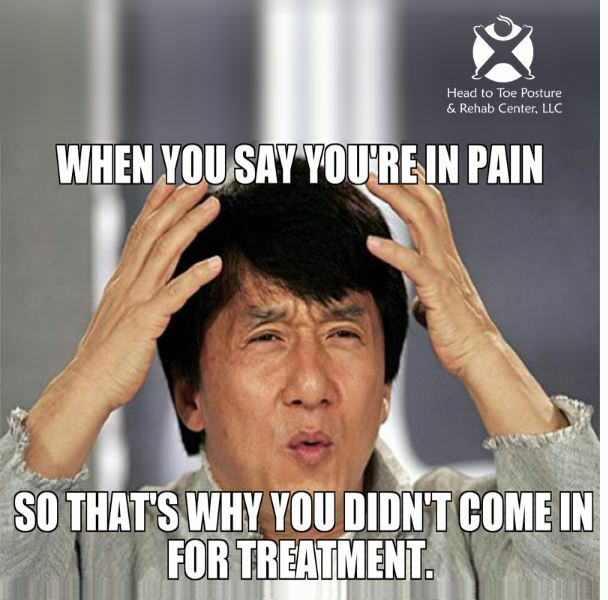 Don't wait until you're having pain to make an appointment. 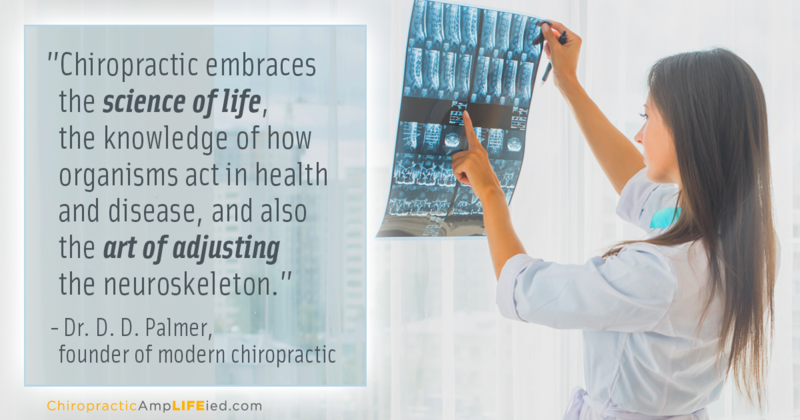 Chiropractors offer adjustments to improve spinal alignment and overall well-being even before symptoms develop. 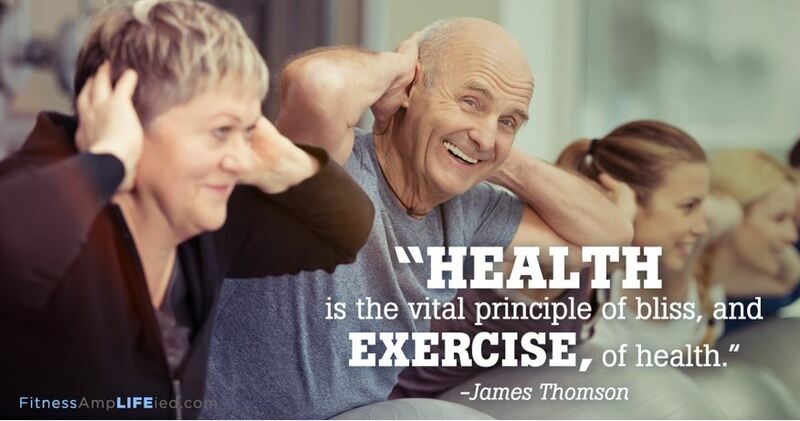 Eat healthy, exercise regularly, get quality sleep and enough of it, think positive, and include regular chiropractic care. Have you had your child checked? Too many drugs, for too many people, for too long a time. It's time to take a stand! 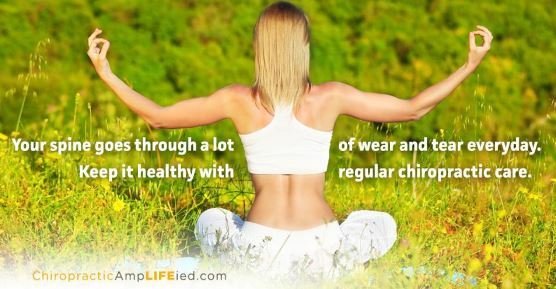 Improve your child's quality of life by including regular chiropractic care. A healthy family is a happy family! Make an appointment and help us celebrate healthy families! Don't underestimate the connection between your thoughts and emotions and your physical health. 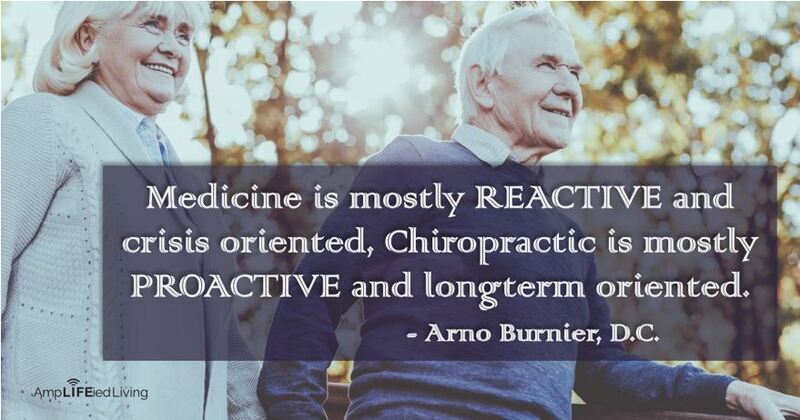 Chiropractic isn't just about pain relief. 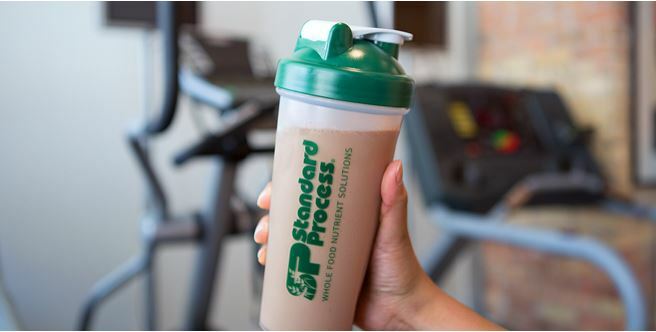 It's about getting the best performance possible out of your body. It's time to become fully engaged in life again!! Have you made your appointment for a healthy family? 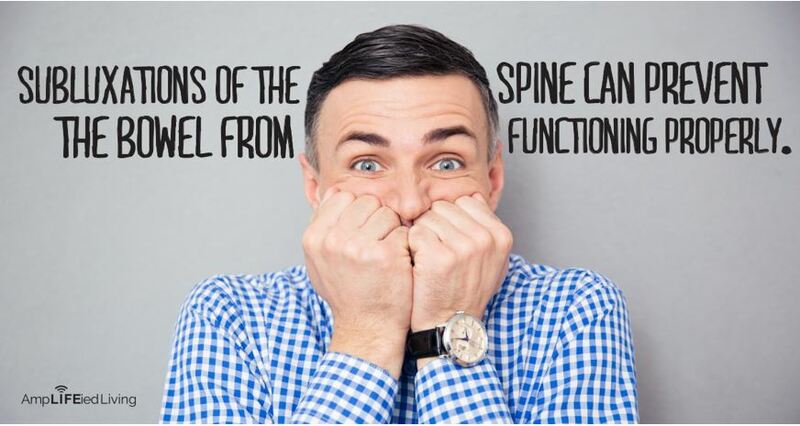 Whenever there is a disruption in the normal movement or position of the vertebrae in your spine, with time it will result in inflammation and pain. 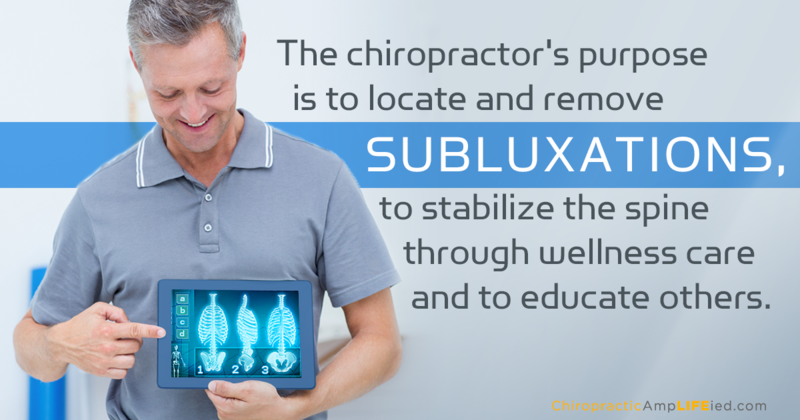 Fortunately, subluxations are easily managed by spinal adjustments, and often a significant reduction in pain is experienced almost immediately after care. 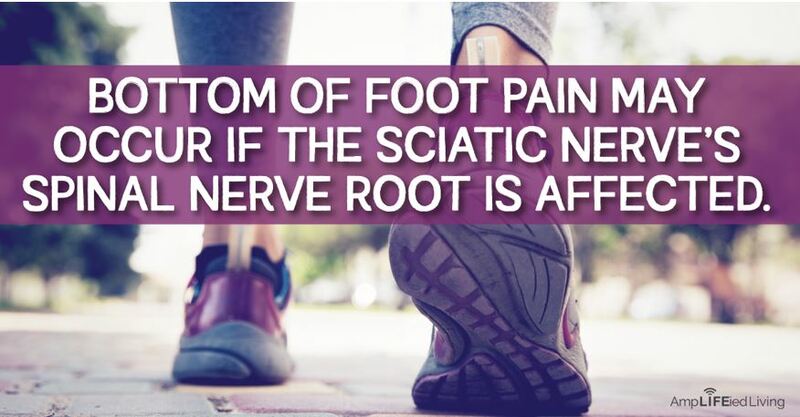 Whenever a nerve becomes irritated, the body cannot function correctly. 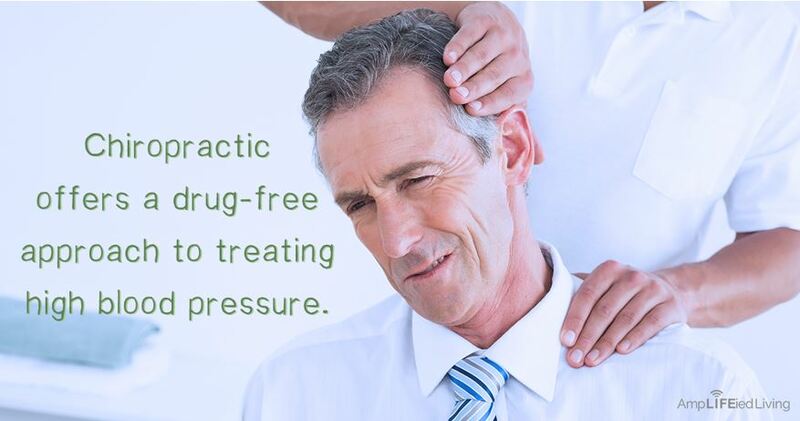 Release the pressure with regular chiropractic care. Be sure to include range-of-motion exercises such as stretching, yoga, or Pilates, to help maintain normal joint movement, maintain or increase flexibility, and relieve stiffness. 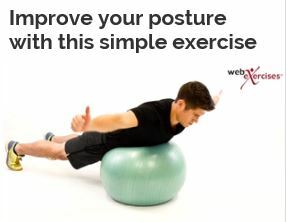 The Blackburn T is a great way strengthen the muscles that are typically weak but essential to maintain good posture. "There is no effect without a cause. 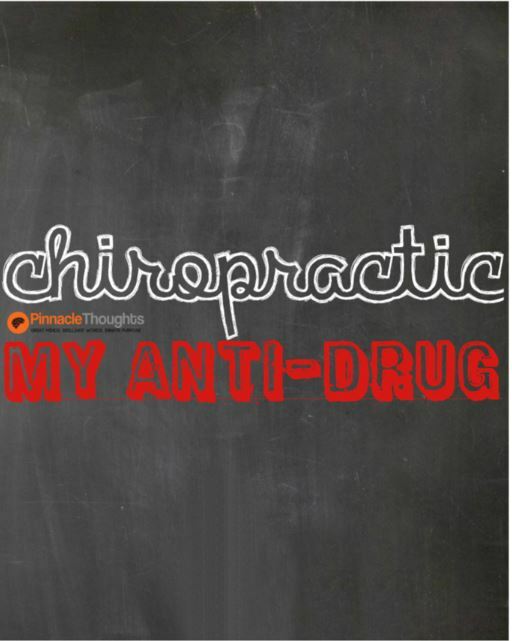 Chiropractors adjust causes, others treat effects." B.J. Palmer, D.C., Ph.C. 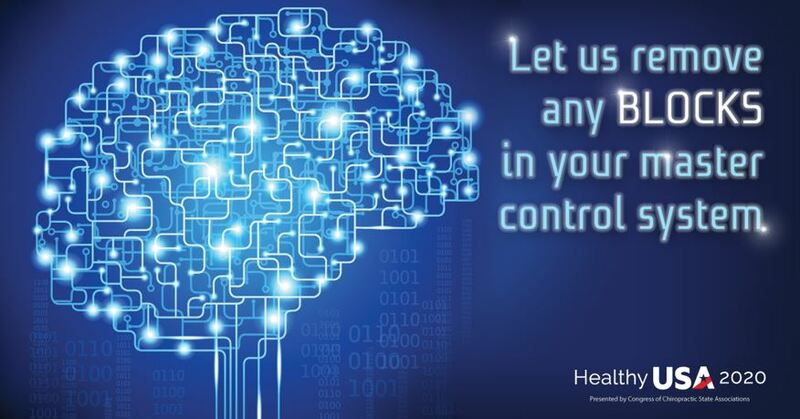 Your brain and nervous system control every organ, tissue and cell in your body. 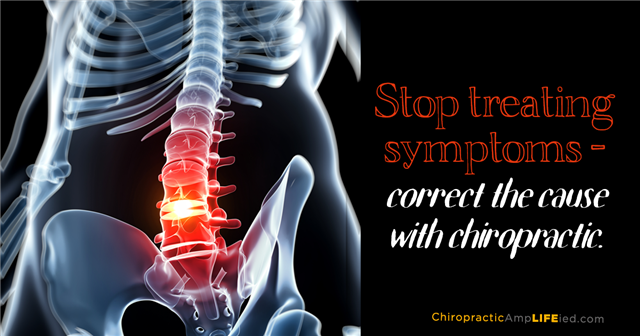 Keep it intact and functioning with regular chiropractic care. 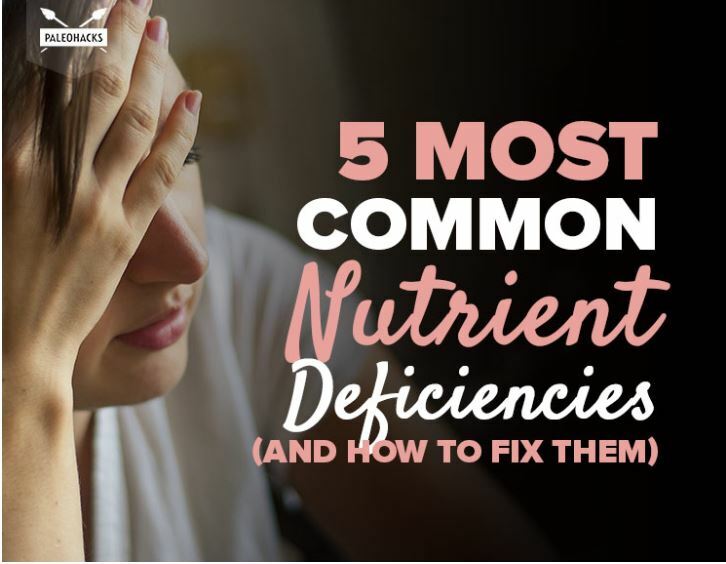 Here's your cheat sheet for the five nutrients you're most likely to be lacking. A train goes nowhere without an engine to drive it. 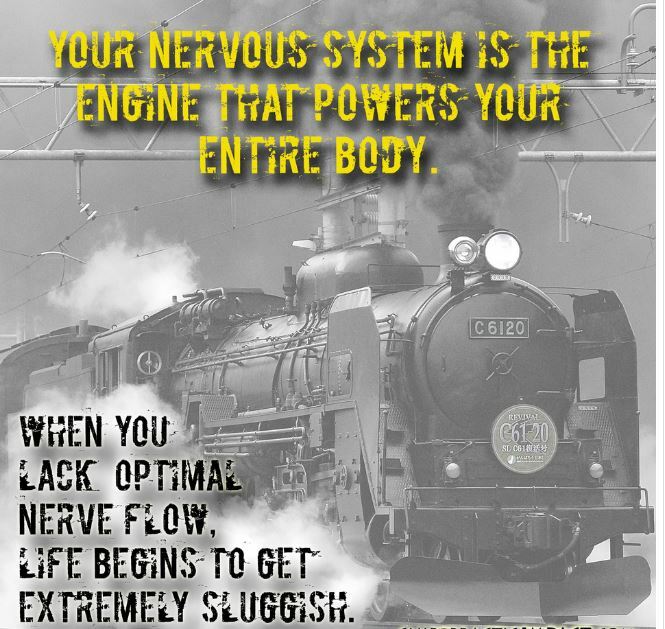 Your nervous system is your body's engine. 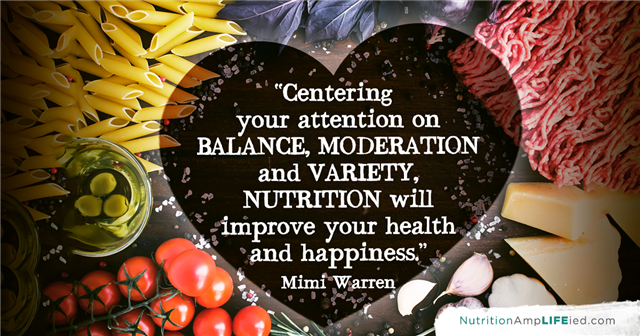 Having your healthiest body means keeping your nervous system in tip-top shape! 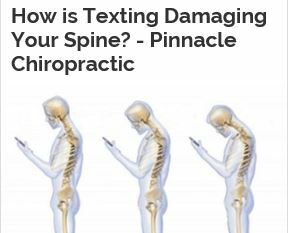 How is texting damaging your spine? 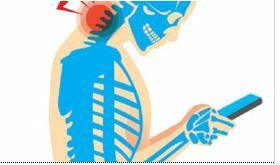 Texting is putting extra pressure on your neck and spine. This can accelerate the degeneration process. 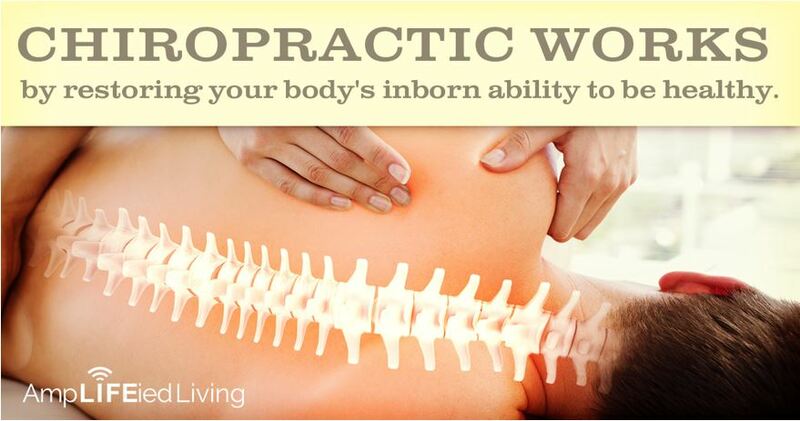 Back pain and discomfort does not have to be a part of your pregnancy. It's back to school time. 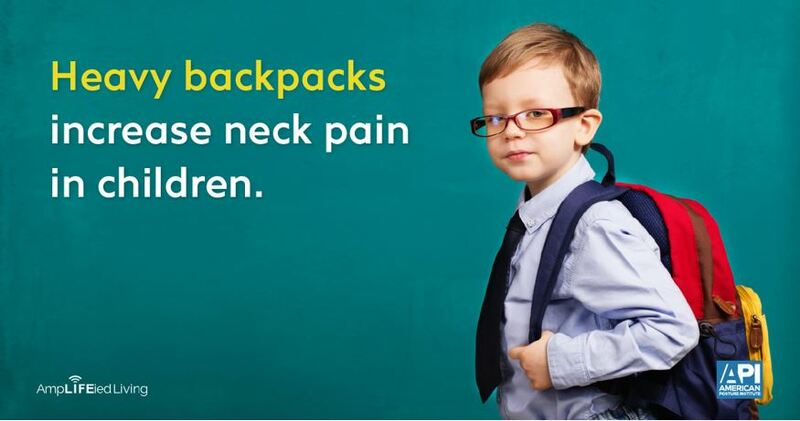 Please pay attention to these backpack safety tips! 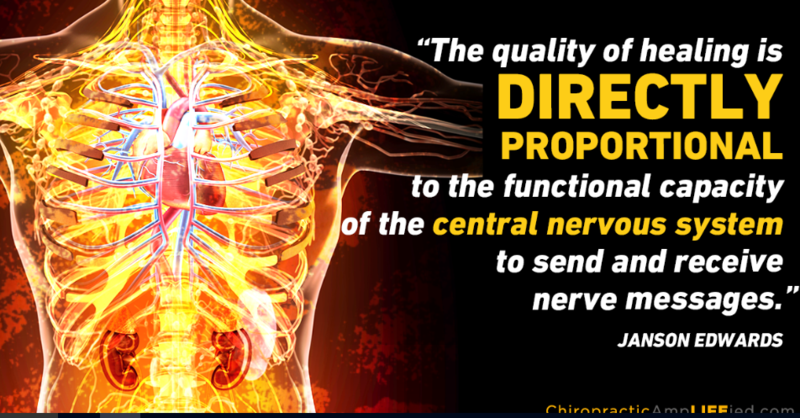 Your central nervous system feeds your body with nerve impulses that are essential to life. 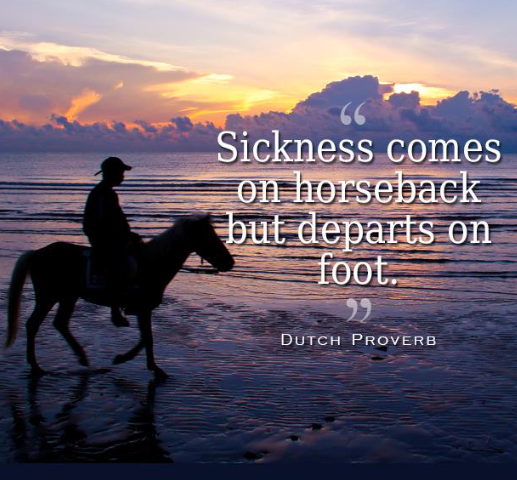 The difference between health and sickness is often a simple matter of how efficiently those nerve impulses can traverse the pathway through your spine. 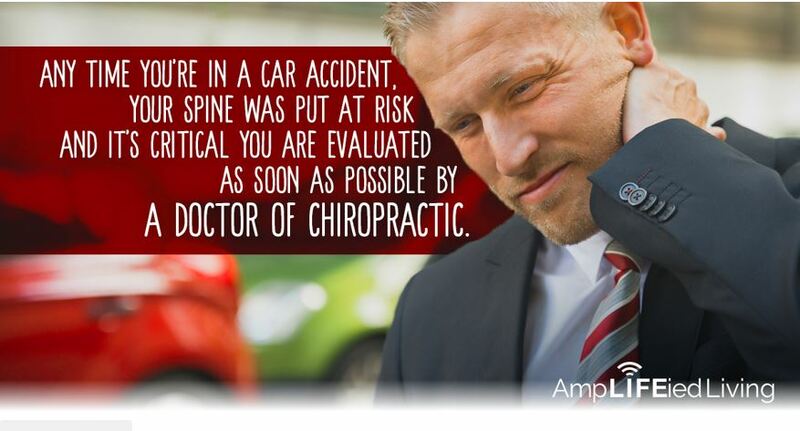 Call your chiropractic spine specialist today! 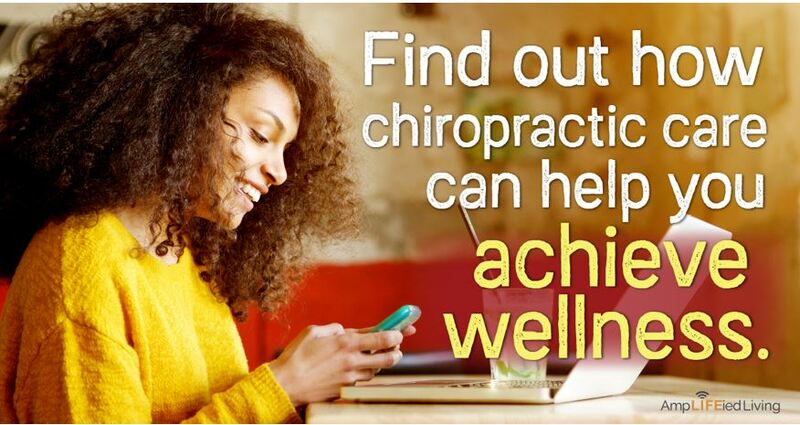 Take your health to the next level with regular chiropractic care. Walking is the best spinal exercise. It provides just enough stress on the spine to increase bone strength, yet will not cause joint destruction. 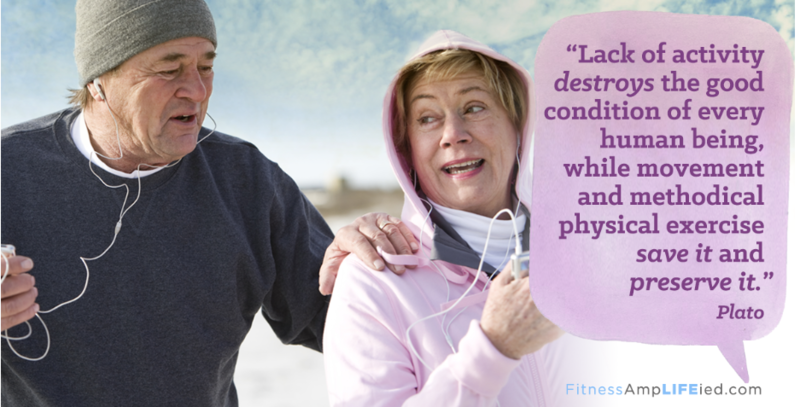 Walking also is the only exercise that will create a process called imbibition. Imbibition is a pumping effect on the spine that delivers the spinal discs critical nutrients & hydration to prevent disc degeneration. 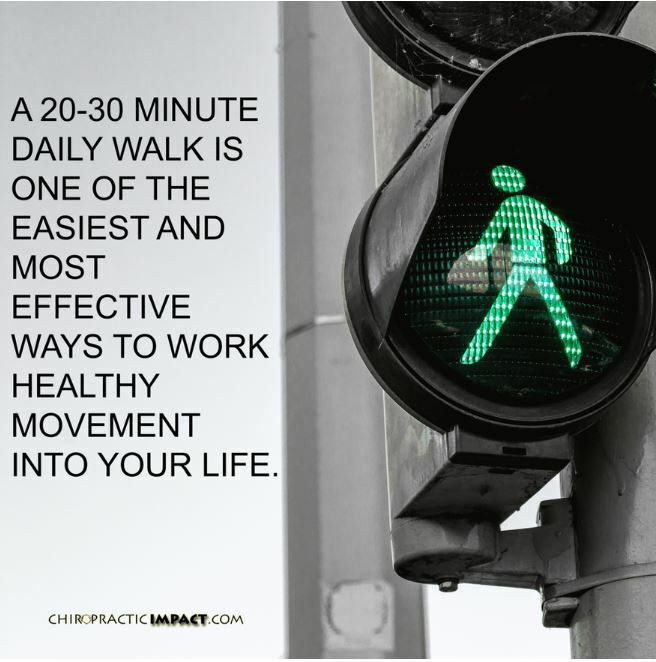 Walking is also easy, inexpensive and can be done everywhere. 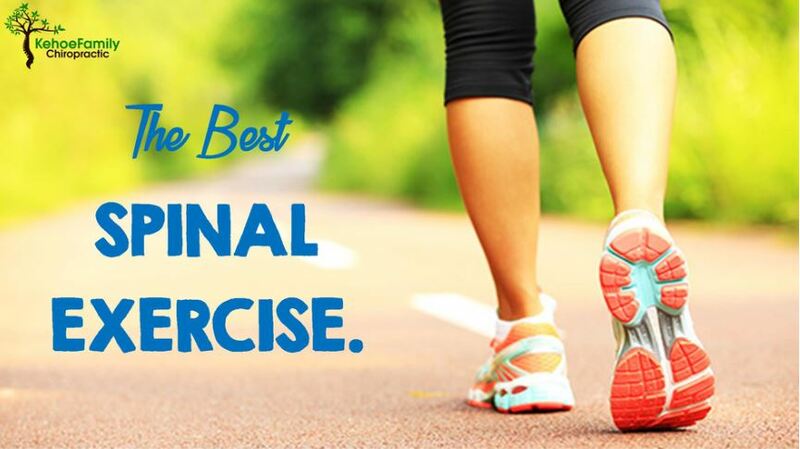 Go at your own pace and walk for better health! 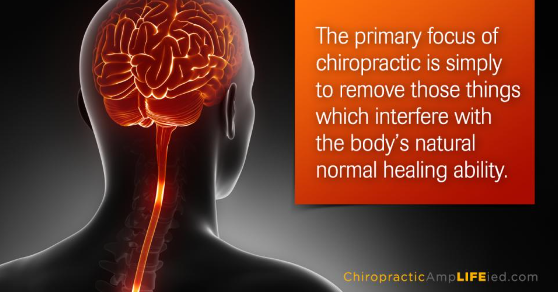 The primary focus of chiropractic is to remove those things which interfere with the body's natural normal healing ability. Remember when your mom told you that if you keep making that silly face it's going to get stuck in that position? Mom knew what she was talking about. 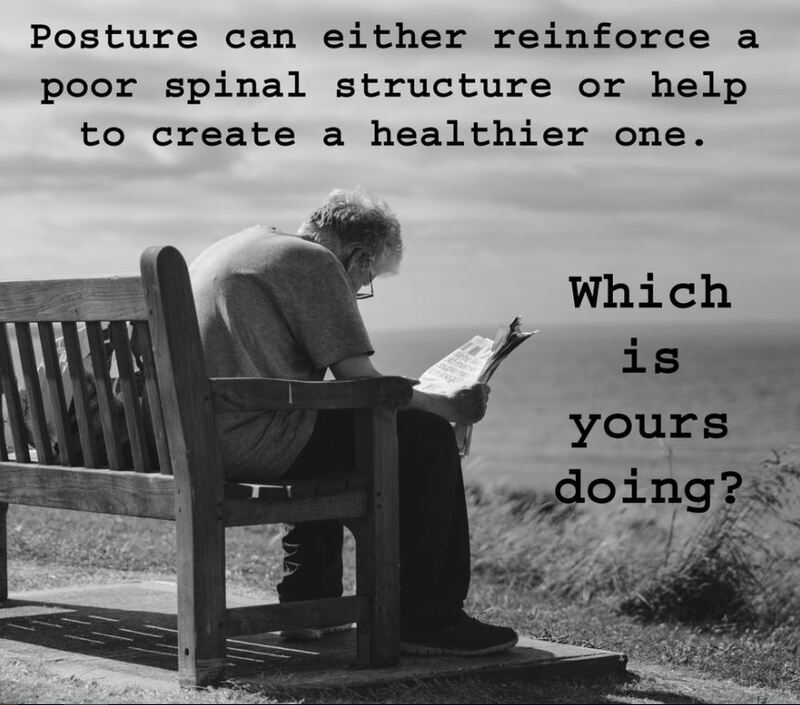 Your body's fascia and other connective tissue are great at conforming to repetitive postures. Keep putting your body in the same position and eventually it adapts. How you hold your body day to day is extremely important to your health. 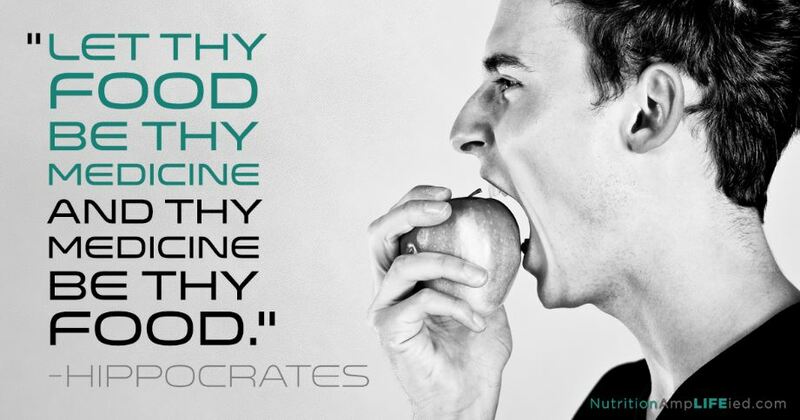 The foods you choose to eat and how much of them you eat will positively or negatively affect your health. You get to choose. There are a lot of diets out there ans sometimes it can get confusing on what we should really eat and how much. One thing for sure is you can never go wrong with vegetables, organic and in season are best. 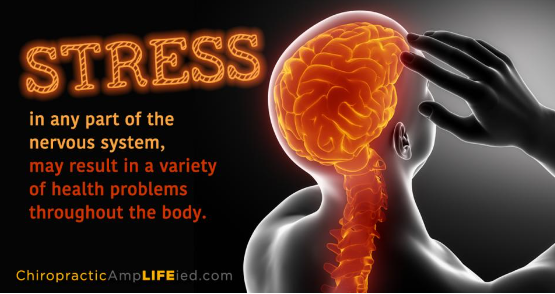 Stress in any part of the nervous system may result in a variety of health problems throughout the body. 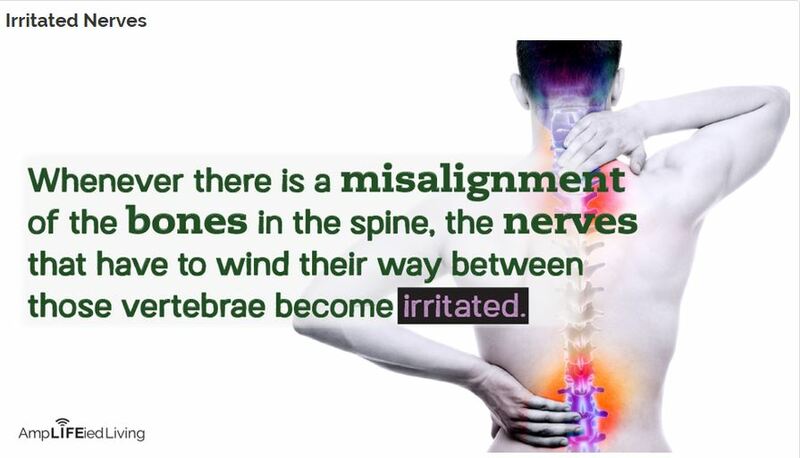 If there is misalignment of the spine, it can and will negatively affect the structure and function of other parts of your body. 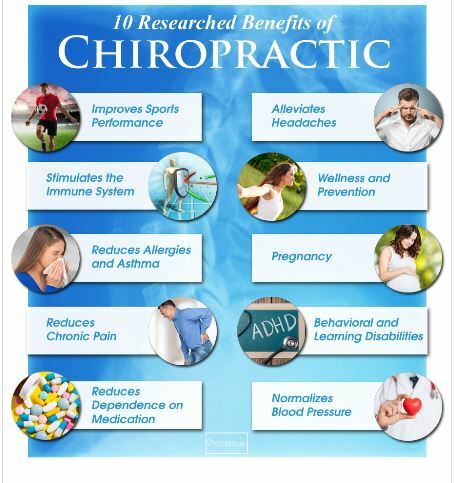 Chiropractic works to restore function of the body thereby relieving symptoms of pain and malfunction and restoring health. 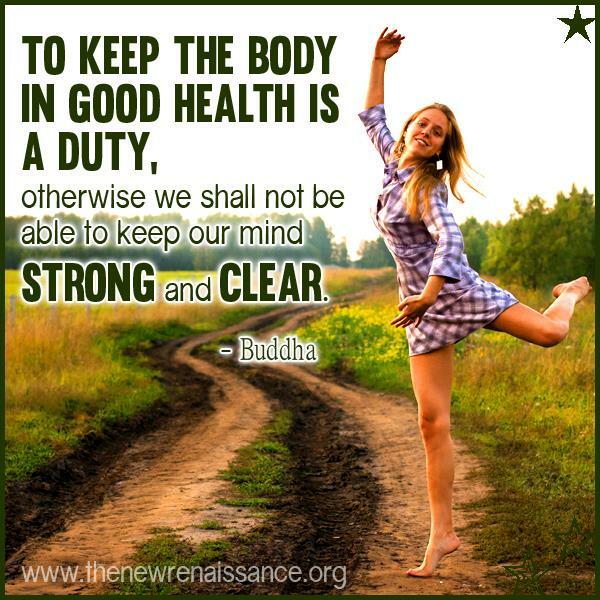 ​Our mind pays an integral role in our physical health. 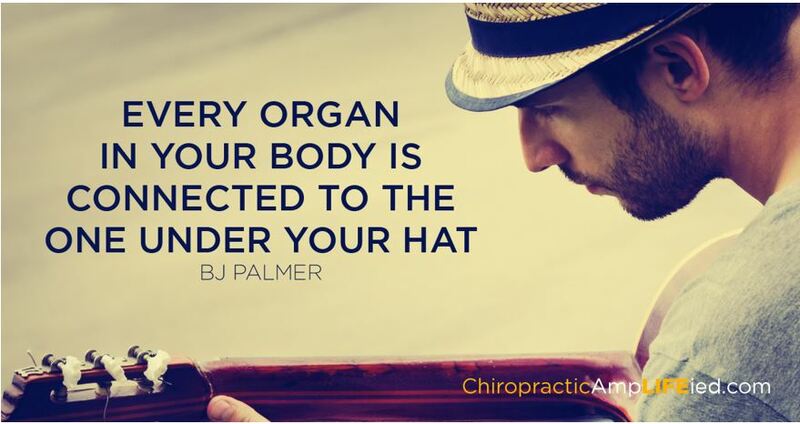 Keep your mind and body healthy with regular chiropractic care! 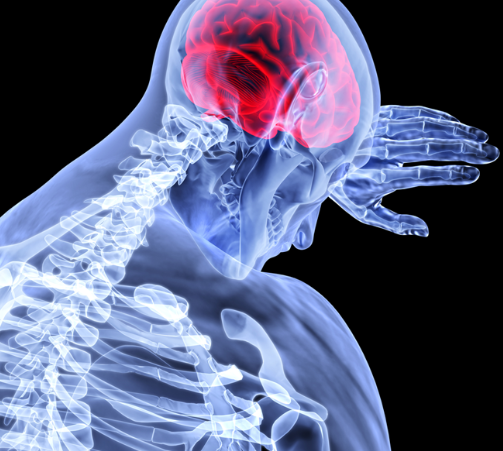 When messages can't travel from the body to the brain, the body can't effectively heal itself. 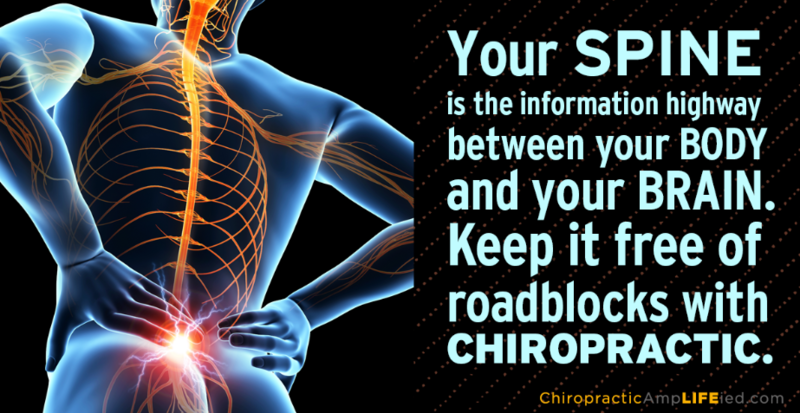 Keep the road clear with chiropractic. Warning health alert Pertussis in Tarrant County! I received this email from the Tarrant county public Health Office this morning as did every other doctor in the county. My question is how many doctors are able to truly see what is going on. There has been 95 cases of Pertussis in Tarrant county this year. A cluster of 31 cases recently broke out in the northwest part of the county close to my home. Of those cases, ONE was unimmunized, 26 were current or fully immunized with pertussis immunization and 4 were unknown. So what do they recommend to prevent further outbreak? Getting immunizations that were just proven not to work. This is what we are against. The facts are clear of all the cases only 1 child was not immunized the rest were immunized thus proving the immunizations are ineffective and don’t work. So why would I give my child or myself a known toxin with known side effects and has been proven to have minimal effectiveness at preventing the disease it was designed to prevent. When is the government going to look at the facts and realize the vaccines don’t work. If they came out and said there was 100 cases and 95 of them were unvaccinated kids we need to vaccinate those kids than I would be on board. Great lets vaccinate we have a proven treatment. However the opposite is true. Almost all of the kids getting sick were fully vaccinated, thus proving the vaccine does not work. Only a lunatic or someone who is driven by something besides health ie MONEY would recommend a treatment that has been proven not to work. As parents we have to stand up for our children and our rights and demand the facts about vaccines and there dangerous side effects rather than just blindly injecting our children with toxins. 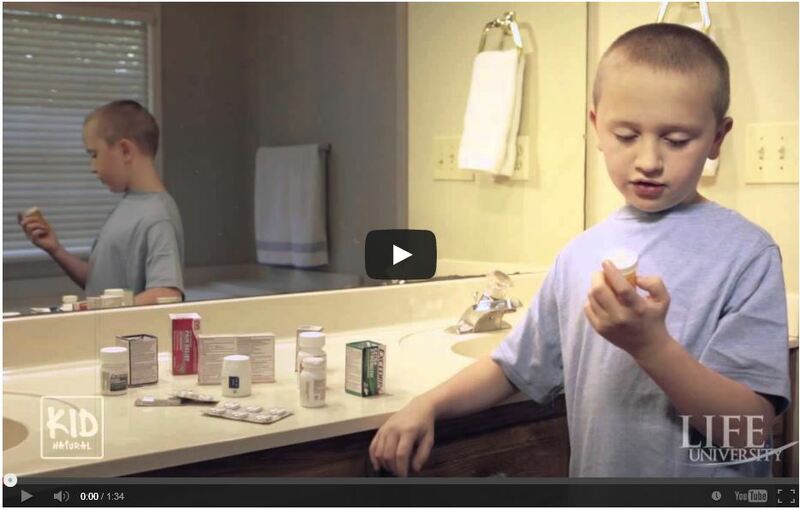 A great source for vaccine information is the National Vaccine Information Center. www.nvic.org Educate yourself and demand health freedom in your city, state and country. 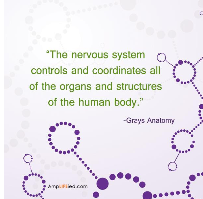 The brain and nervous system are the control system of the body. 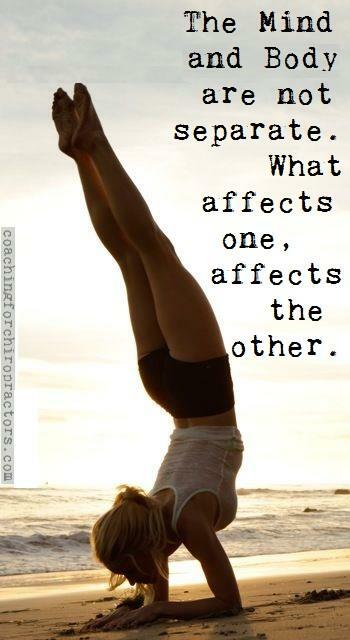 The spine can interfere with the control if it is not in alignment. 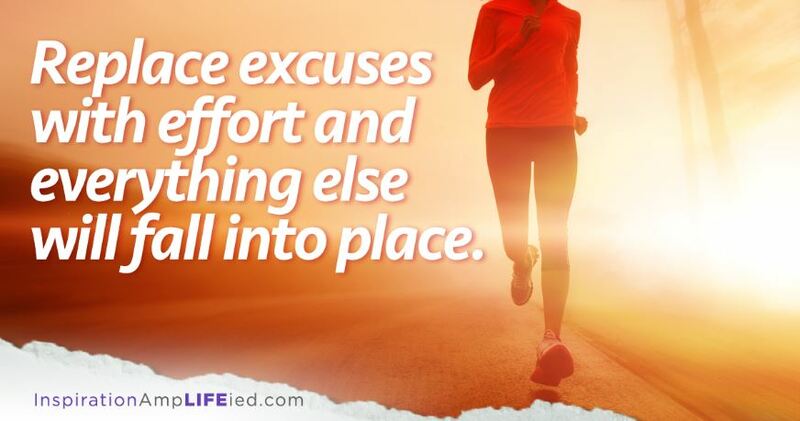 Are your excuses more important than your health? Accept responsibility and discover your true potential. 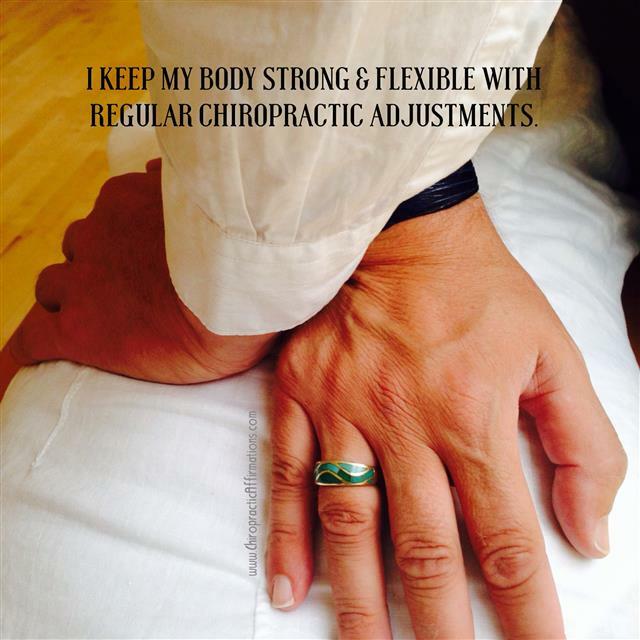 The human body craves alignment. The big payoff with good posture is that we feel healthier, have more energy, and move gracefully. 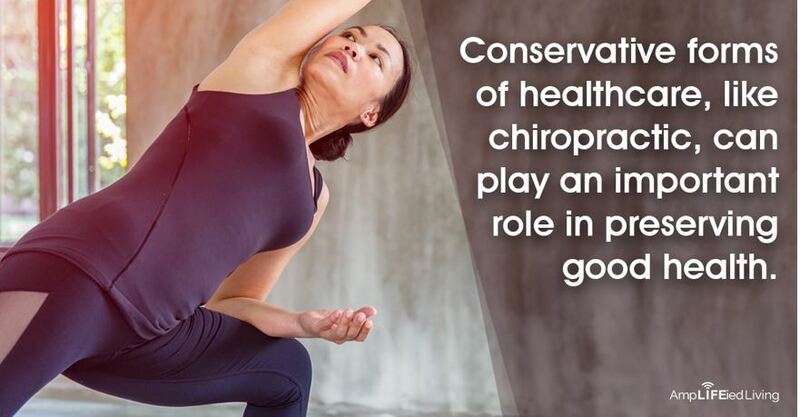 Chiropractic emphasizes improving the health of the individual in order to reduce the risk of pain and illness in the first place. The "Coke Is a Joke" infographic exposes the false weight loss and wellness claims of Coke in its diet soda line, which uses aspartame and other artificial sweeteners. 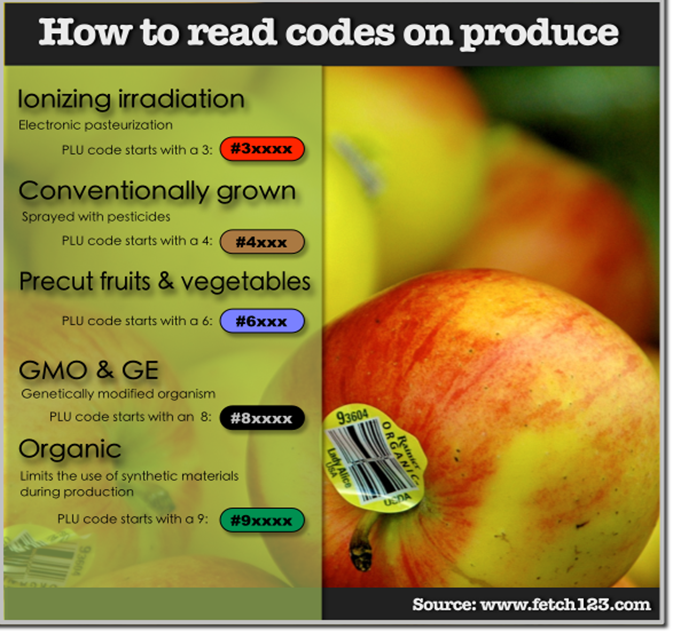 Use the embed code to share it on your website. Don't forget, tomorrow we are doing a lecture about " The Wellness Lifestyle" at 6PM! Remember to sign up at the office or give us a call at 817-310-0301. 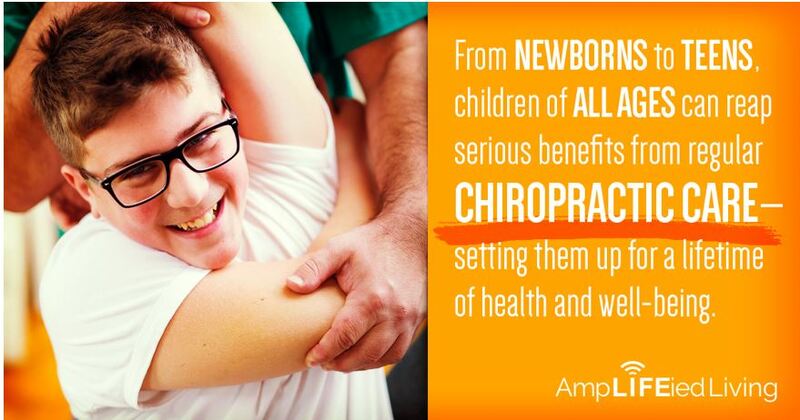 Did you know that children benefit from chiropractic care just as adults do! 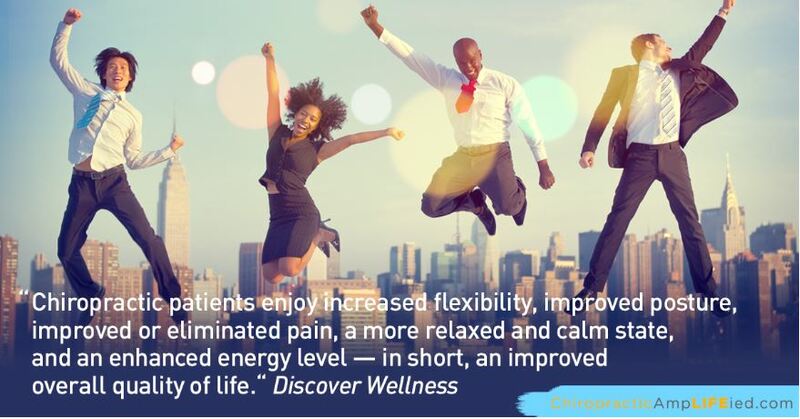 Chiropractic patients enjoy increased flexibility, improved posture, improved or eliminated pain, an enhanced energy level—in short, an improved overall quality of life. March 1, 2016: Chiropractic keeps your spine moving as it was designed. This in turn keeps your brain functioning as it should. Pretty important? You bet! February 18, 2016: Did you know?! 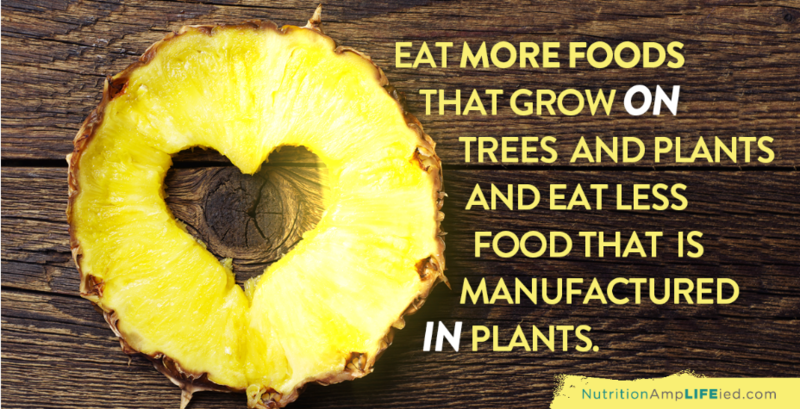 You don't have to eliminate your favorite foods. Enjoy them in moderation. 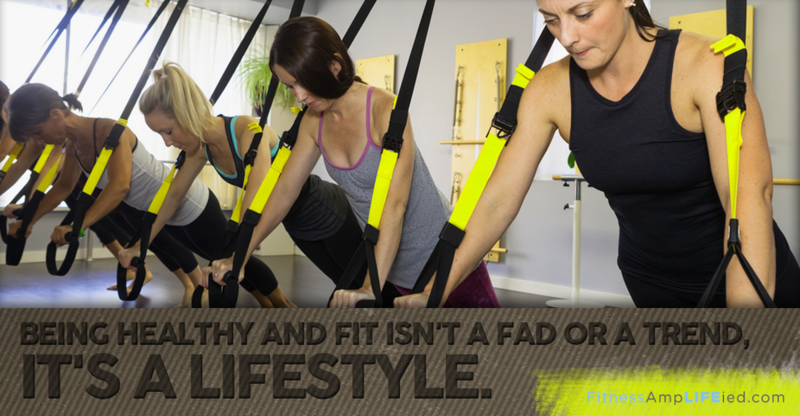 Getting healthy should never feel like a punishment. 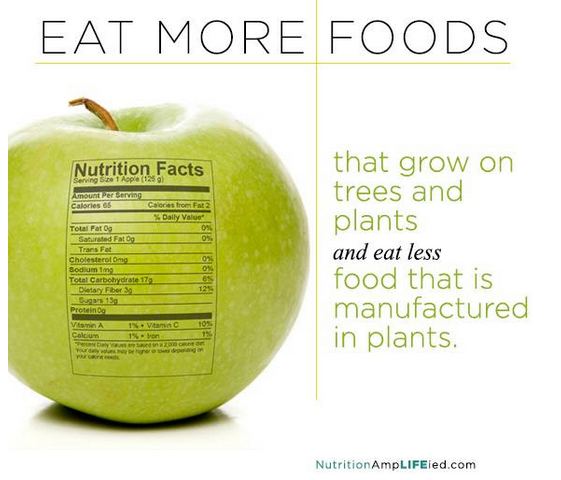 Need help getting your nutrition on track? 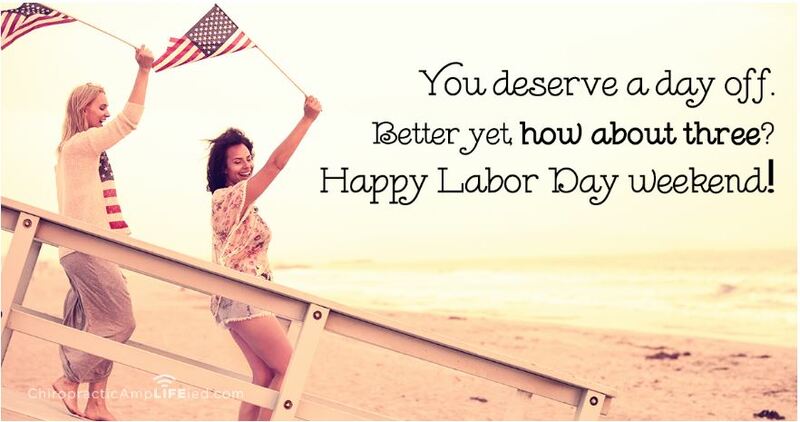 Call us today to schedule an appointment! 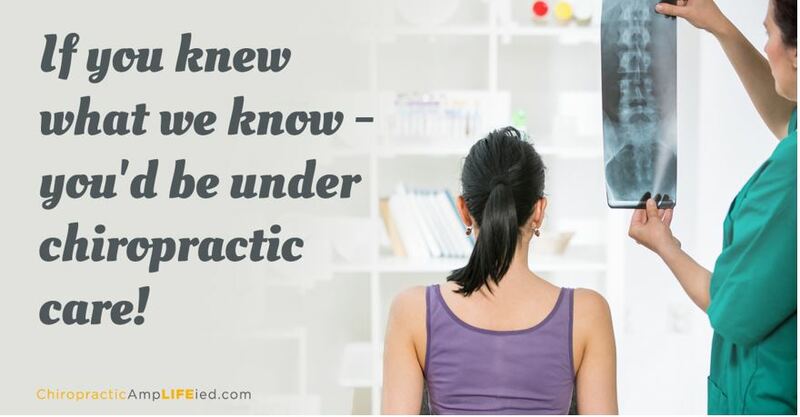 Chiropractors offer adjustments to improve spinal alignment and overall well-being before symptoms develop. 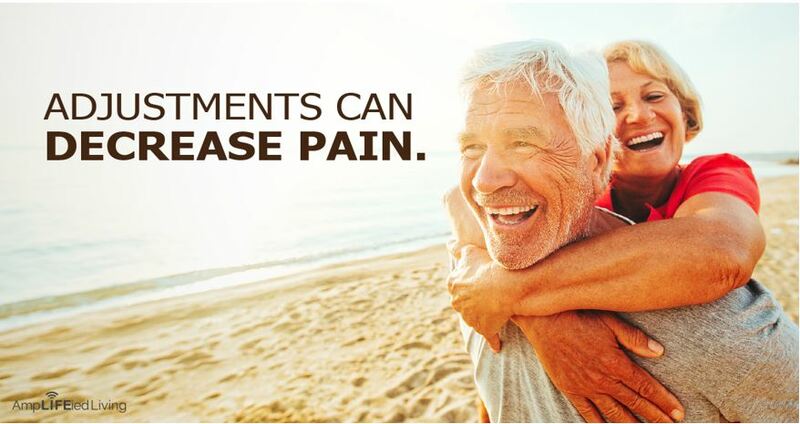 Call us today to schedule your next adjustment! 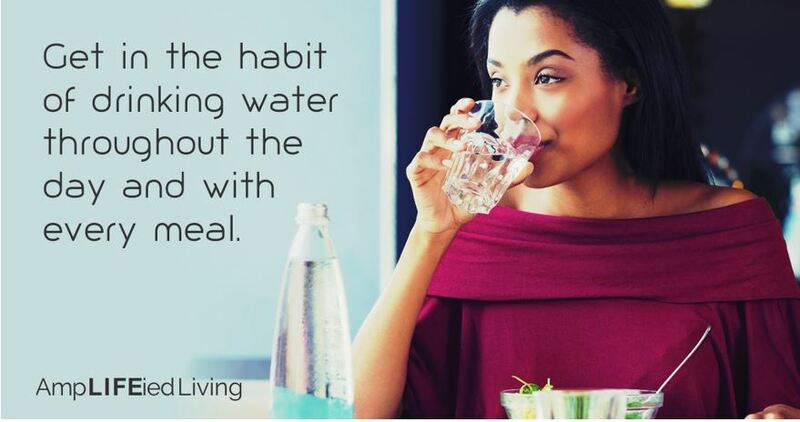 The simple choices we make everyday can be built into healthy habits. 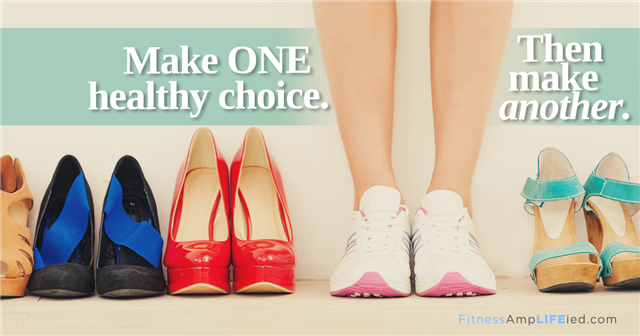 Make the choices that benefit your health and wellness. 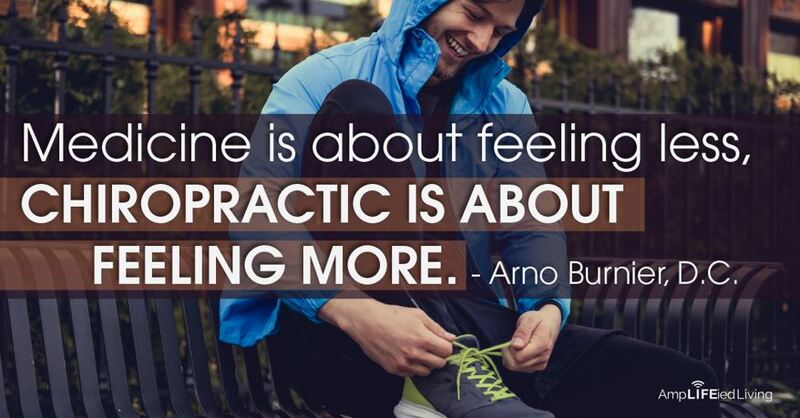 ​You don't have to be a professional athlete to benefit from regular chiropractic care! I wanted to blog about a patient who recently came to see us at our Grapevine wellness center. She came to us with complaints of constant dizziness, low back pain and neck pain. Her dizziness was so bad that when she closed her eyes she fell over. She felt sick all the time. We gave her a series of chiropractic adjustments and treatments to balance her neurology along with a special brain balancing exercise routine. Today we reexamined her and she has not had any dizziness for a week and her low back pain and neck pain are almost gone. She states that she didn't even know what it felt like to go through a day without feeling dizzy. 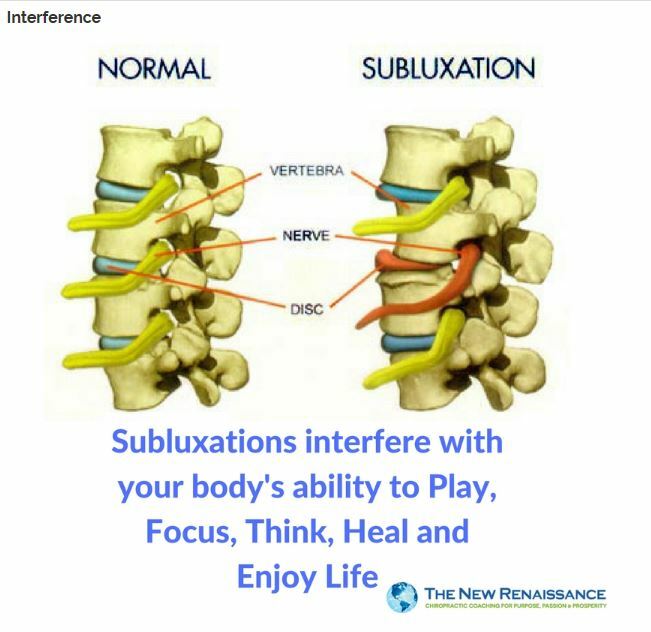 This is just one of the many examples of how Chiropractic is able to help remove interference from the body and allow you to heal naturally and regain your health and your life. 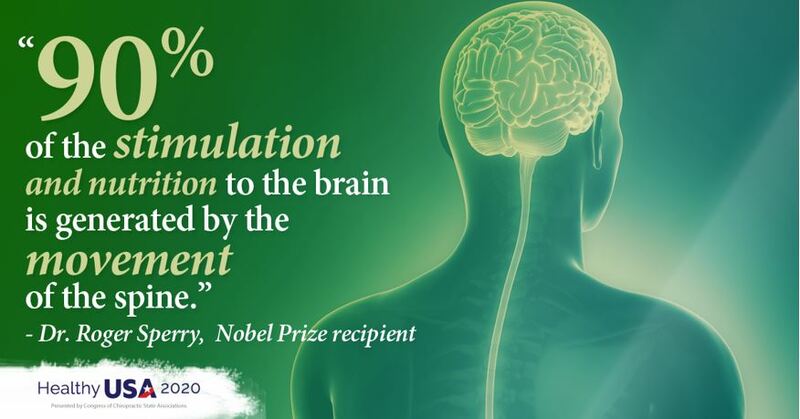 Any interference with the normal function of the nervous system will negatively affect your health and well-being. 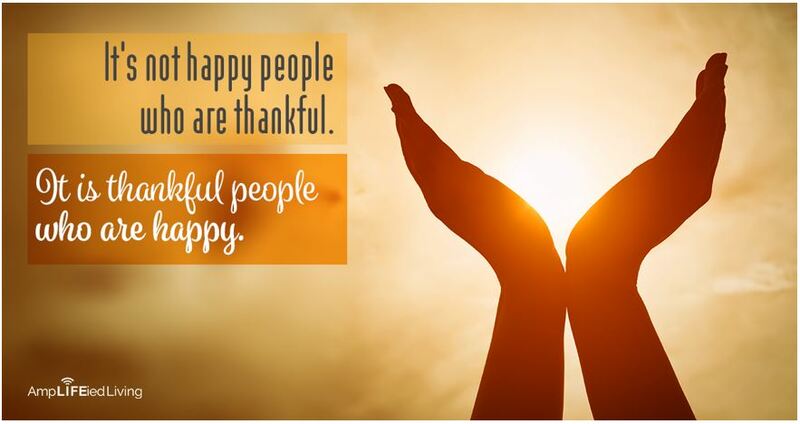 Chiropractor all over the world are ready to help your spine and nervous system during this busy holiday season. 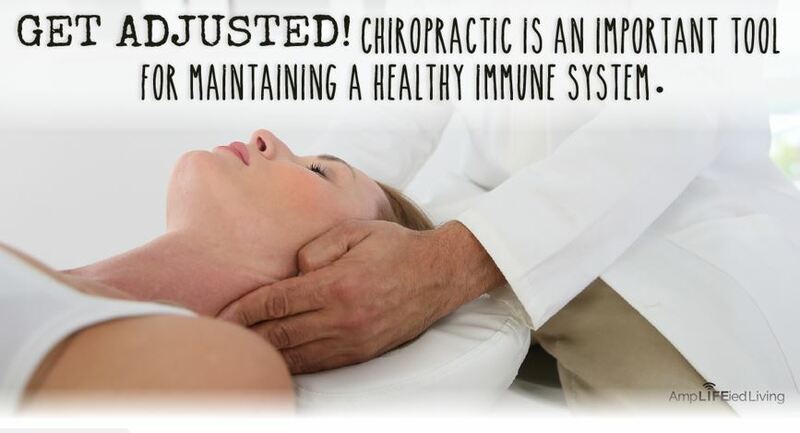 Chiropractic boosts your immune system and decreases stress! 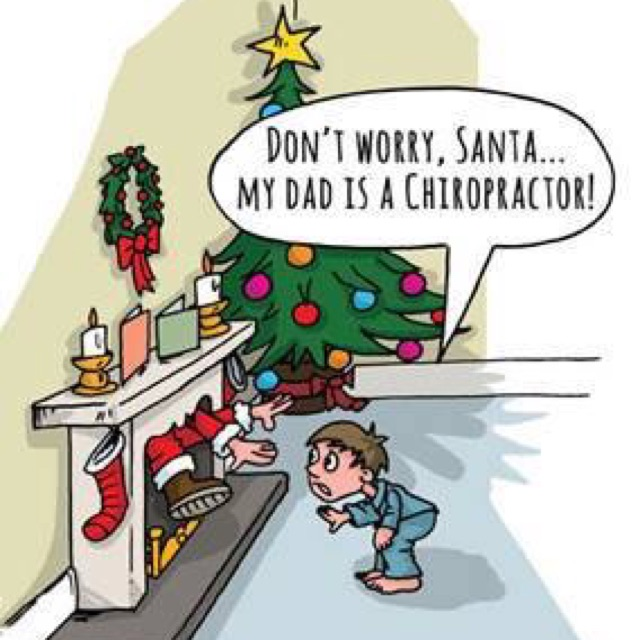 Even Santa needs a chiropractor! 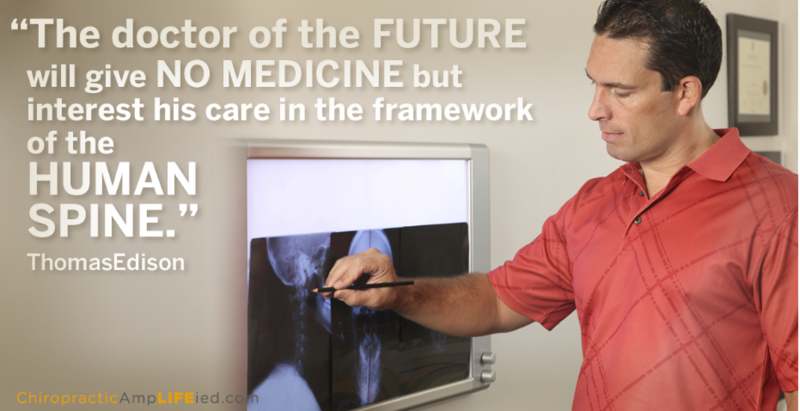 Shift to a more natural and body-respectful focus on wellness care by including regular chiropractic care. Holiday massage gift certificates are now available for only $45, that's a 30% savings! Pick yours up today and give the gift of relaxation this holiday season! At this important time of year when the holidays are upon us it is important to remember one of the most important gifts of all and that is the gift of health. Our own health is what allows us to be there in time of need for others. 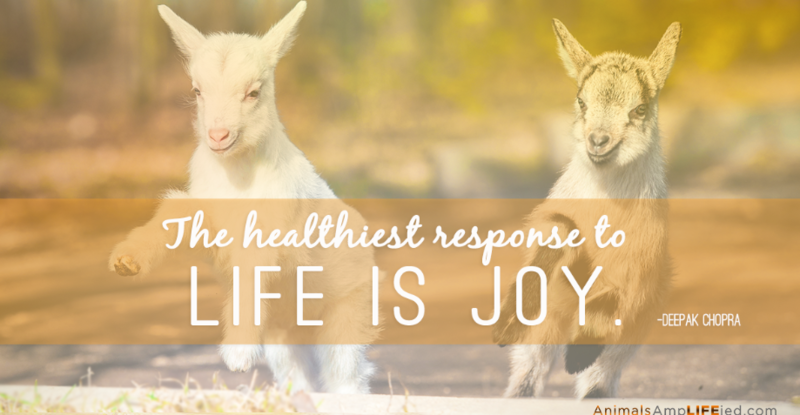 Our own health allows us to donate time to a good cause, and our own health provides us with strength to work every day so that we can give gifts and bring joy to the lives of others. 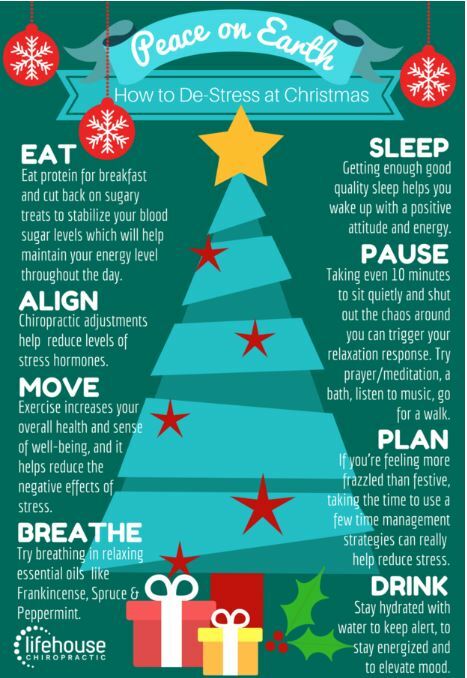 During the hustle and bustle of the holiday season don't forget to take time for yourself and your health and make sure to get your regular adjustments, exercise and eat healthy. 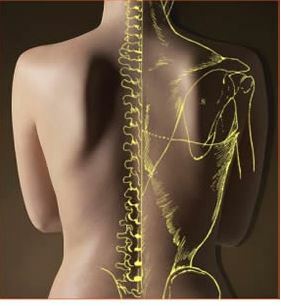 When your spine is not aligned, your muscles have to bear the extra load and will become tight, painful, and inflamed. 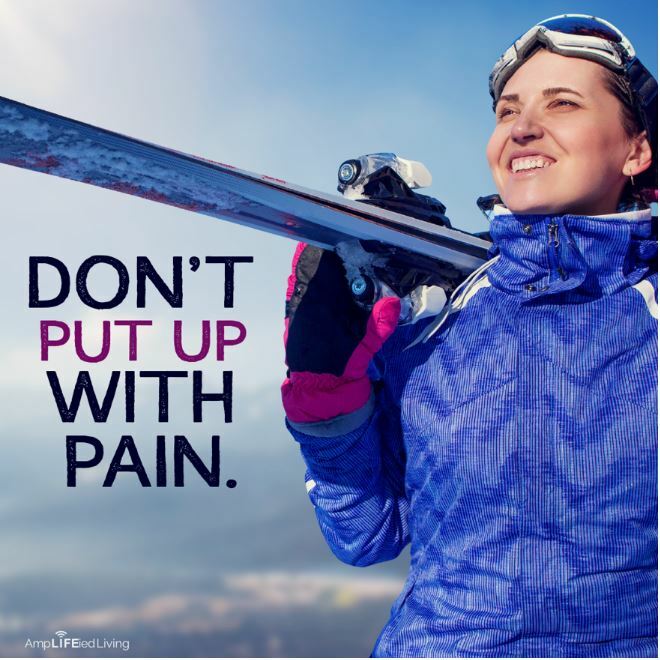 Don't cover your pain, have the cause adjusted. 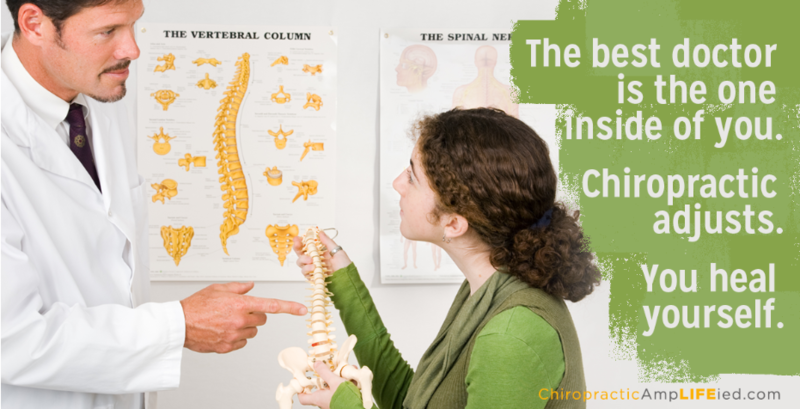 Chiropractors are covered by most health insurance. This makes it more affordable and often more convenient to take care of yourself in a natural holistic manner. 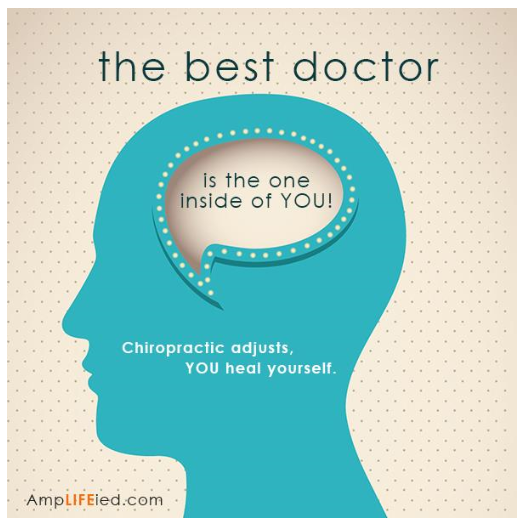 Chiropractic is amazing; it keeps your body functioning at an optimum level! 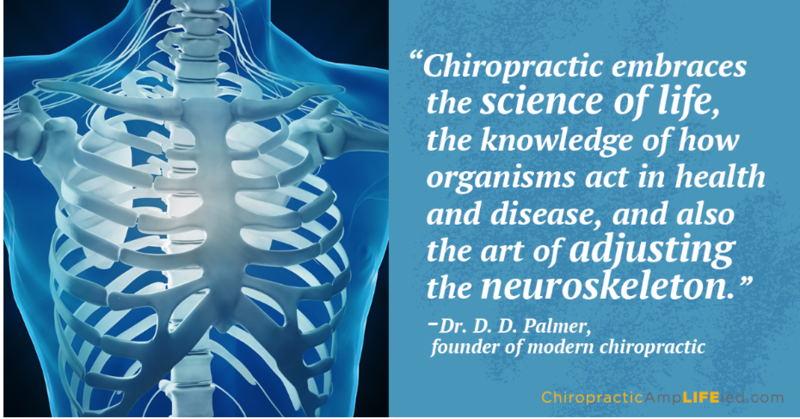 By specializing in the care of your spine, which includes knowledge of the bones, muscles, and spinal cord, chiropractors influence the system that runs all other systems of your body! 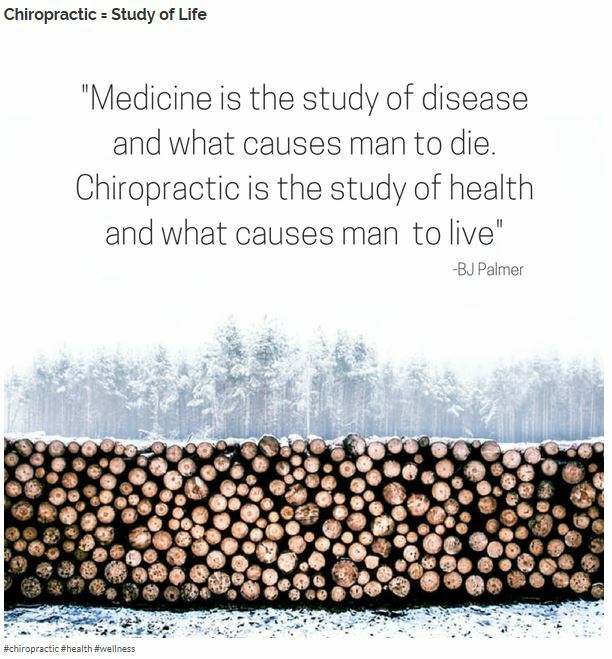 If you'd like to be healthy and avoid illness, chiropractic will help you achieve and maintain optimal health proactively! Do your insurance benefits end in December? 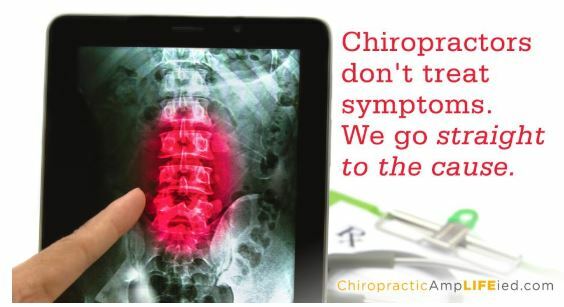 Don't delay use them before you loose them to achieve better health though chiropractic. 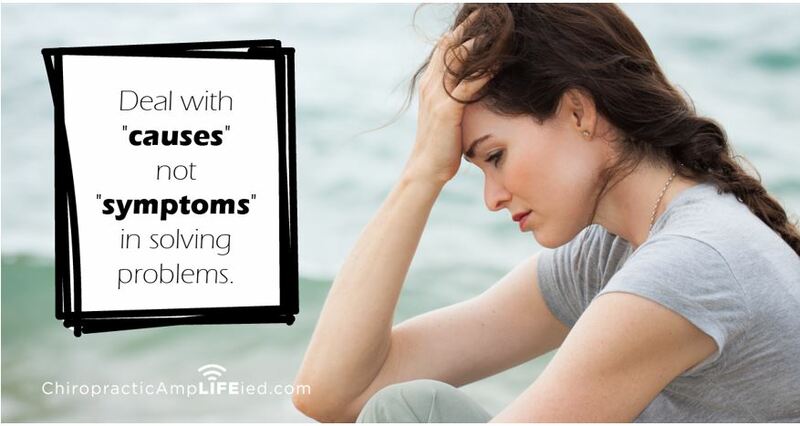 Others treat symptoms. We correct causes! Chiropractors are focused on providing great wellness care to people who are seeking to improve their health and well-being and live their very best life. 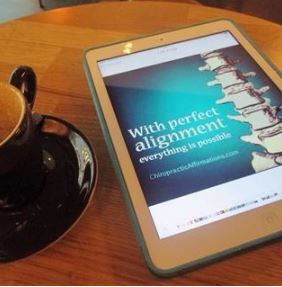 If there is misalignment of the spine, it can and will negatively affect the structure and function of other parts of your body. 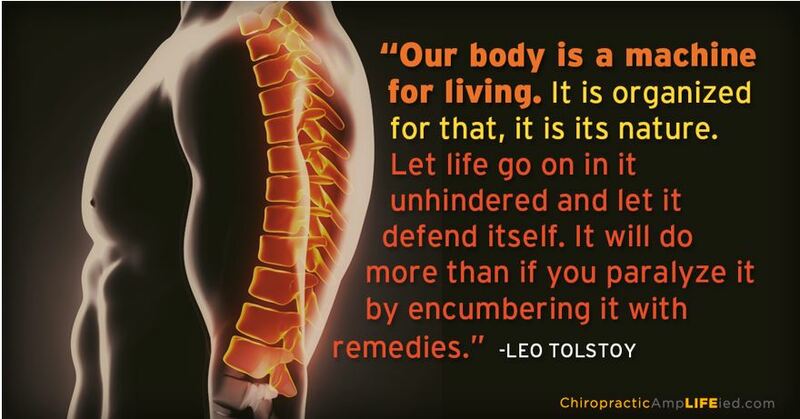 Enjoy life without interference with chiropractic! 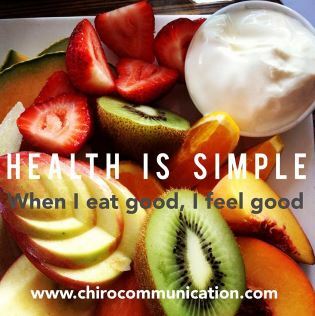 ​Your body cannot be healthy unless the connection between the brains and organs, tissues, and muscles is kept free of interference. 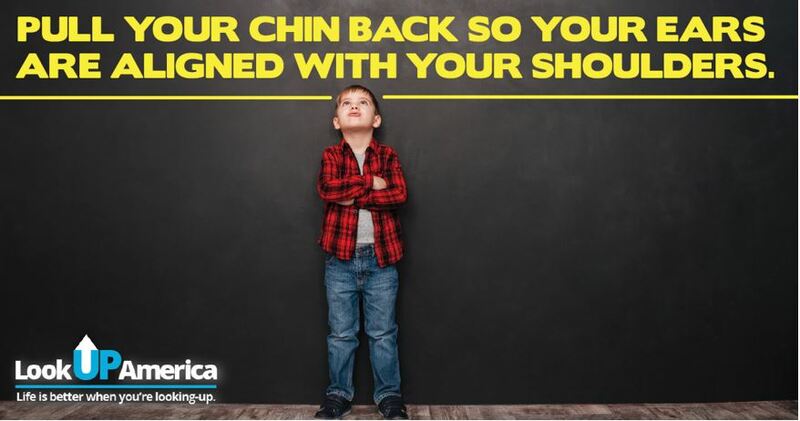 Have your had your childs' posture checked by your chiropractor yet? 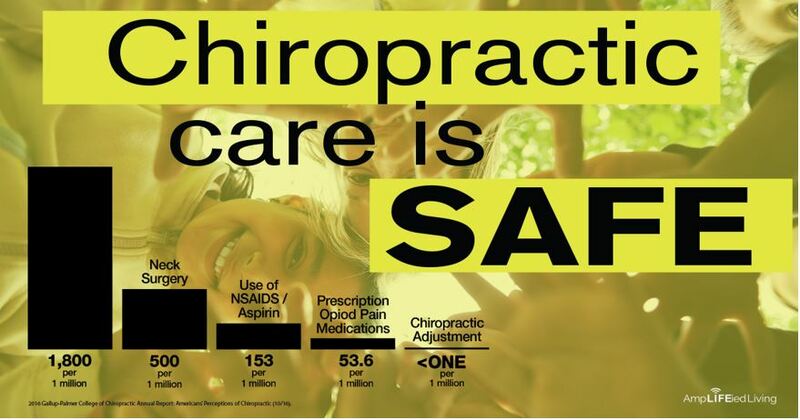 A study indicates that chiropractic patients have well over a 90% satisfaction rating. 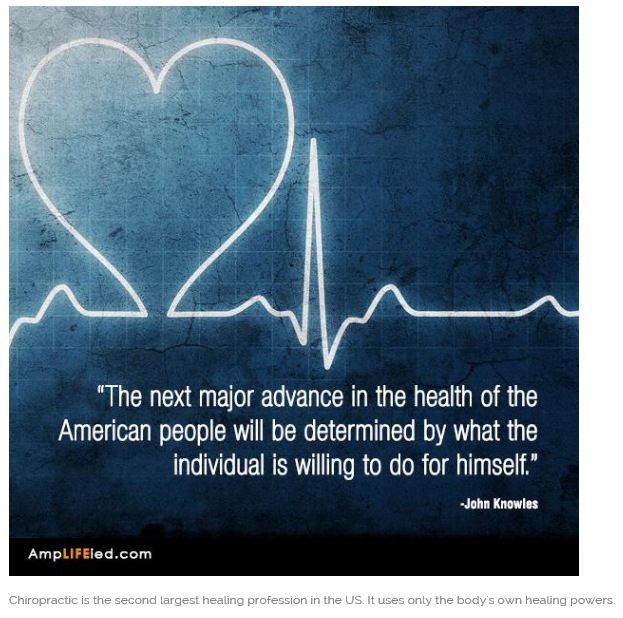 While 58 to 62% of Australians saw a chiropractic doctor only 38% of Americans have do so. 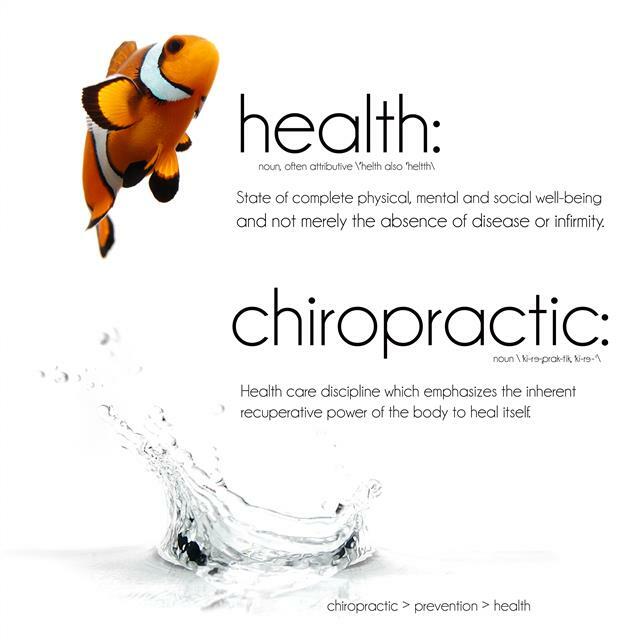 96% of chiropractic patients said chiropractic was beneficial for their overall health and well being. 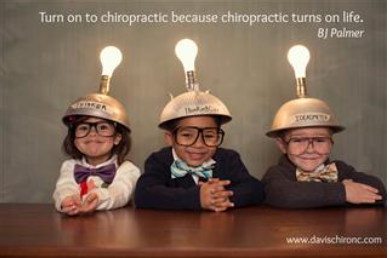 91% of patients said chiropractors helped them take more responsibility for their personal health. 97% of patients said they would seek chiropractic care again. Thank you to all our patients who participated in patient appreciation week. Congratulations to our winners of the raffle give away; Laura, Brindan, Jacqueline, Kay, Juliana, Beverly, Trisha, Heather. Don't forget to pick up your prize on your next visit. This toddler loves coming to receive his adjustments. A spine that's in line leads to happy healthy play time. Take it from our experts. Injury prevention is real. 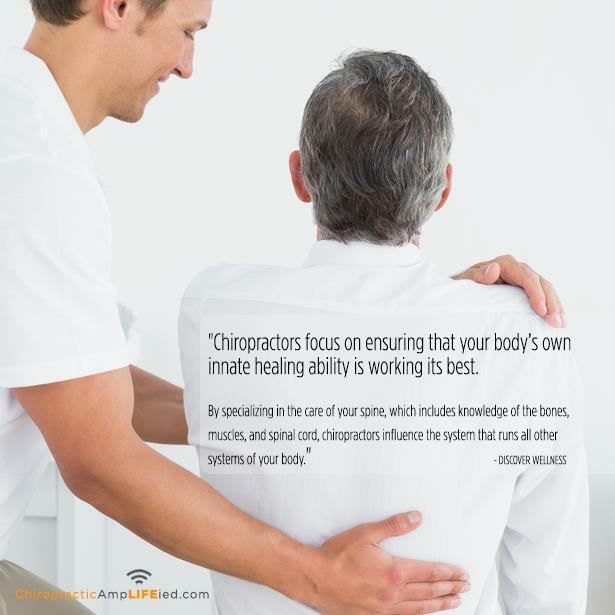 The focus of chiropractic care is to remove any physiological blocks to the proper expression of the body’s innate wisdom. 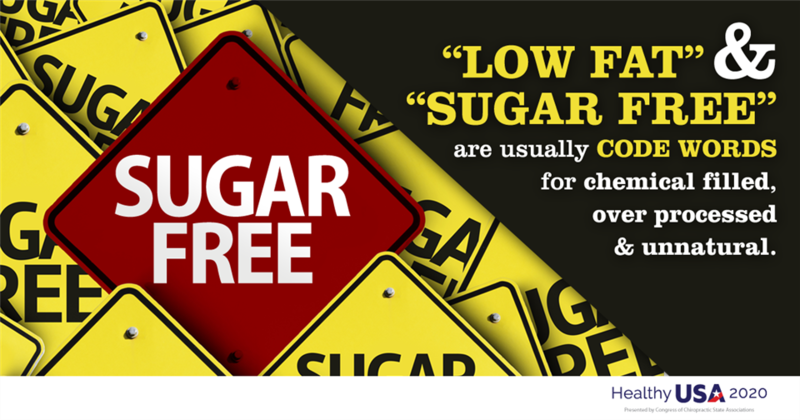 Once these interferences are reduced, improved health is the natural consequence. Who wouldn't want that? 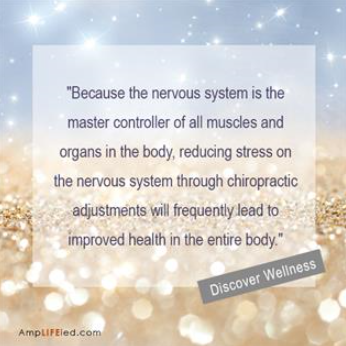 Because the nervous system is the master controller of all muscles and organs in the body, reducing stress on the nervous system through chiropractic adjustments will frequently lead to improved health in the entire body. 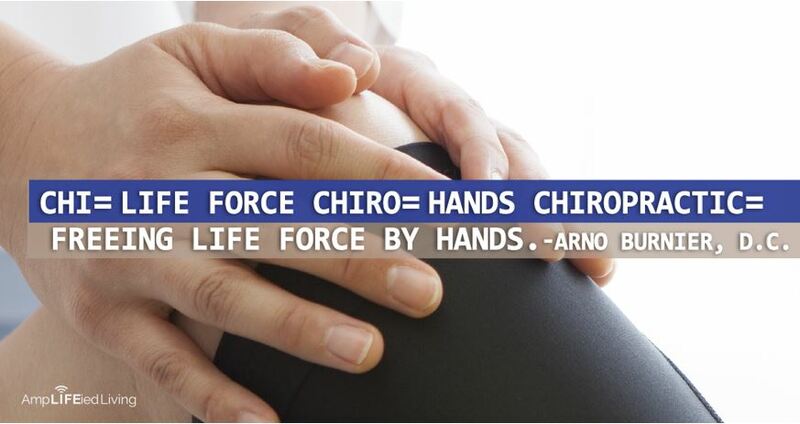 Chiropractic is so much more than simply a means of relieving pain. 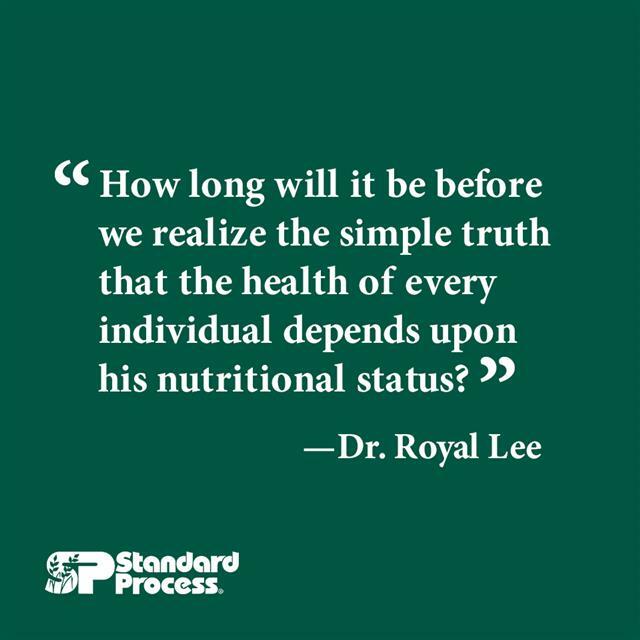 Ultimately, the goal of receiving adjustments should be to restore the body to its natural state of optimal health. 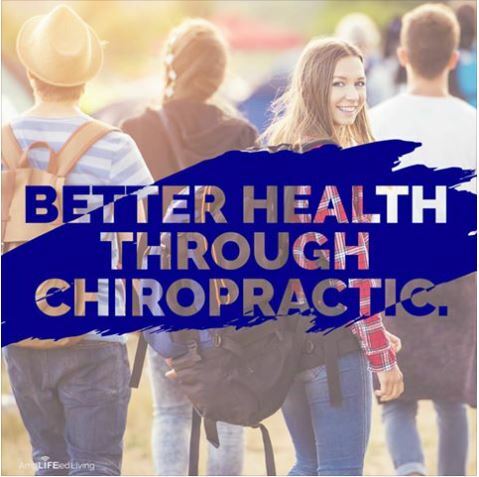 Unlike conventional medicine which focuses on attempting to treat disease once it occurs, chiropractic emphasizes improving the health of the individual in order to reduce the risk of pain and illness in the first place. 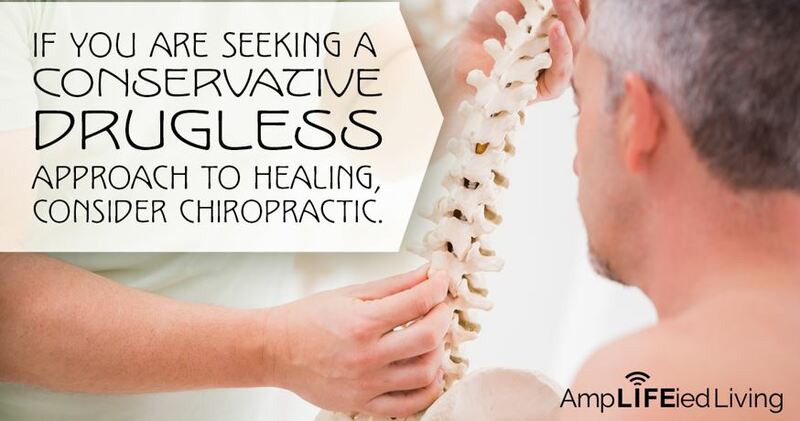 Do you know someone who would benefit from chiropractic? Of course you do, so pass this on! 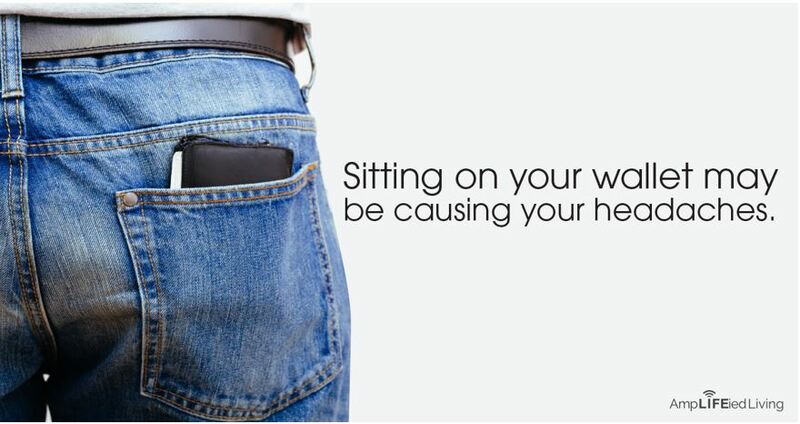 Sitting for long periods of time can be hazardous to your health. Your body was meant for movement! 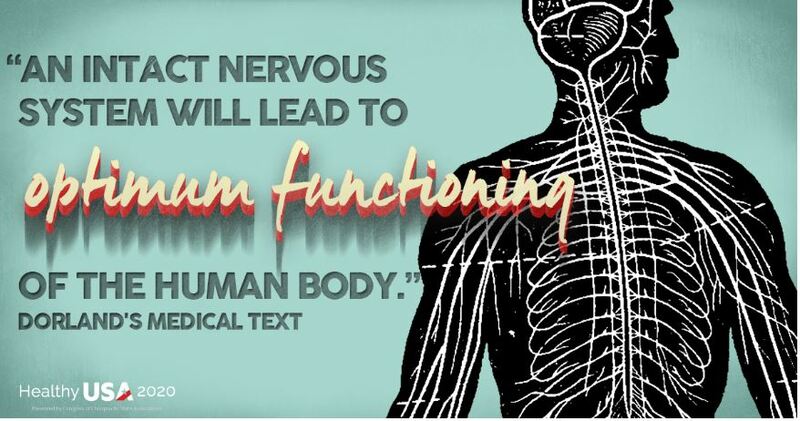 Your nervous system controls every function in your body. 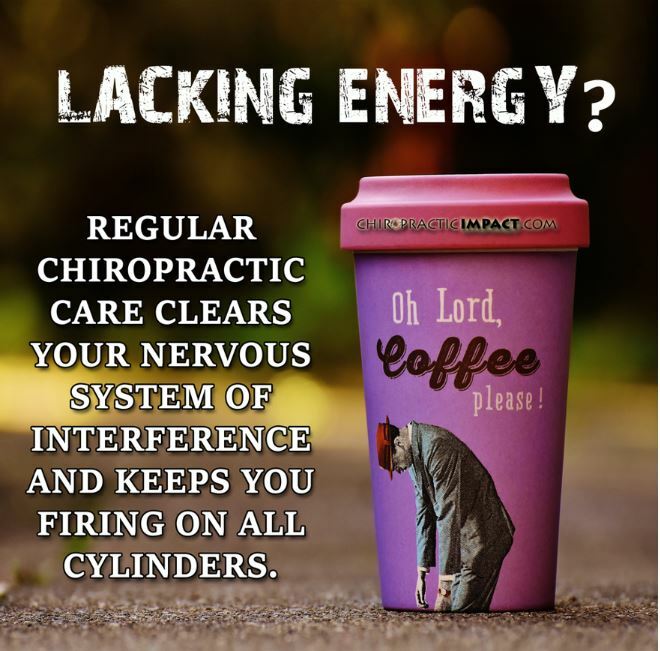 Remove interference with regular chiropractic care. Time is needed to effect a change in the spine. 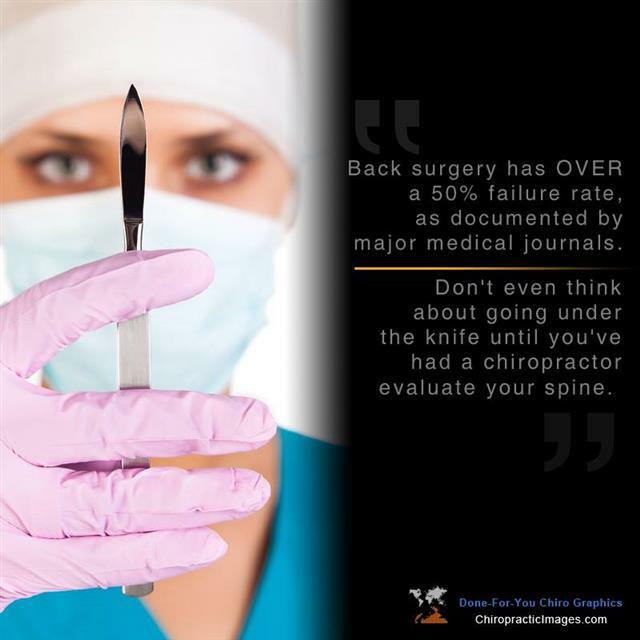 Give us the time to retrain your spine. Listen to your body. 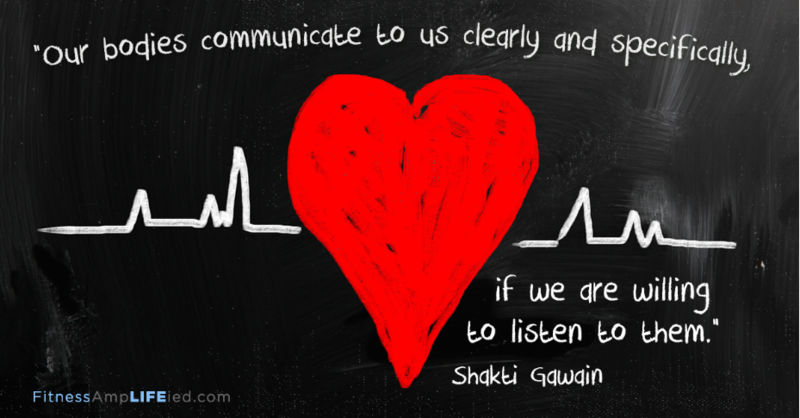 It is always communicating with you. 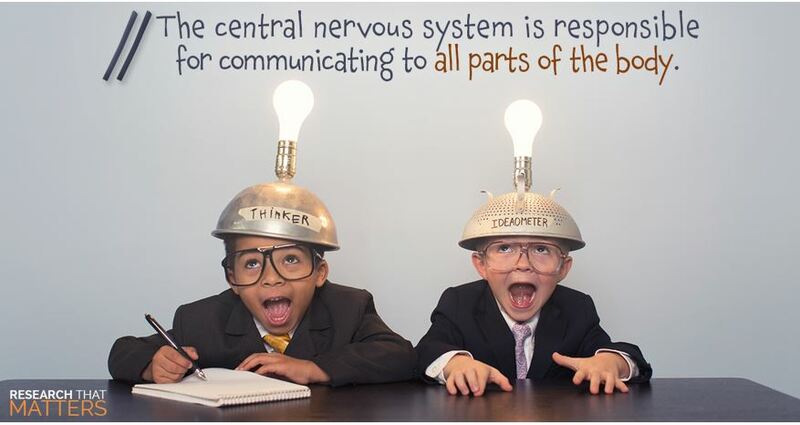 Your central nervous system coordinates and controls every organ, tissue and cell in your body. That's why regular chiropractic care is so important. 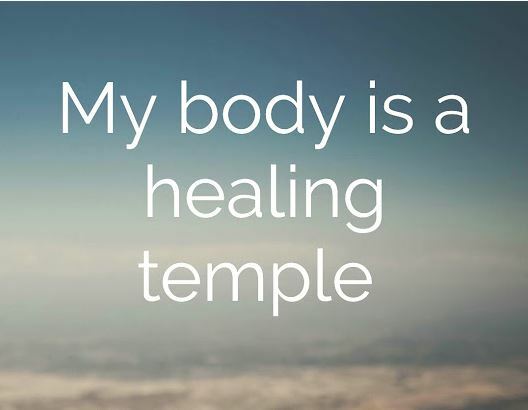 The body heals from the inside out and from the top down. 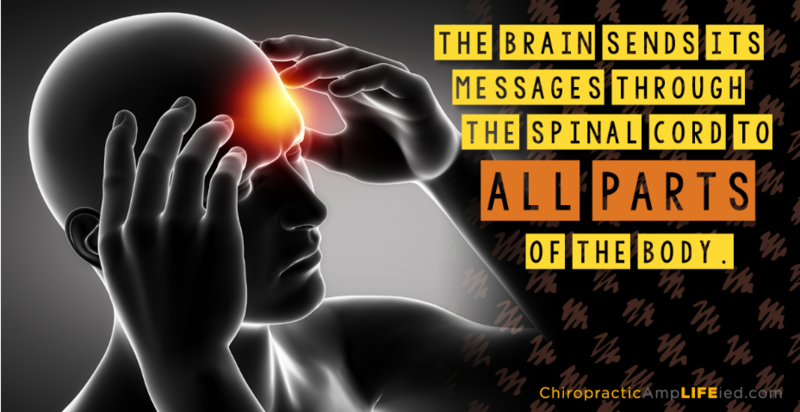 Chiropractic keeps the lines of communication from the brain to the body free and clear. 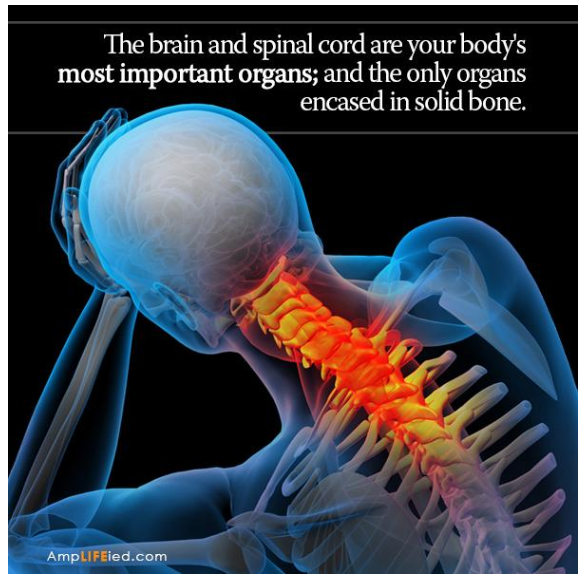 The brain and spinal cord are your body's most important organs; and the only organs encased in solid bone. Take it from the experts. 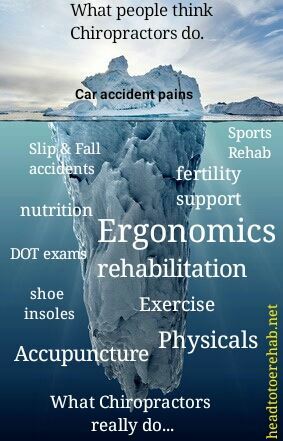 injury prevention is real. Proper nervous system function is essential for good health. 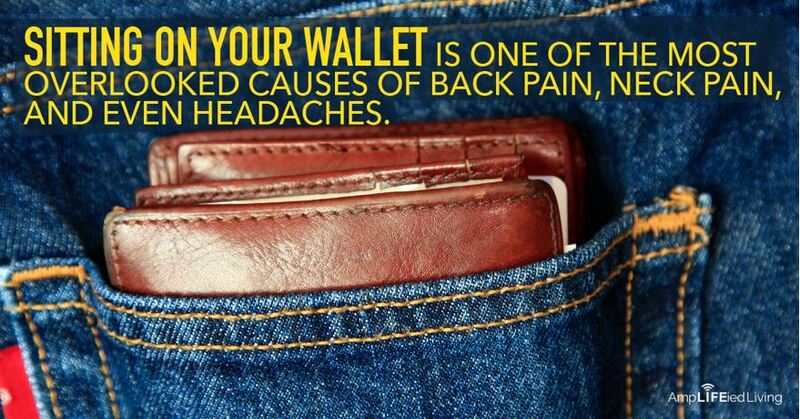 Get back in line with chiropractic. Innate knows more in one second than you can ever know." 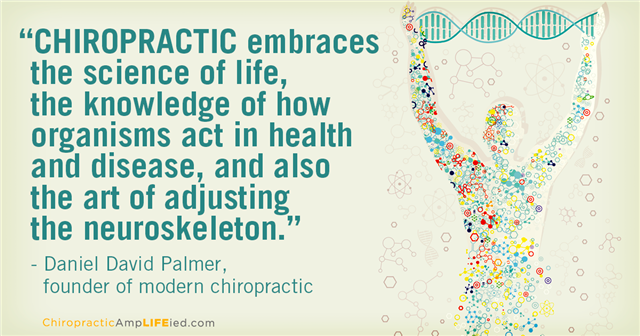 If you're interested in embracing wellness, get to know chiropractic! 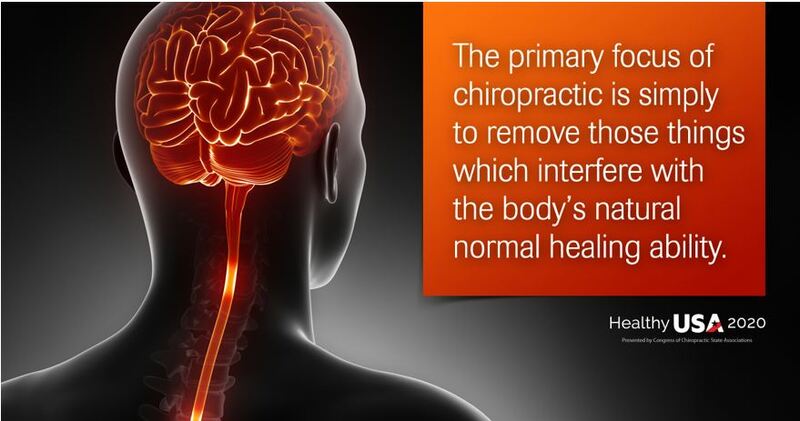 The primary focus of chiropractic is simply to remove those things which interfere with the body’s natural normal healing ability. Be the person that makes everybody feel like a somebody. 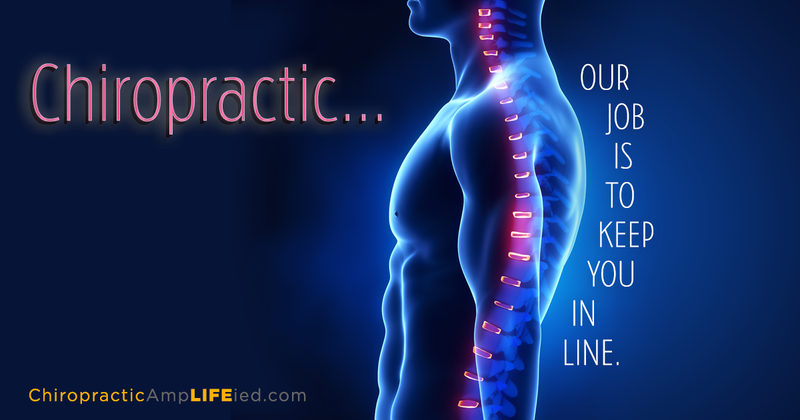 The spine can interfere with the innate control of your body if it's not in alignment. 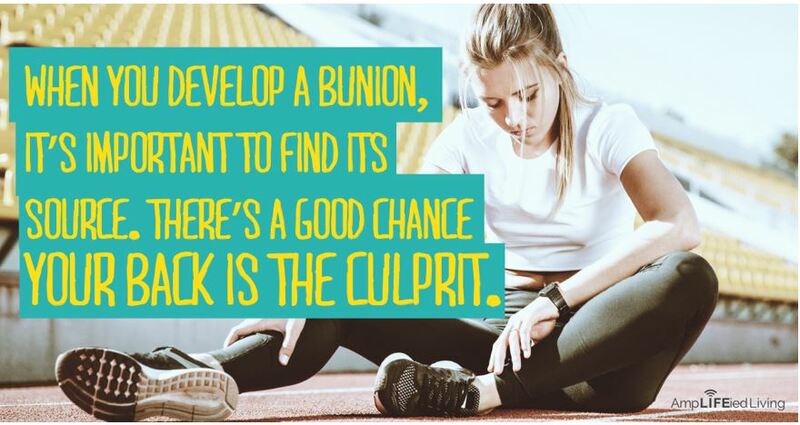 Get checked for subluxations today. "You don't have to cook fancy or complicated masterpieces, just good food from fresh ingredients. 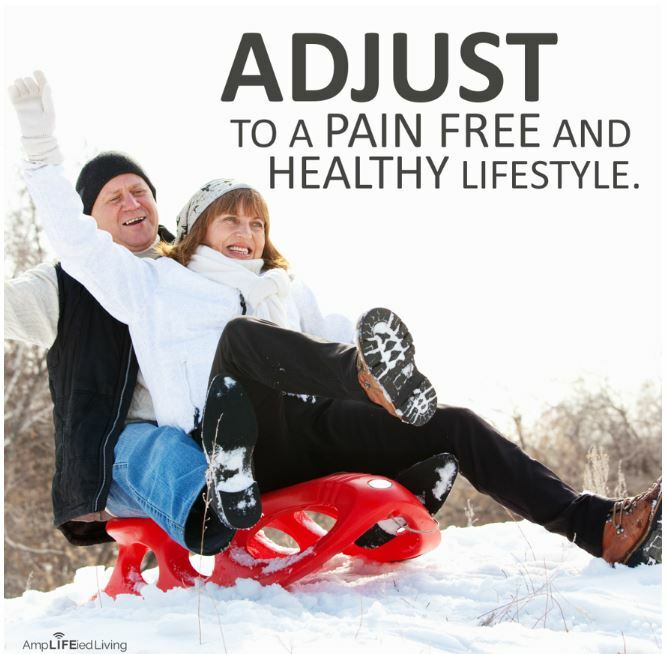 When was your last adjustment? Get checked today! 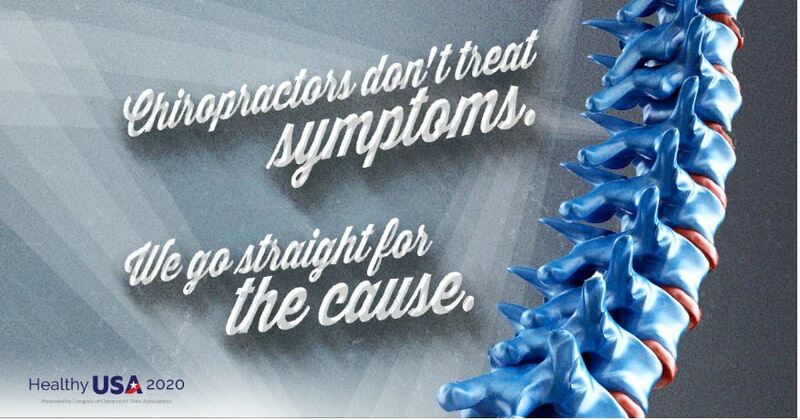 Why deal with symptoms when you can go straight to the cause with chiropractic. Stay healthy, be active, and have a positive outlook. 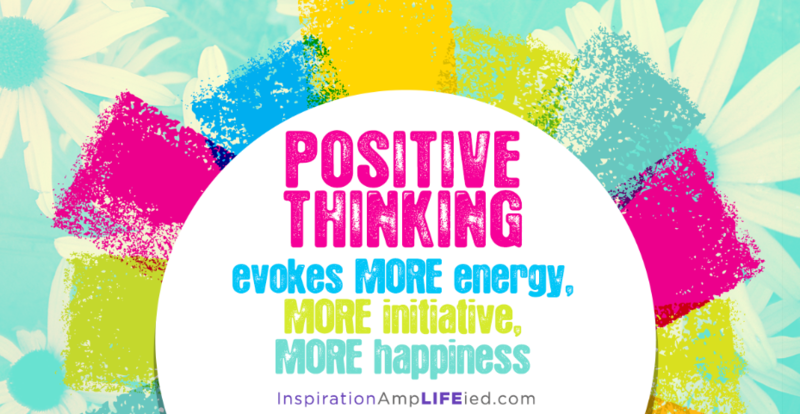 Think positive and positive things will happen. Mother nature is putting on her own fireworks show - enjoy nutritious, vitamin packed, local fresh fruit. 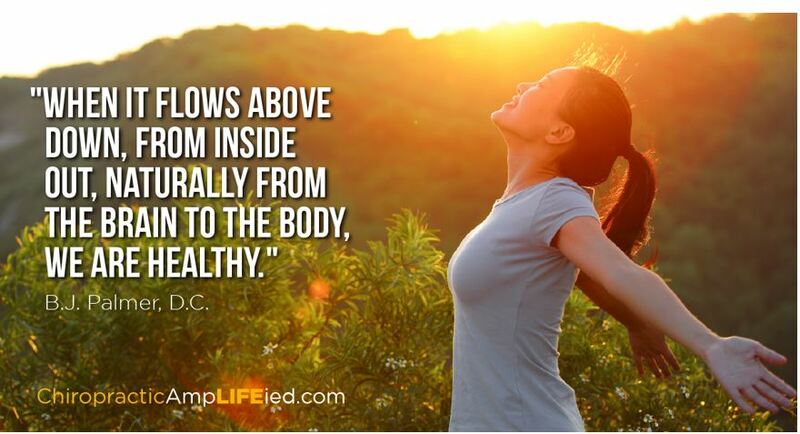 The body heals from the inside out and from the top down. 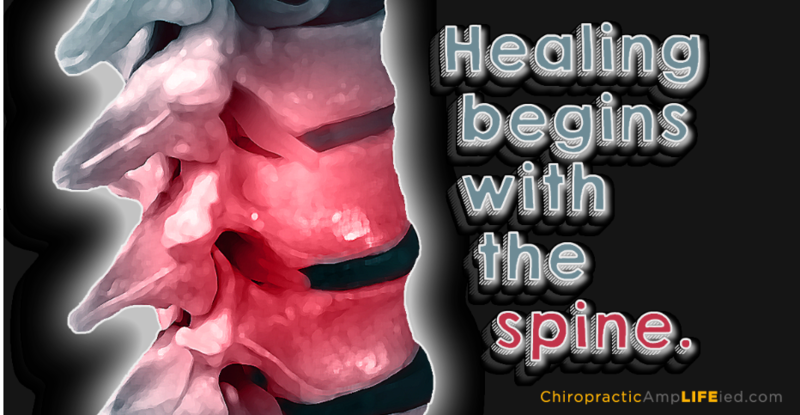 A healthy spine is the key to a healthy life. 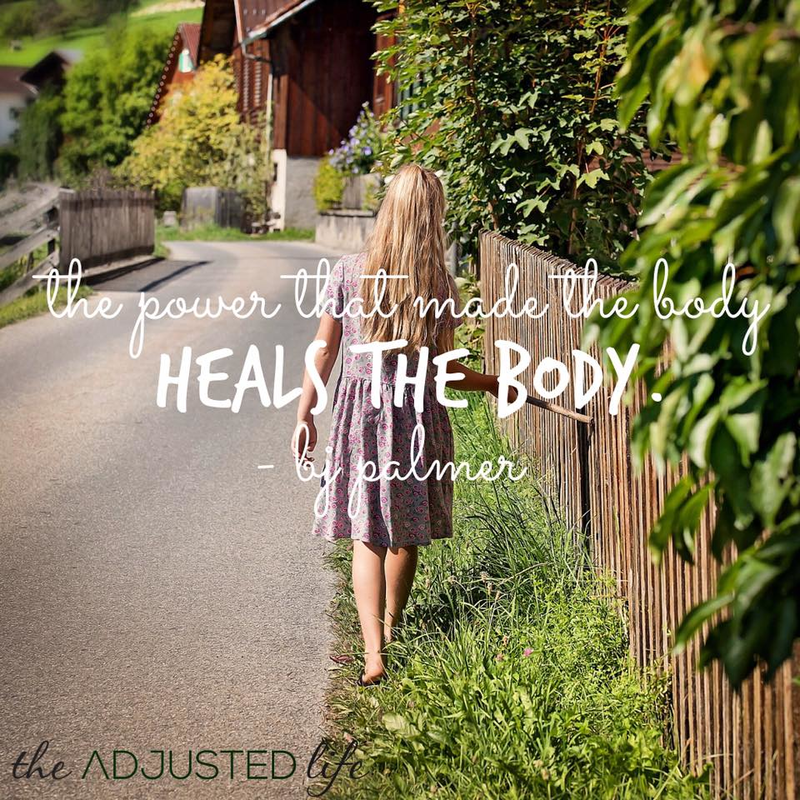 The power that made the body can also heal it. Chiropractic just clears the path. 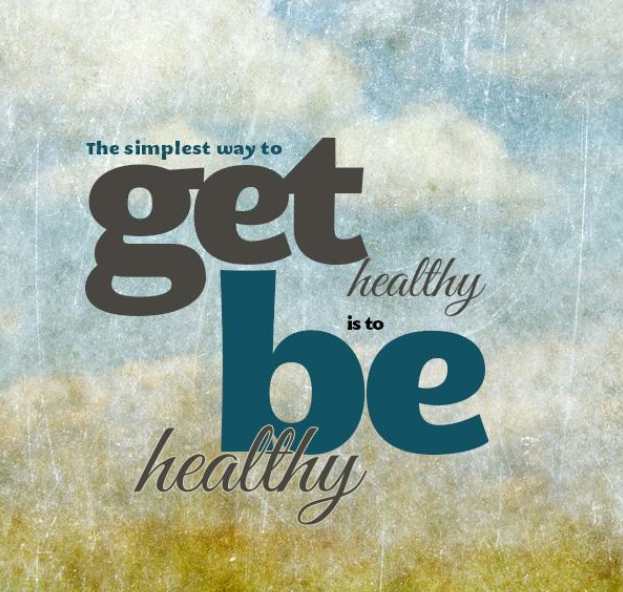 Make healthy living your lifestyle - something you can't live without. 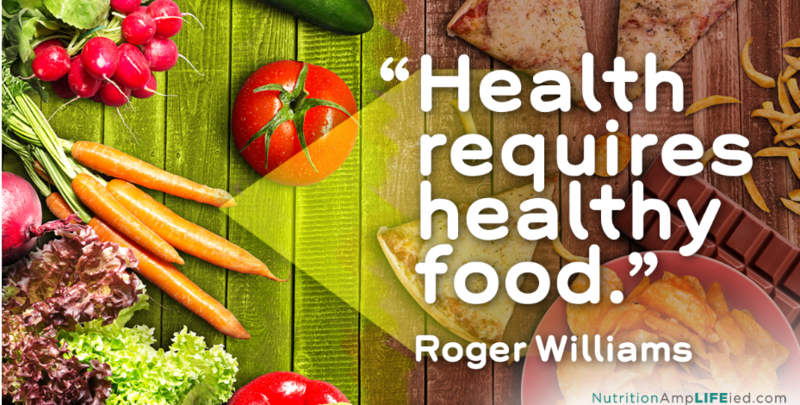 There is no better time than now to start living healthy. 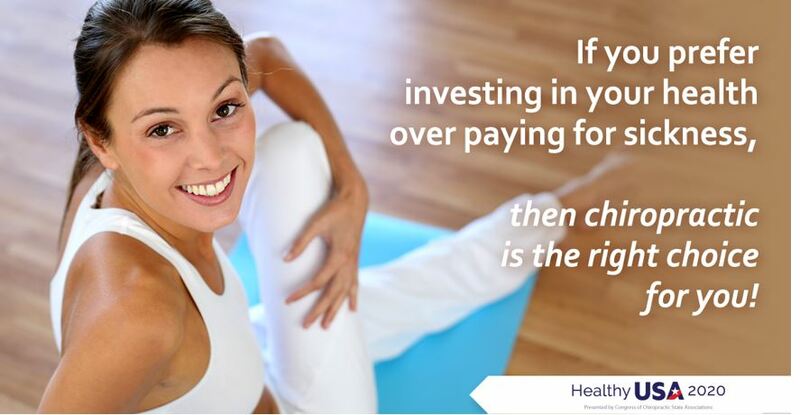 Your health is an investment, not an expense. Don't Eat Less Eat Right. 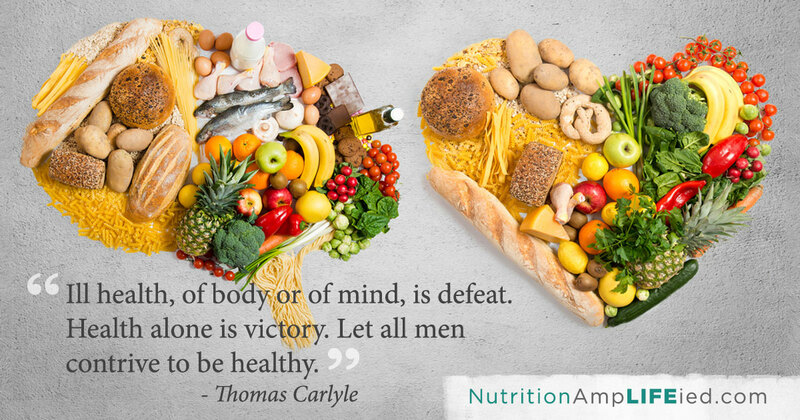 Nutrition is key to good health. 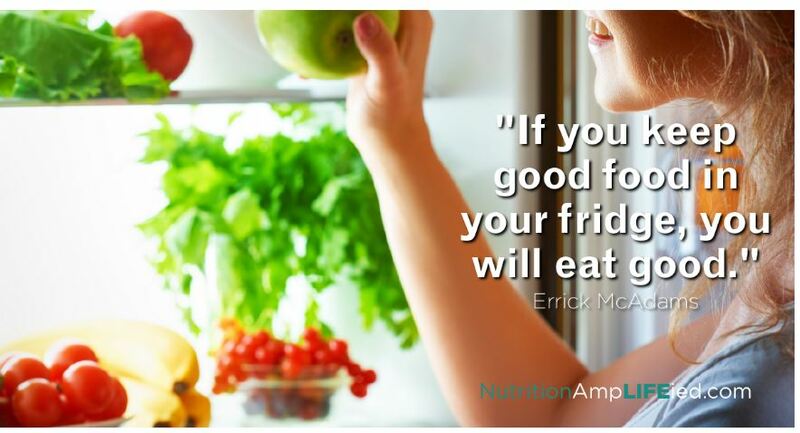 Avoid pre-packaged foods and make the time to cook whole, fresh foods. Now you can order your Standard Process products any where any time on the internet and have them delivered directly to your own home. Ask us how! Notice. You will express and experience life most fully when you're supporting the design of your body. 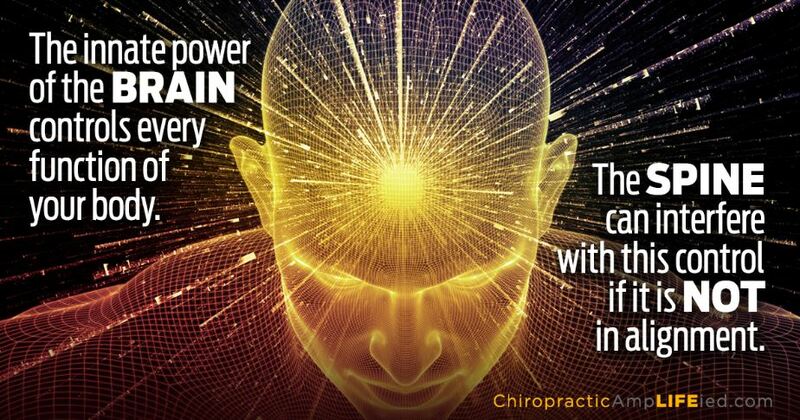 Chiropractic removes the blocks to enable your body's innate intelligence do the rest. 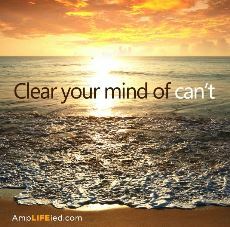 You can choose to see physical limitations, or you can choose to see unlimited possibilities. When you eat good, you feel good. What have you done today to create a more successful future for you and your family? 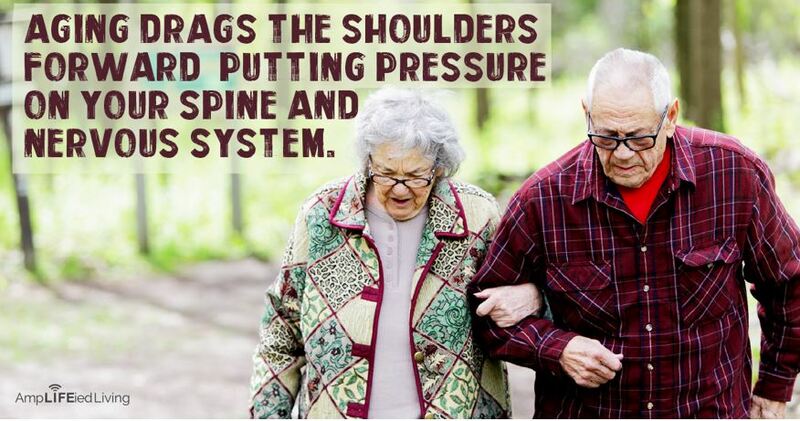 Keeping you in line, one vertebrae at a time! 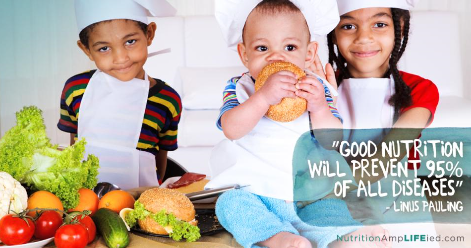 Start your children young and teach them by example to eat a healthy nutritious diet. 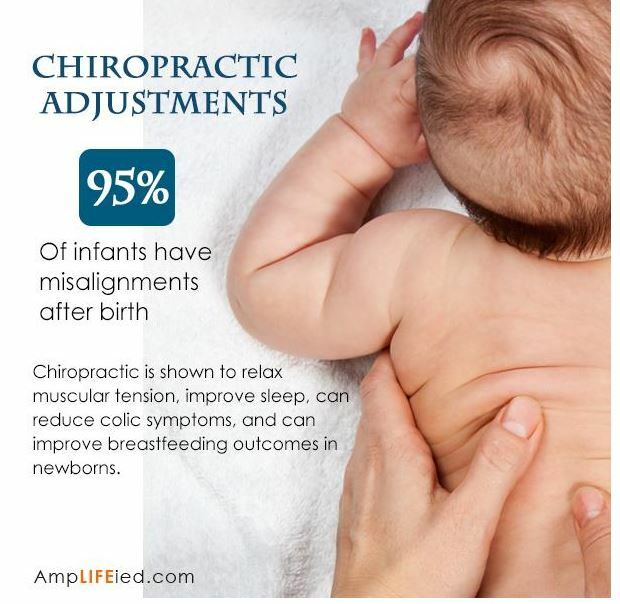 Give your baby the best start in life with chiropractic. 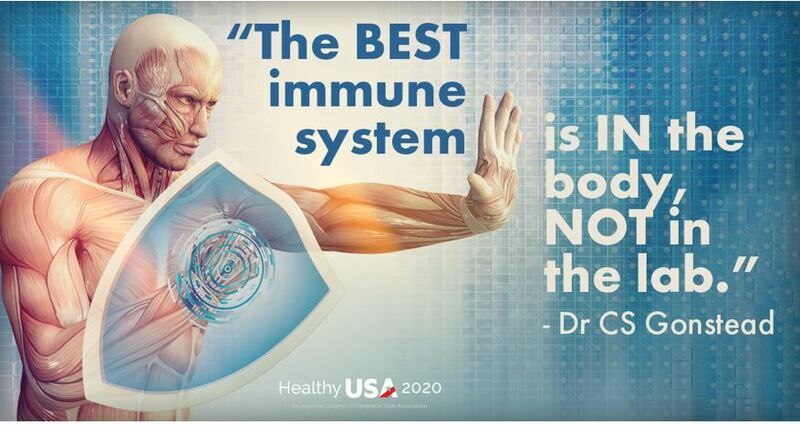 Give your immune system a boost with chiropractic! Make fitness a habit. Did you know that if you exercise first thing in the morning, you'll have more success keeping that commitment? Traditional “health care” is really a sickness business: it only functions reactively, after people have become sick. 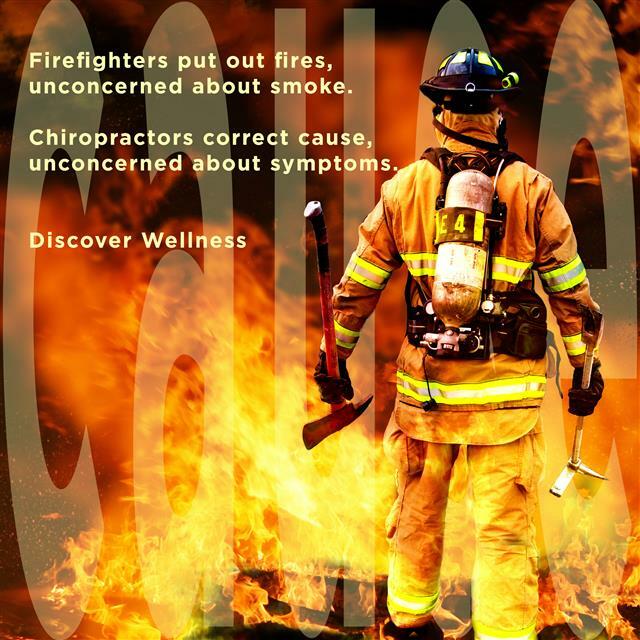 Chiropractic, on the other hand, has always focused on wellness. In order for your body to repair itself as it should, messages need be able to get through. 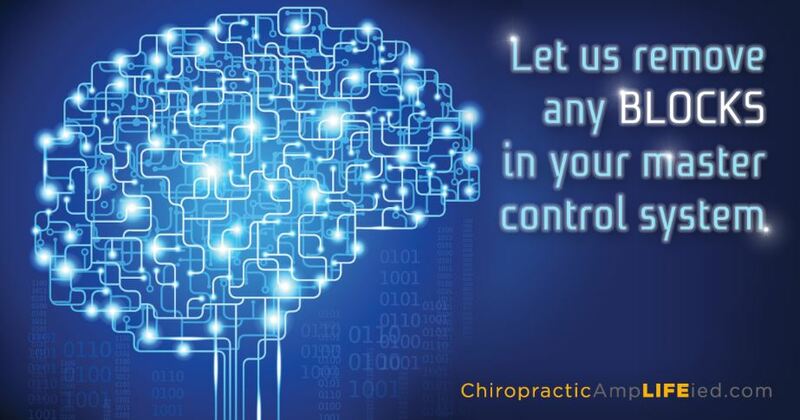 Keep your nervous system free of interference with chiropractic. 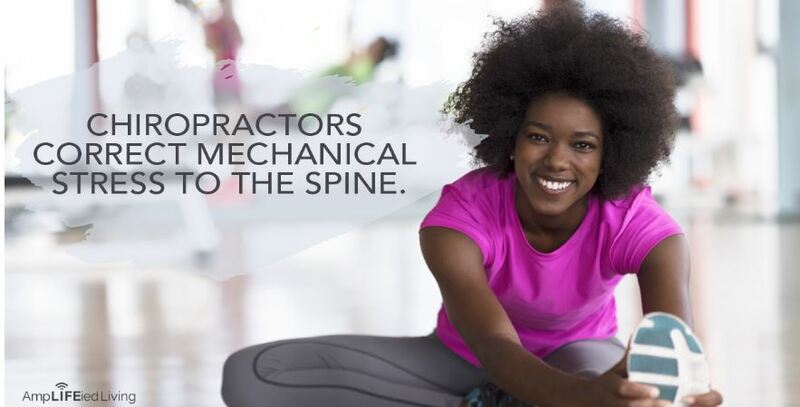 In spite of the joint crack associated with the adjustment, chiropractic is a gentle, safe and effective technique that restores balance in your spine and nervous system. Change is inevitable. Your body never stops learning and growing. I now choose to live my Life to the fullest. With perfect alignment, flow is everywhere. 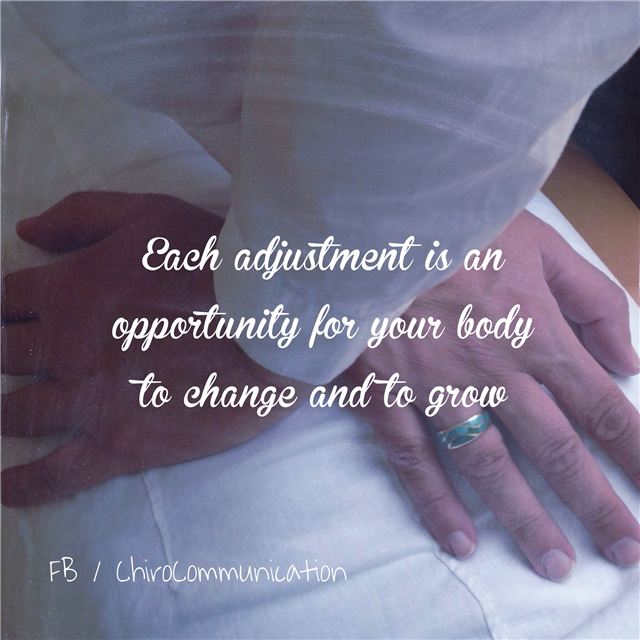 When was the last time you were adjusted? 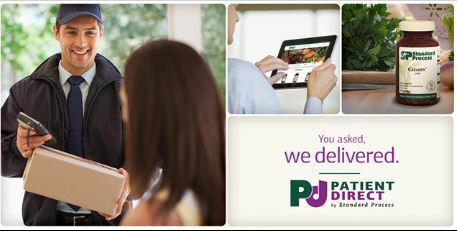 Give our office a call today and schedule an appointment. 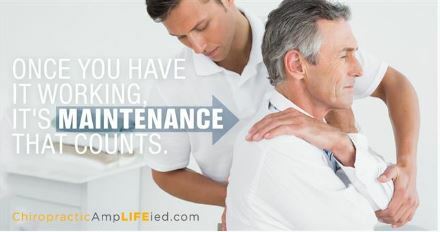 Our focus is on returning and maintaining your good health. 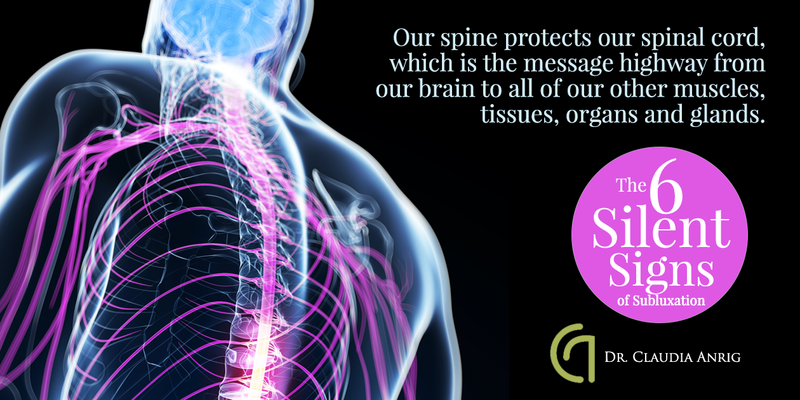 When your spine is aligned, your nervous system can deliver messages from the body to the brain, and from the brain back to the body, which is critical for good health. 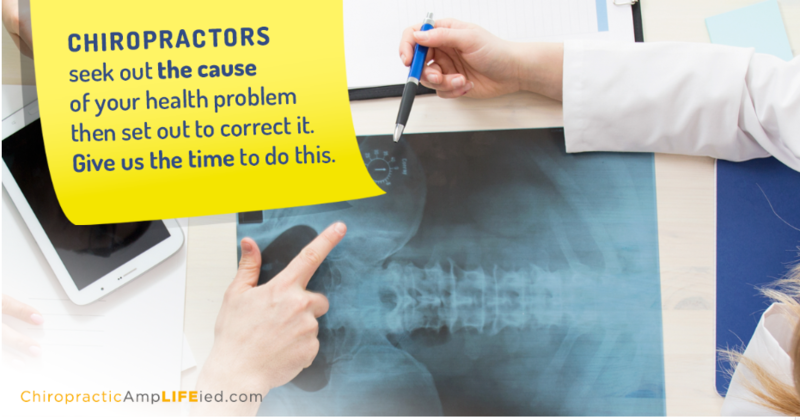 Create better health by correcting the cause of your problems with Chiropractic. 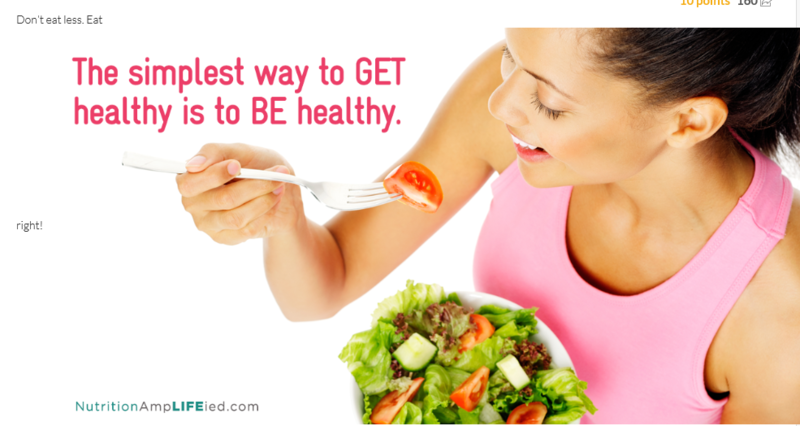 You must take care of yourself on a regular basis to remain healthy. 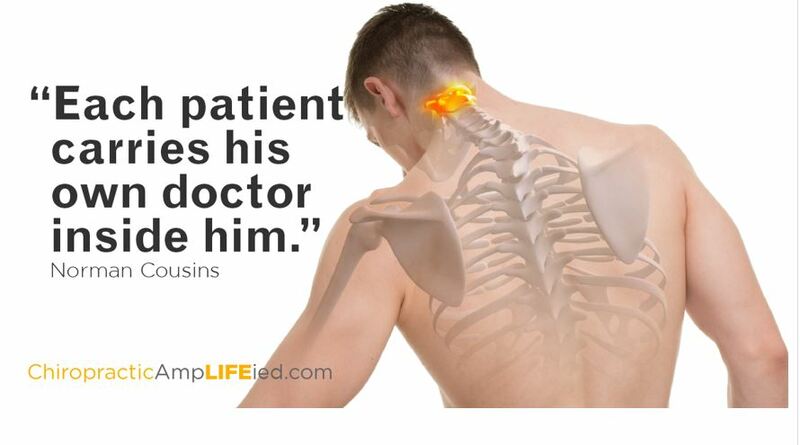 That's why it's important to have regular check-ups with your chiropractor. 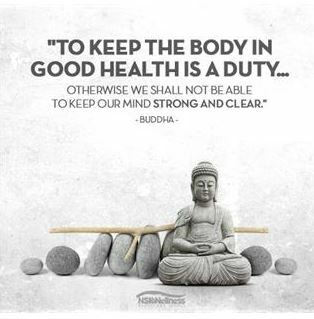 Health and wellness require the mind, body and spirit to be in balance. 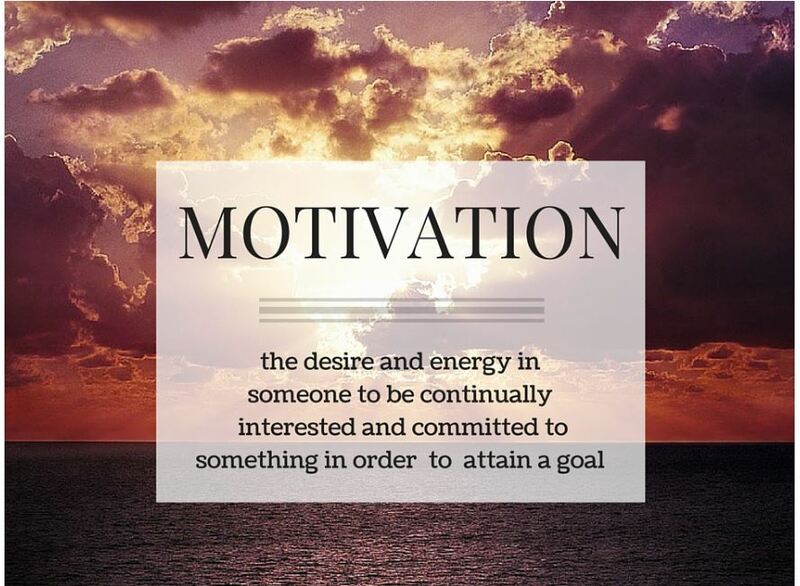 It's worth striving for. 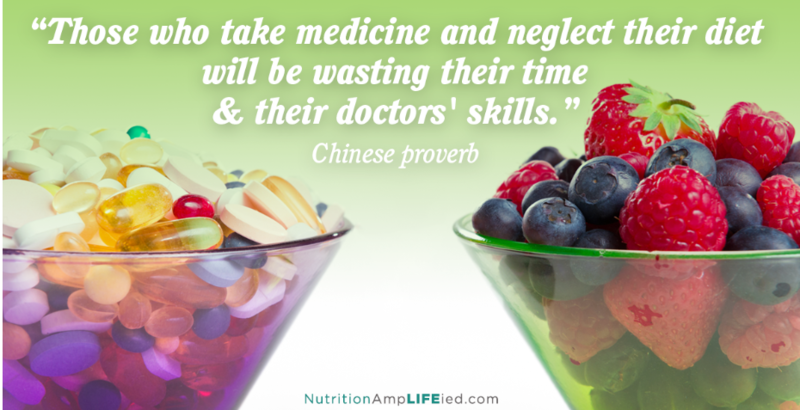 Spend time working on your health. You are worth the investment! 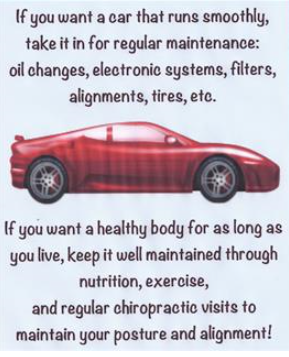 Routine chiropractic checkups can help keep your body in optimal condition. Don't forget, we treat the cause! 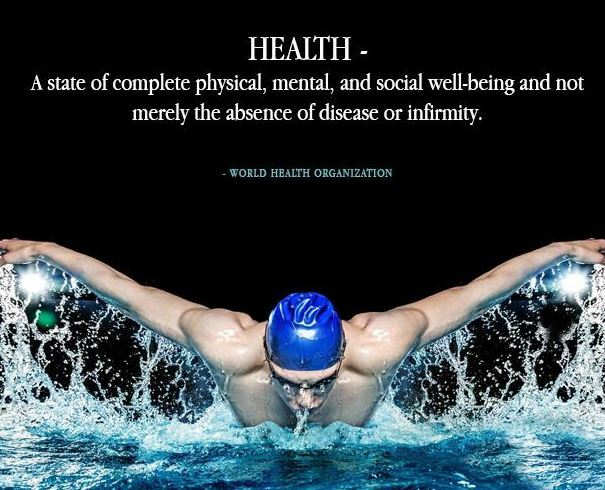 Health encompasses the body, mind, and spirit. Take care of all three. 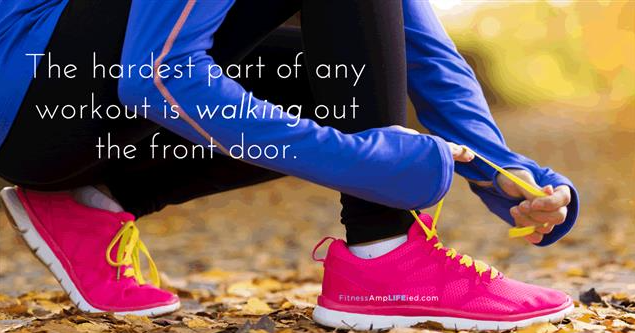 get out the door today and you'll feel better. 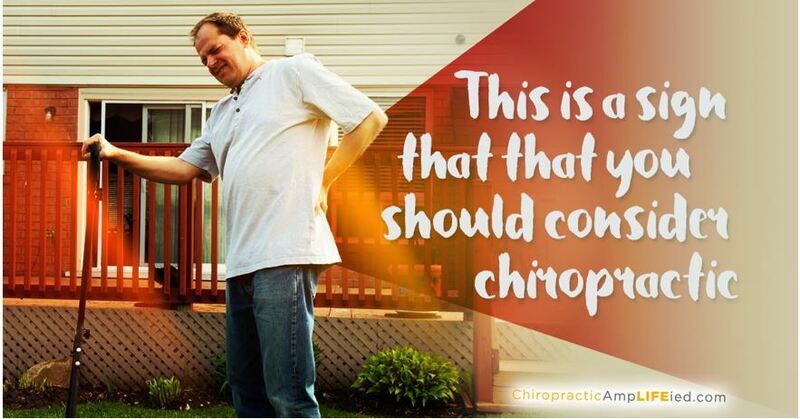 Treat both right with ongoing chiropractic care. I intend to stay strong and flexible way into old age. We are getting there, but there is much work to be done. Today is a good day to open up and straighten out. You don't want your brain to miss a message from your body, do you? 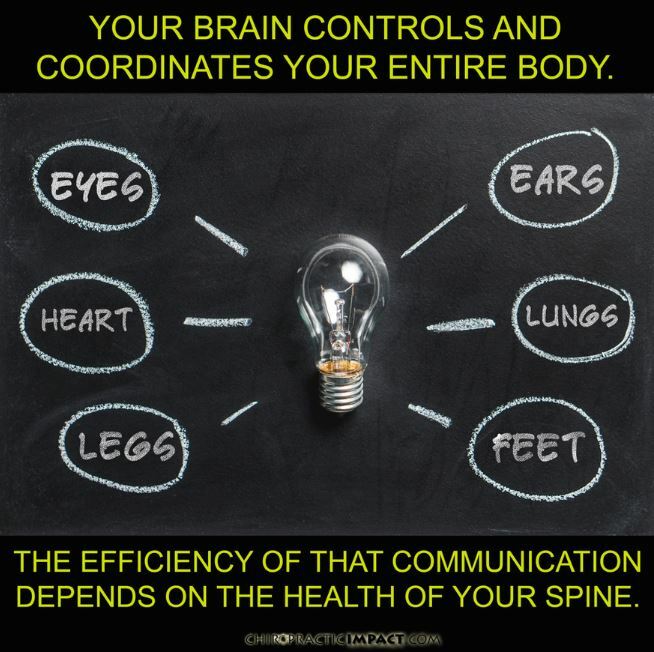 Keep the lines of communication open with chiropractic! 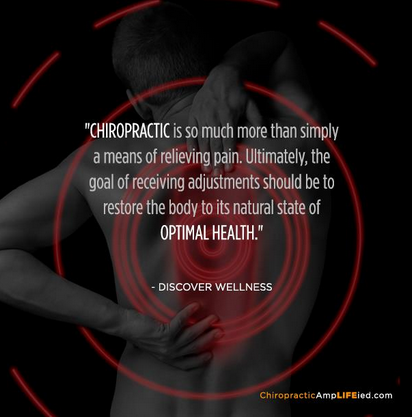 The goal of chiropractic adjustments is to restore the body to its natural state of optimal health. 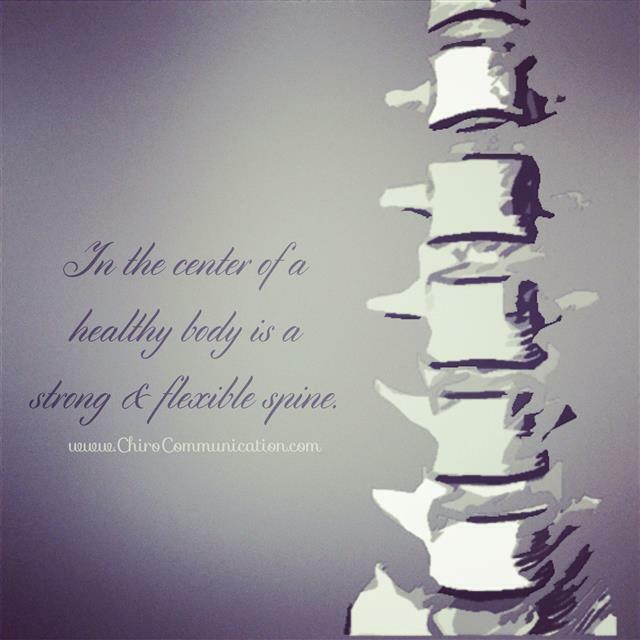 A strong & flexible spine is a prerequisite for a healthy body. 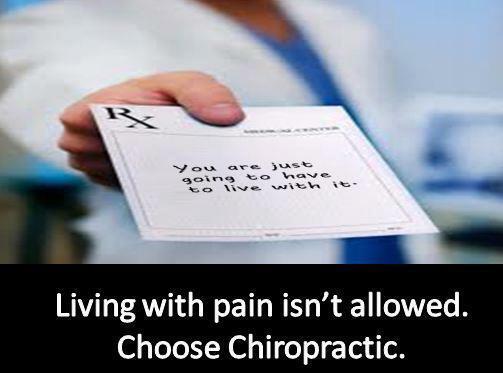 Chiropractic should be your first choice for any back pain. 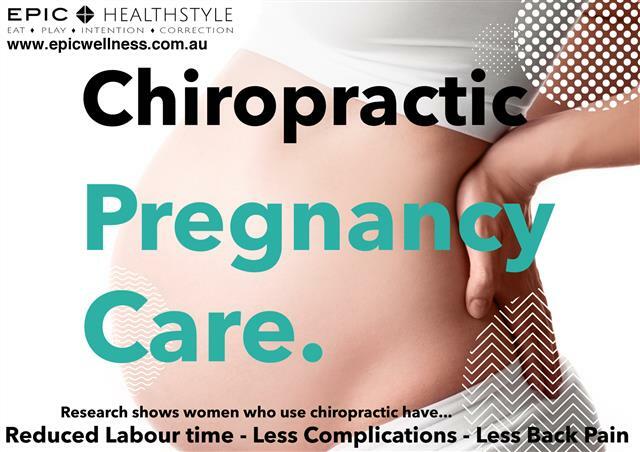 Chiropractic pregnancy care is safe, gentle and effective. 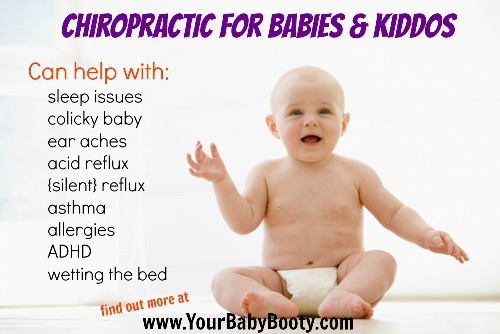 Give your baby the best start in life... get adjusted! 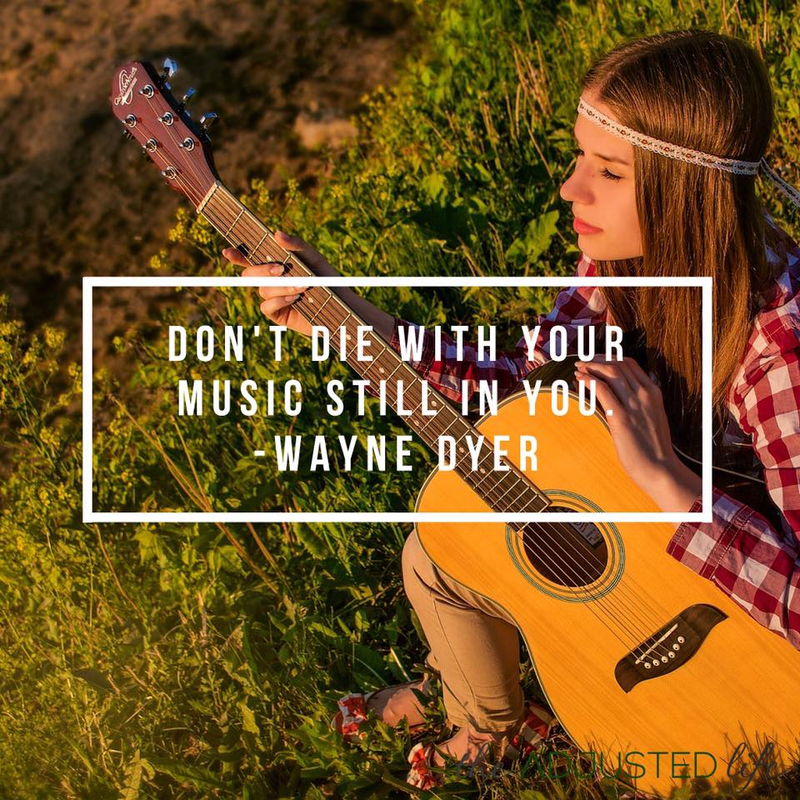 Don't just sit there. 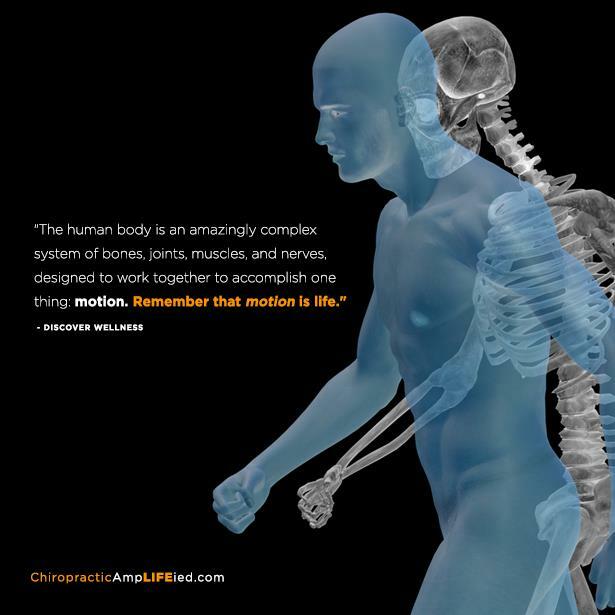 Your body was designed for movement. 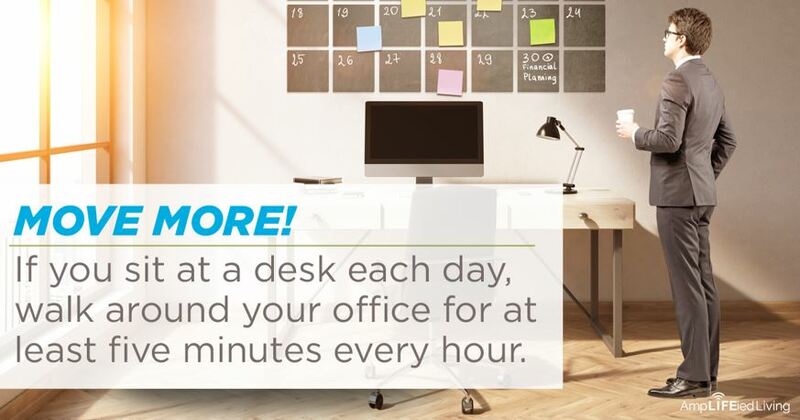 If you have a desk job, be sure to stand up and move 10 minutes for each hour you're sitting. 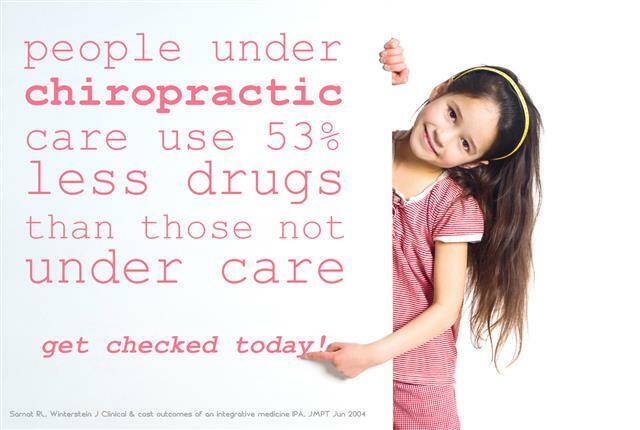 Chiropractic care may reduce your intake of medications up to 53%. 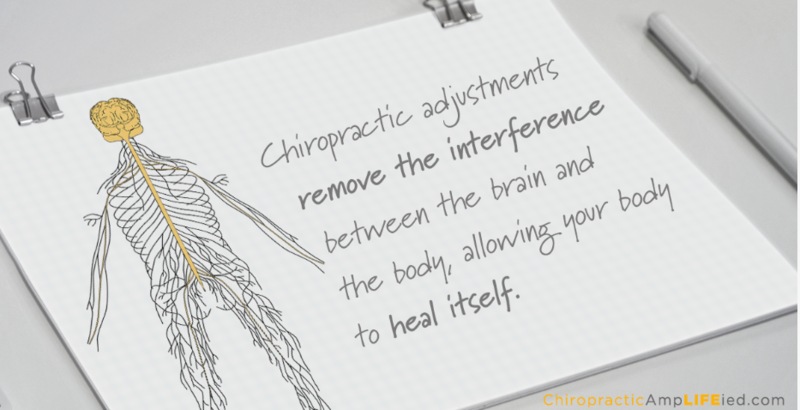 Simply stated, chiropractic removes the interference between the brain and body so you can function at your best. 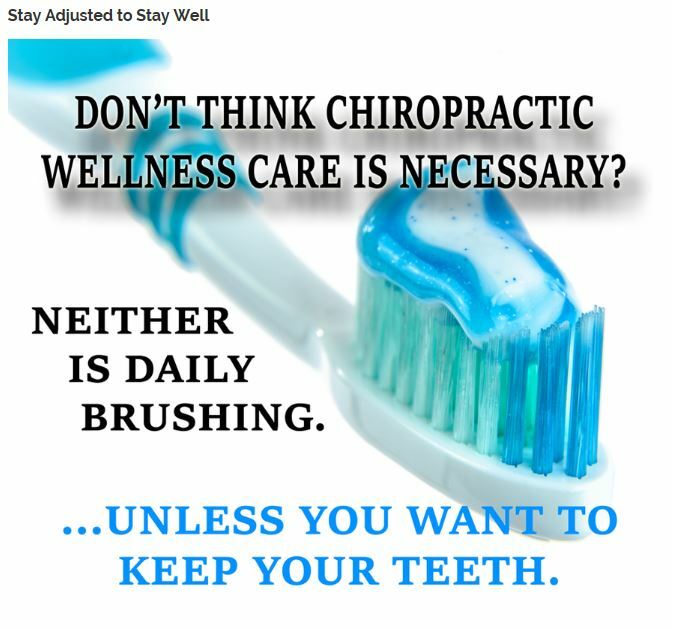 Regular chiropractic adjustments promote better health! 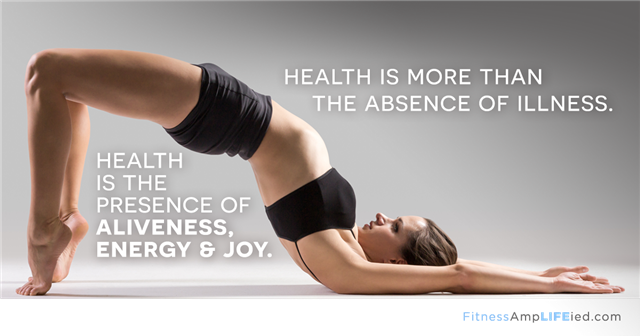 Maintaining a healthy body requires a healthy spine, stress reduction, and a positive mental attitude. 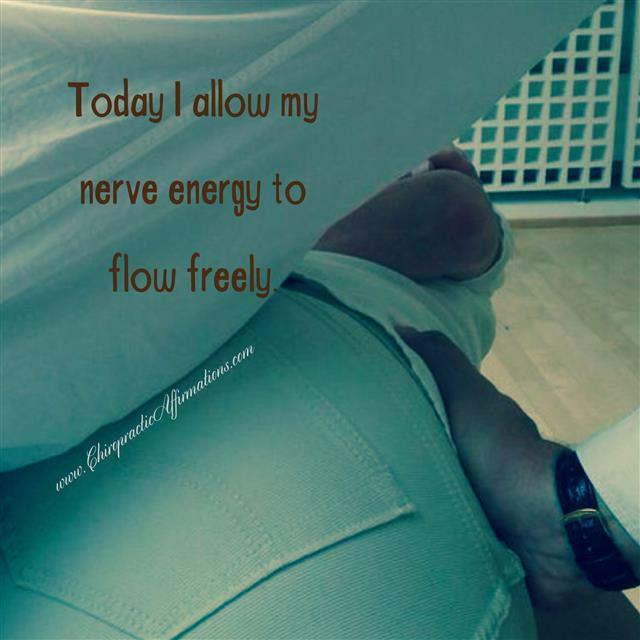 Allow your energy to flow freely with Chiropractic adjustments. 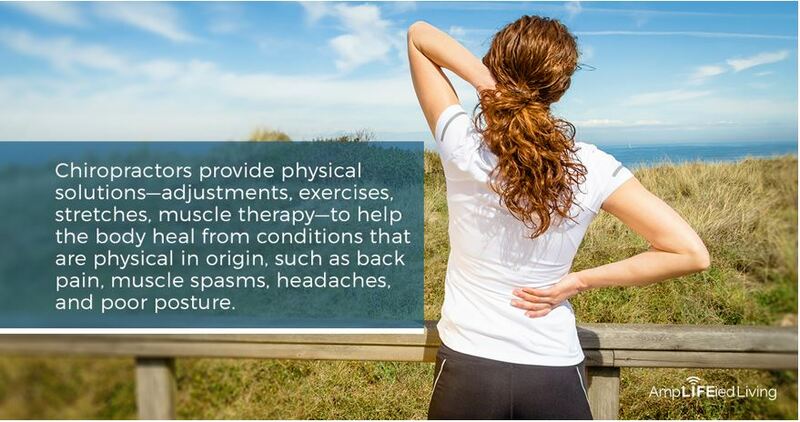 Chiropractors provide physical solutions-adjustments, exercises, stretches, muscle therapy-to help the body heal itself. Get checked today! 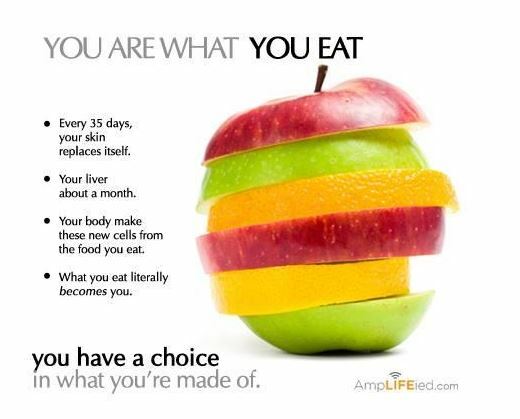 You are what you eat, so don't be cheap, easy, or fast! 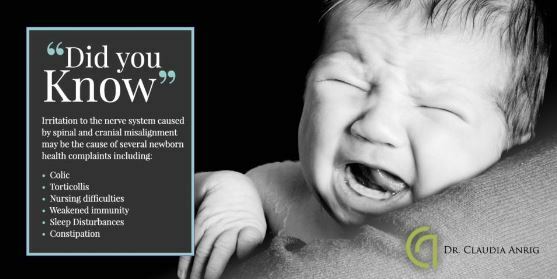 The birthing process can be traumatic for the infant and can cause very serious subluxations in the spine. Get your baby checked. 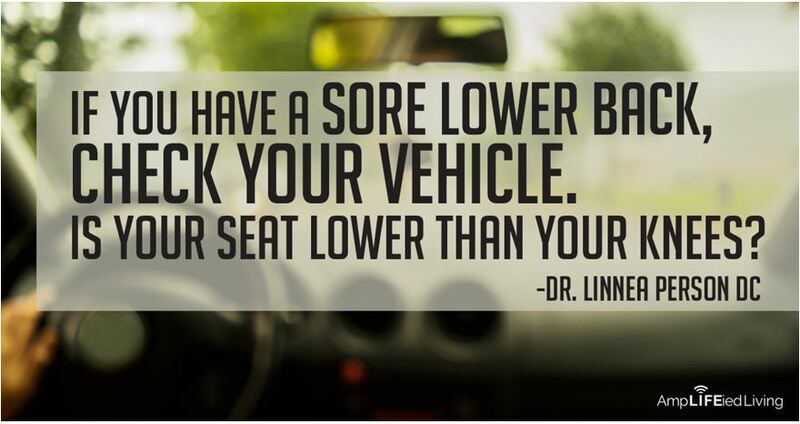 Chiropractic care helps you function better. No wonder why we're so popular. 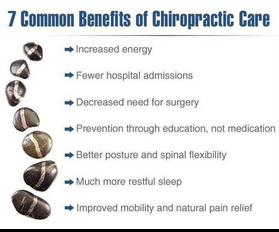 Do you know someone who would benefit from chiropractic? Movement feeds the brain with information about what is going on in your body. 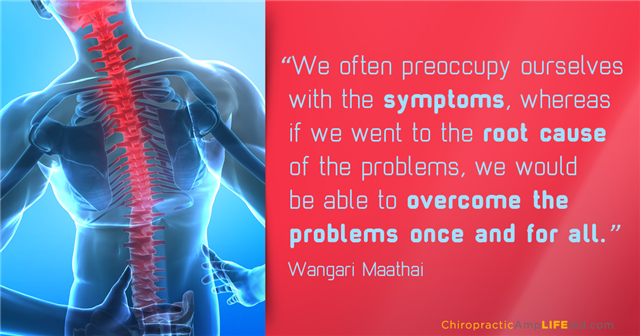 Through spinal adjustments, chiropractic can restore normal movement. What connects the mind to the body is the nervous system, your master control system. 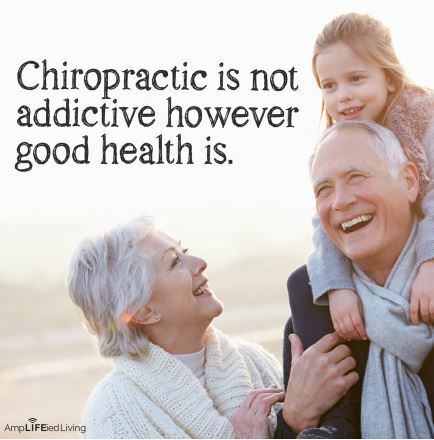 Keep it in good health with regular chiropractic adjustments. 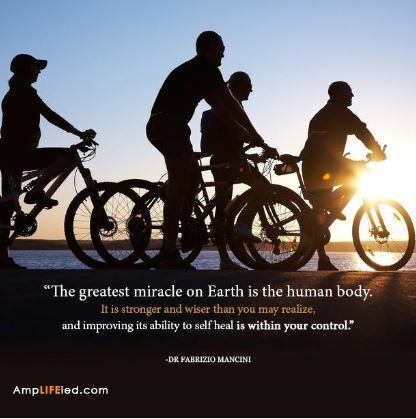 Improve your body's natural ability to heal itself. 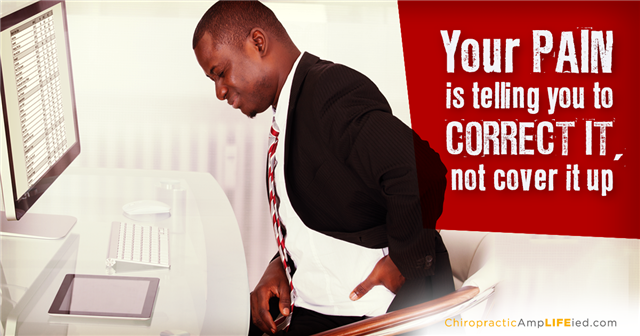 Make an appointment today and get checked for misalignments in your spine that can interfere with your health. 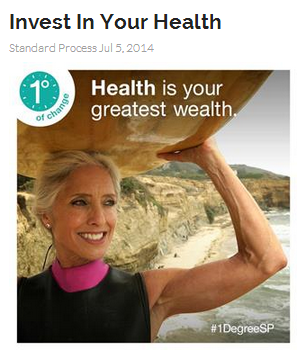 Invest in your greatest asset, your health. 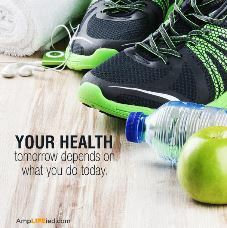 Do one thing today that will make you healthier tomorrow. 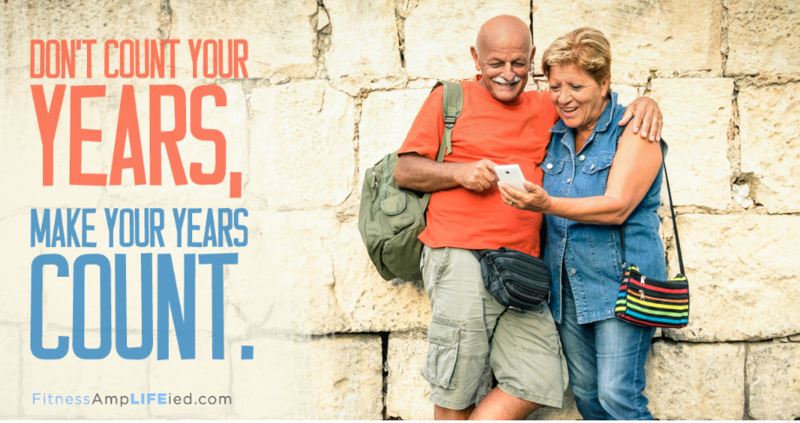 You wouldn't settle for dropped calls, missed messages, and lousy reception with your phone service, so don't settle when it comes to your spine. 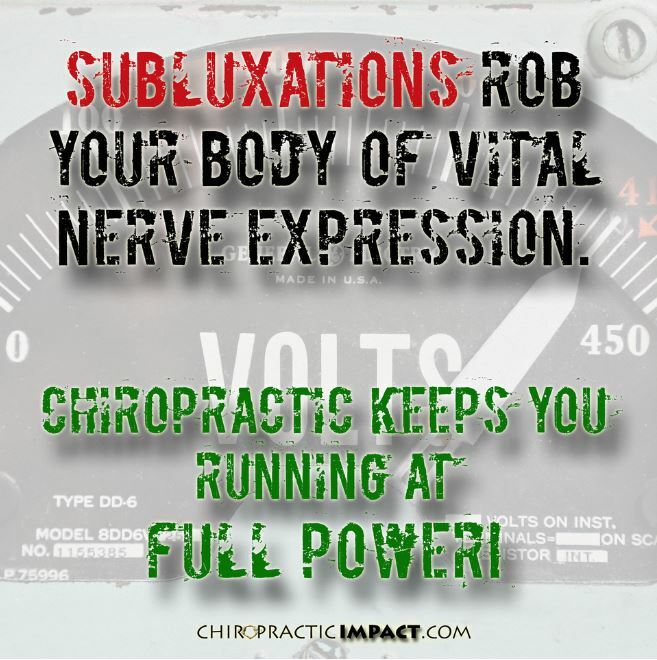 Keep your network running at top speed with chiropractic. 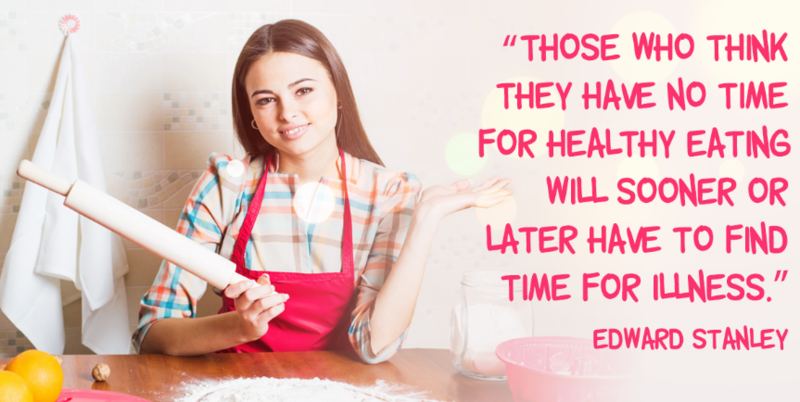 If you don't invest in your health now you will definitely pay for it later. 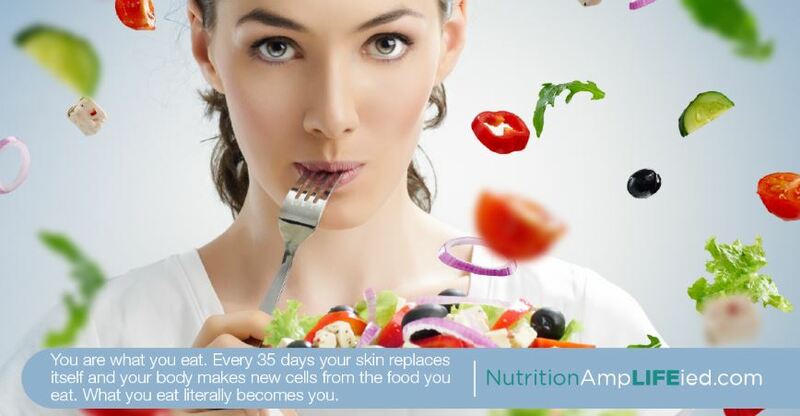 Just visit our testimonials page and see our reviews to see just how true these benefits are. 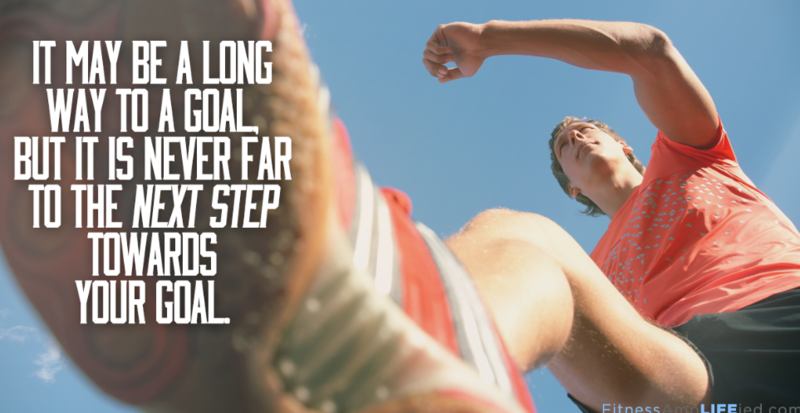 What goals are you stepping towards? 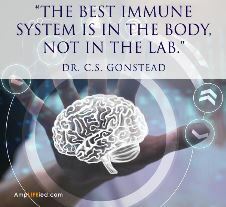 Your immune system is controlled by your nervous system. 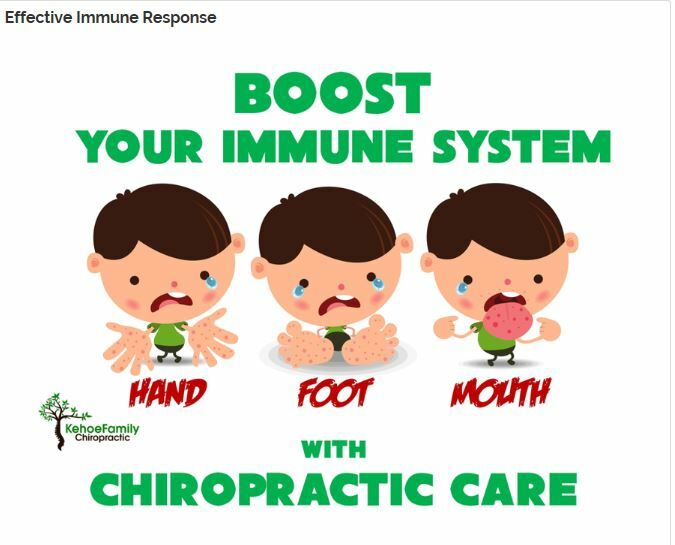 Boost your immune system naturally with chiropractic. 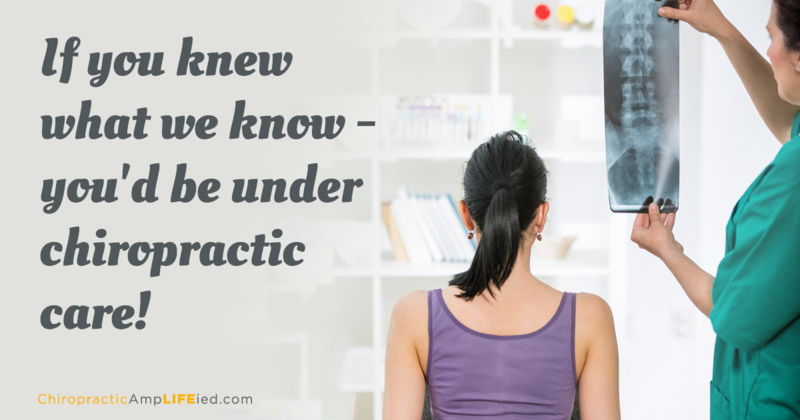 Chiropractors work to help your nervous system function better. 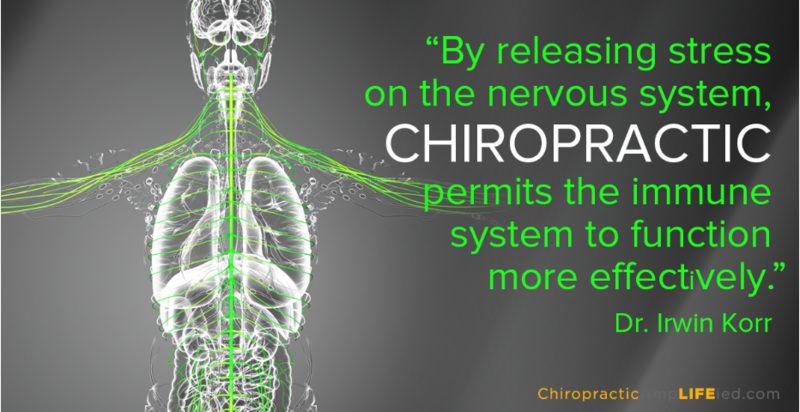 Your nervous system does the rest. 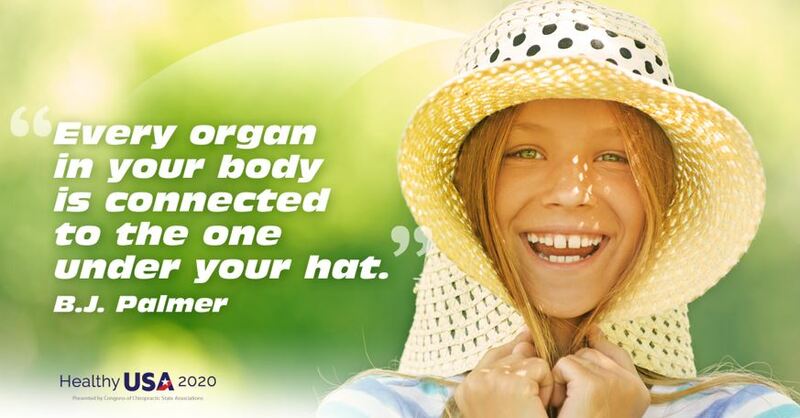 Chiropractic does a body good. 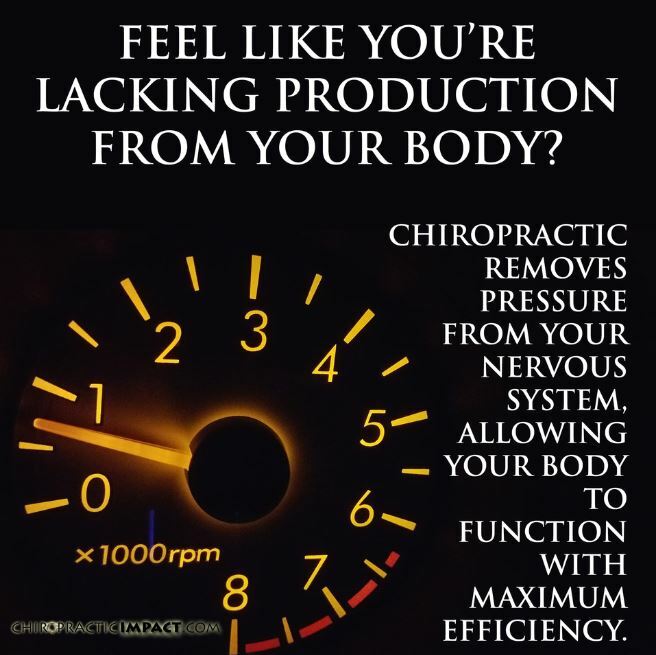 I get regular chiropractic adjustments twice a month, because I feel that that keeps me functioning optimally and doesn't allow time for chronic subluxations to occur. 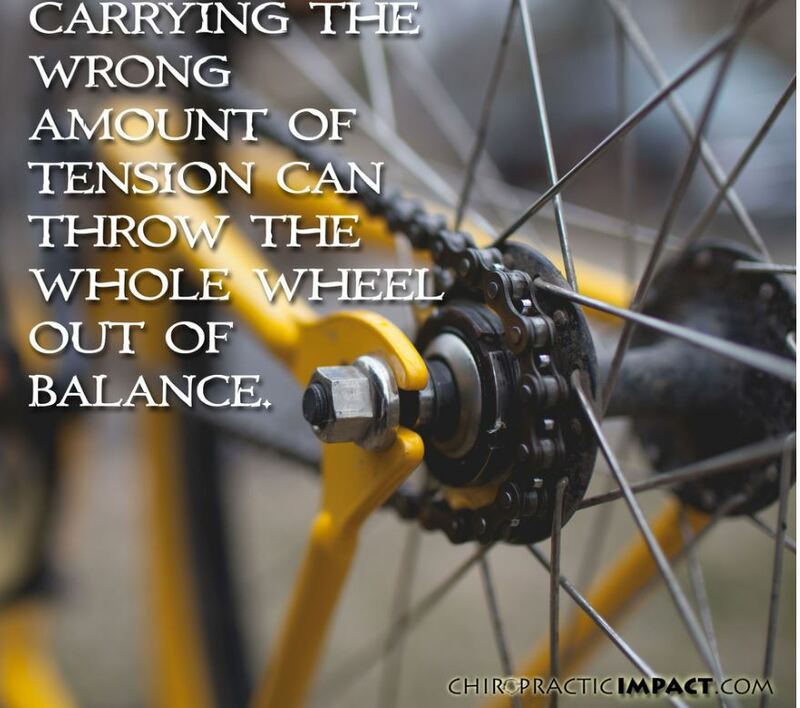 At times when I have injured myself I have needed much more frequent adjustments to correct the problem. 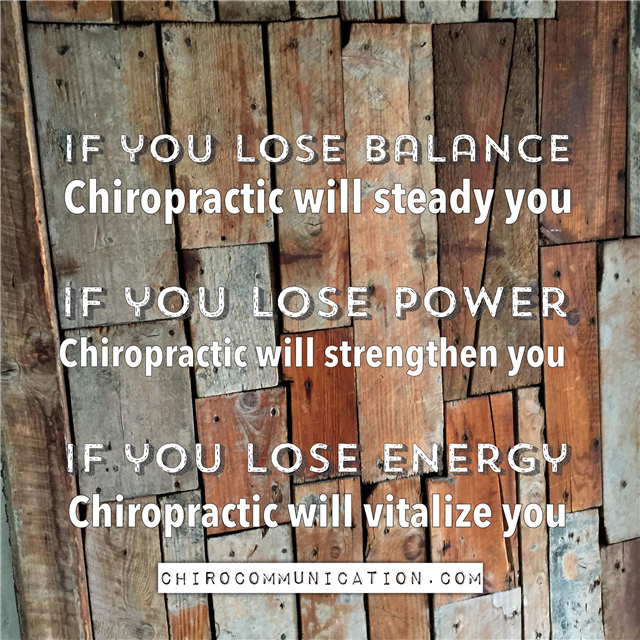 The frequency you need to be adjusted depends on your lifestyle, job and the types of exercise you do, and weather you are actively trying to correct a problem or simply want to maintain optimal health. 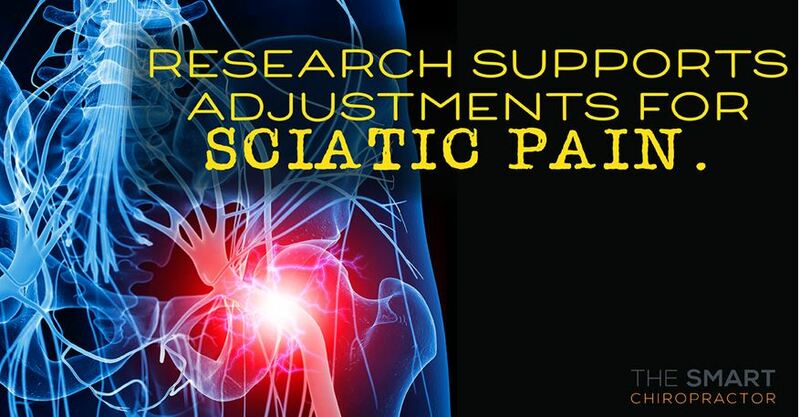 Regular adjustments are key to maintain your body functioning like a well oiled machine. 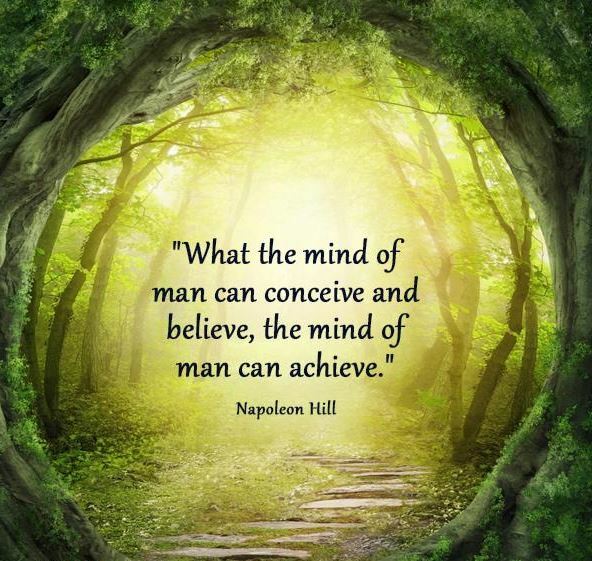 Are you tapping into the power of your mind to achieve your goals and live your dreams. 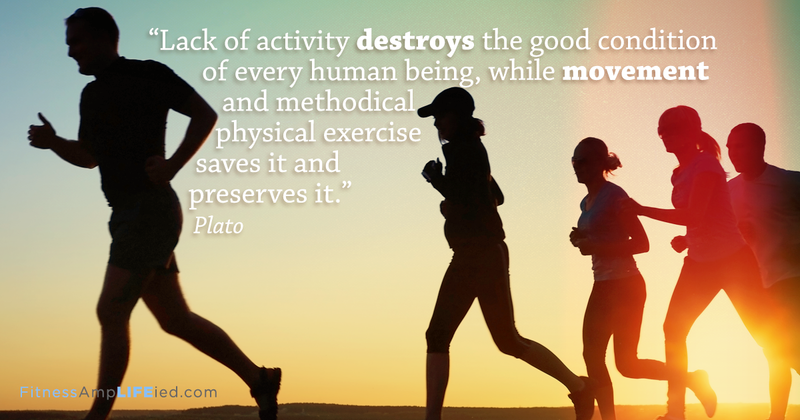 Your body is designed for movement. 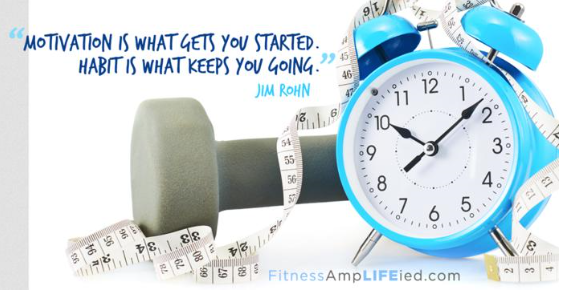 Make sure you're giving yourself the exercise you need! Know your eggs. With labels like organic, cage-free and animal welfare approved, which are the best for you? 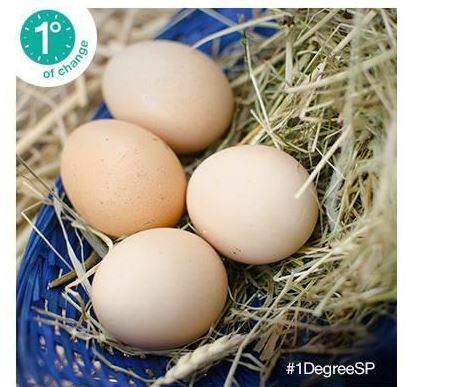 See page 9 of our 1º of Change cookbook. 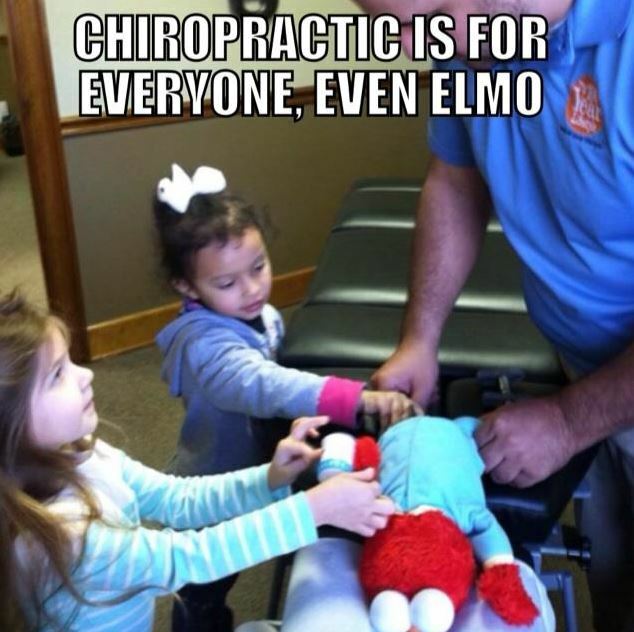 When is the last time your Elmo was adjusted? Families in Southlake TX and Colleyville are realizing that chiropractic is a much better and safer alternative to their healthcare needs. 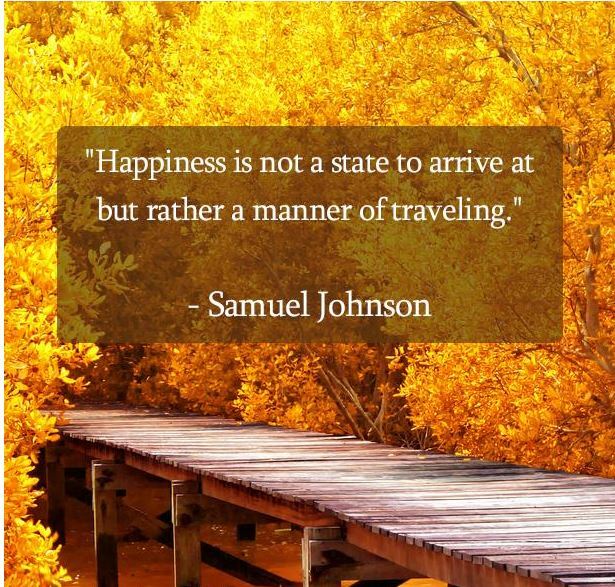 Happiness can lead to better health and a longer life! I'm getting mine are you getting yours? The brain controls every function of your body. The spine can interfere with this control if it isn't in alignment. 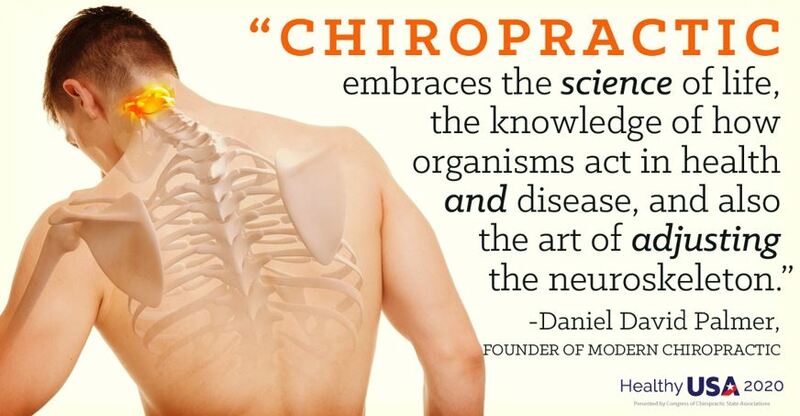 As a Chiropractor I focus on correcting and preventing the cause of disease rather than treating symptoms. Are you tired of going to the doctor just to have them push another medicine at you? 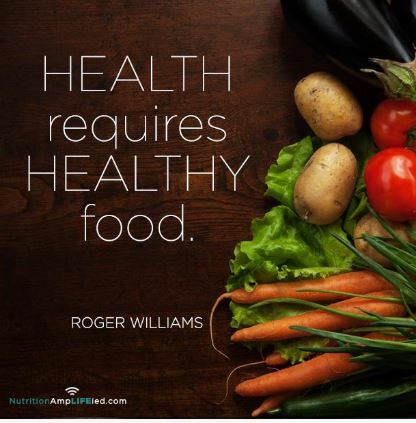 Do you want true health? The knowledge and ability to actually restore your bodies ability to function and regulate on its own as it was always intended to do. That's what we specialize in. 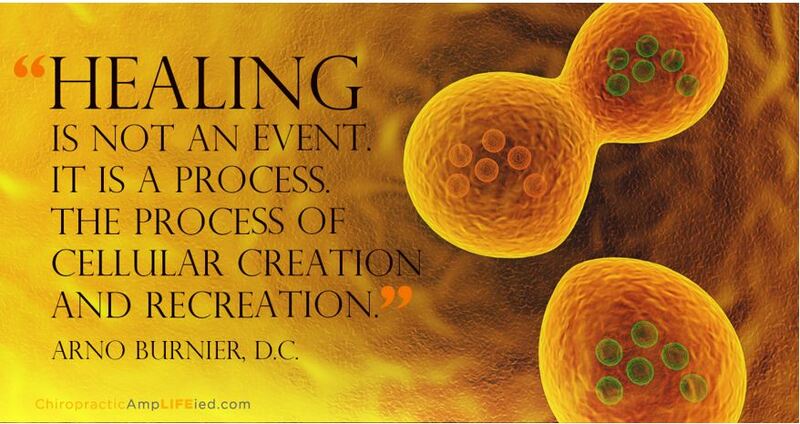 Restoring your bodies innate ability to function and regulate a healthy, energetic balance of homeostasis. 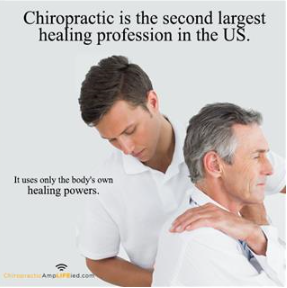 Chiropractic unlocks your body's power to heal itself. 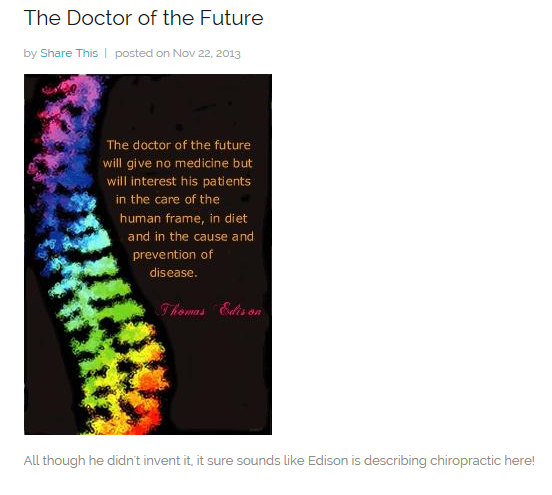 Just think how many health problems would be avoided if your spine was checked and any problems corrected from day one.